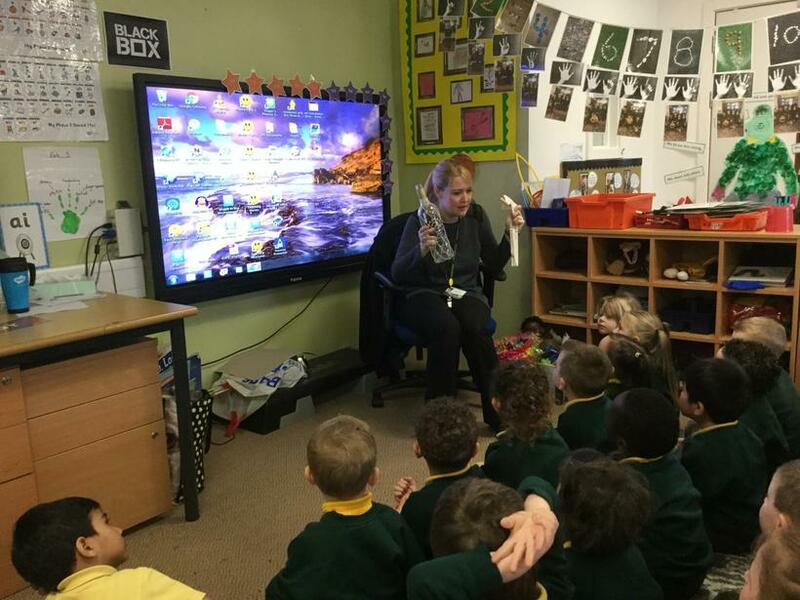 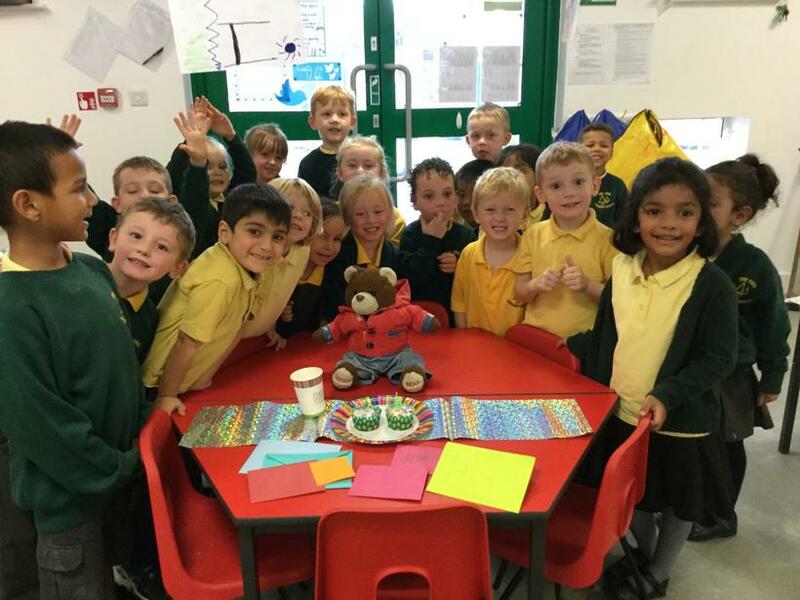 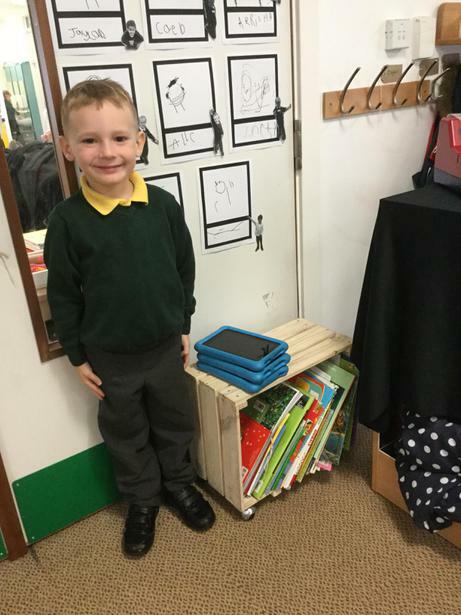 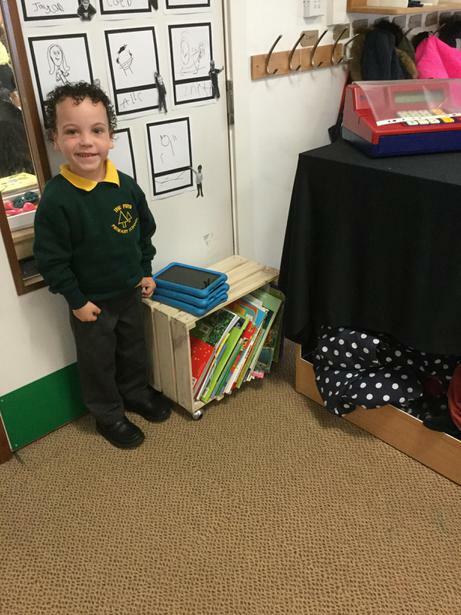 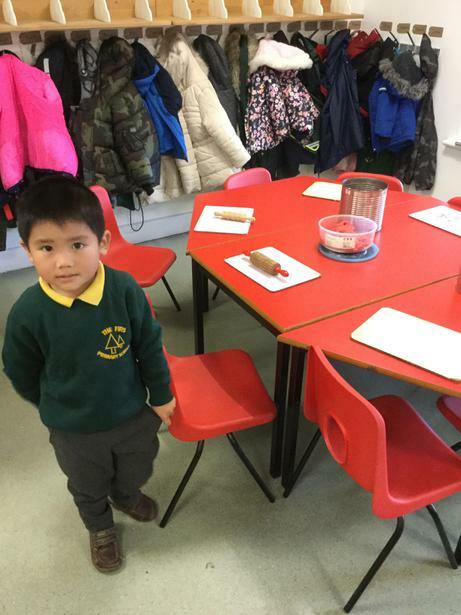 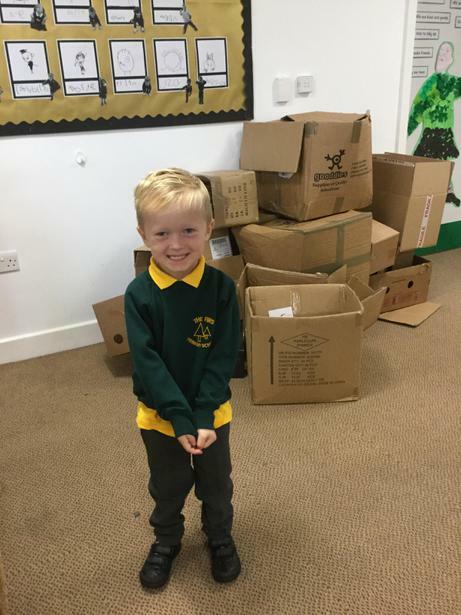 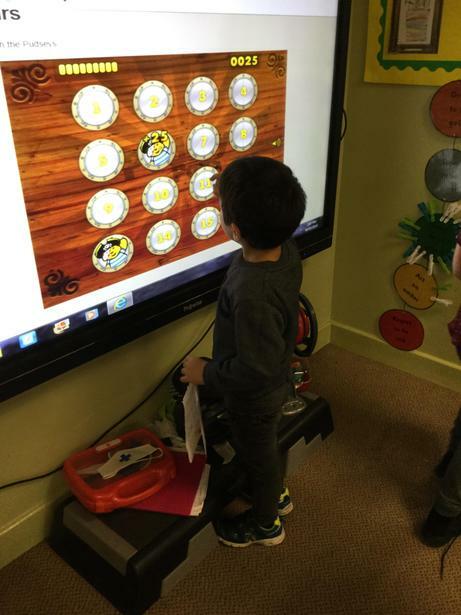 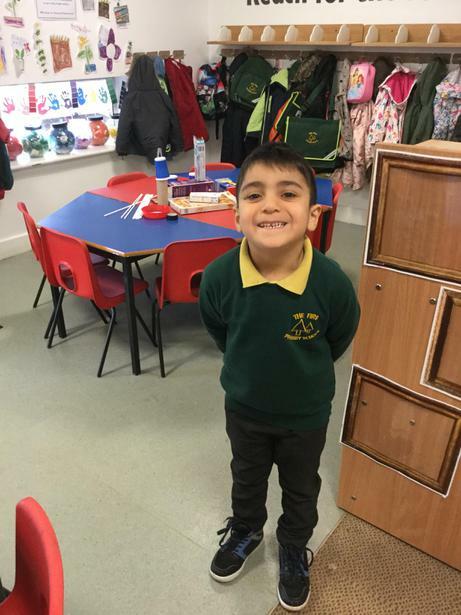 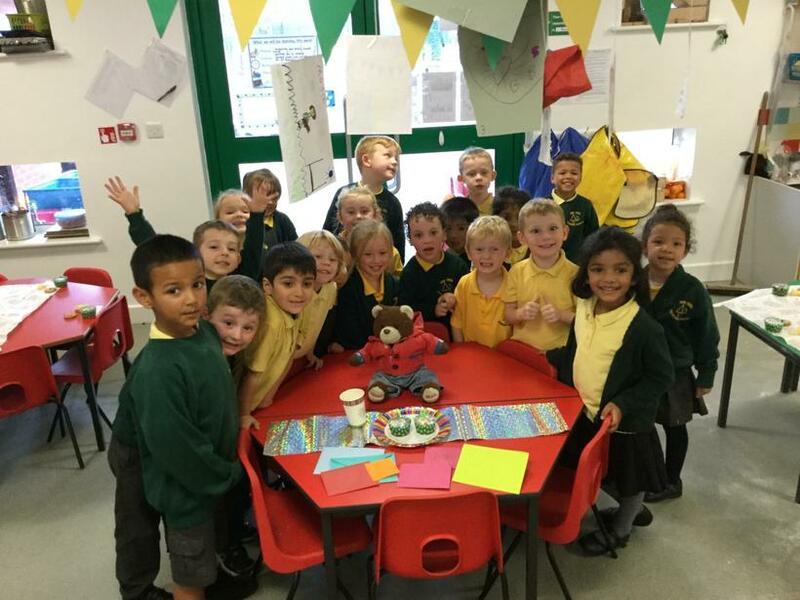 Hello and welcome to Reception 1's page! 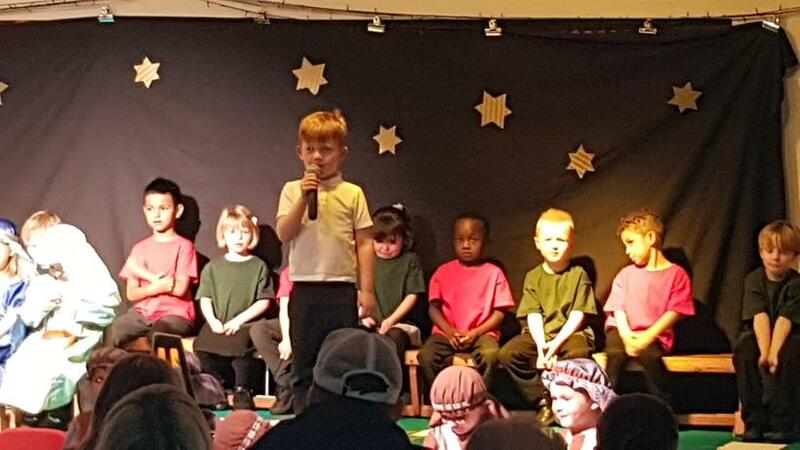 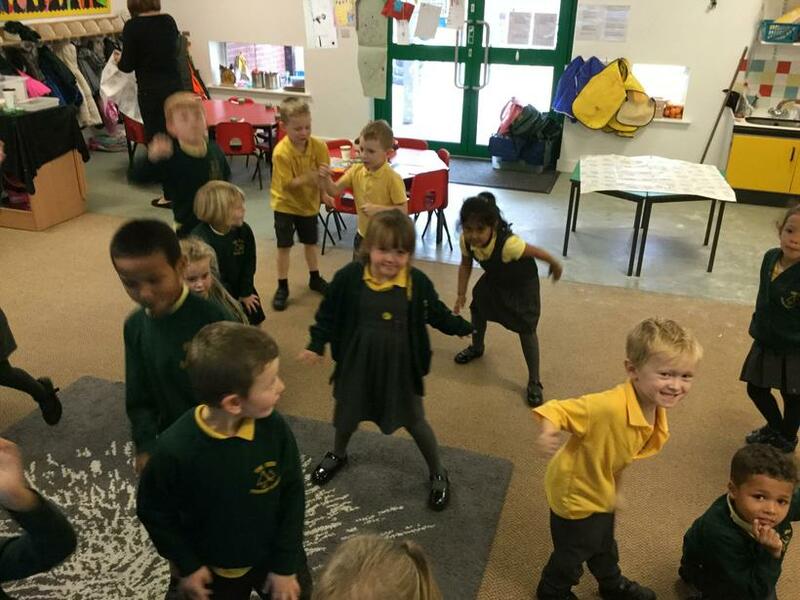 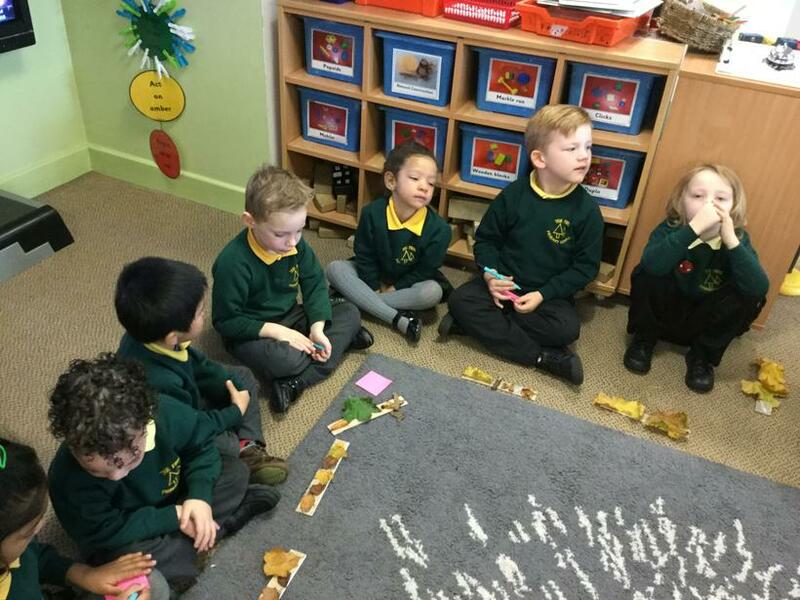 We had so much fun recording our Growth Mindset video all about how we challenge ourselves in Reception by CHOOSING OUR OWN LEARNING in COOL Time! 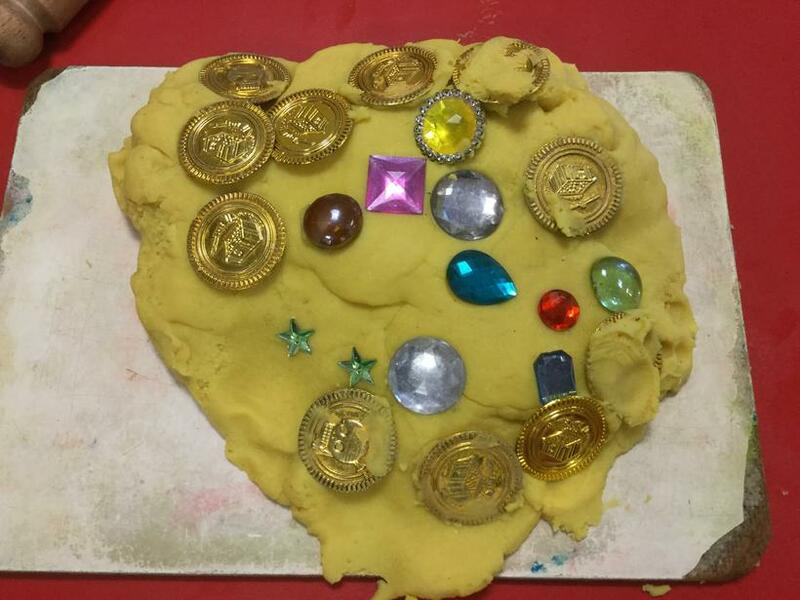 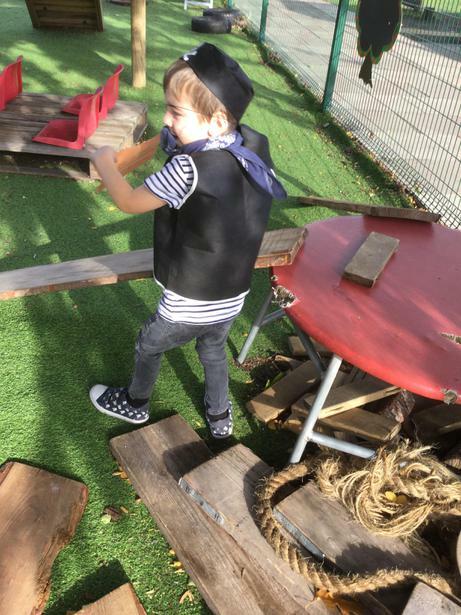 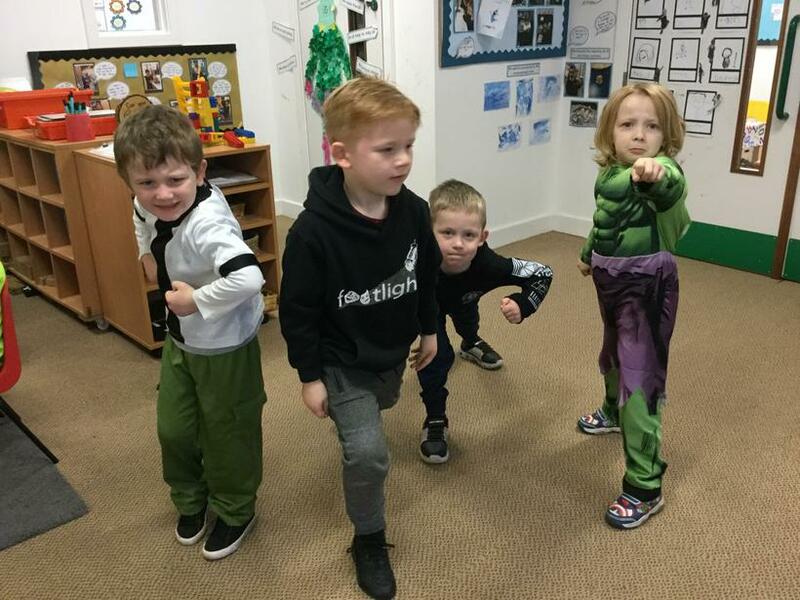 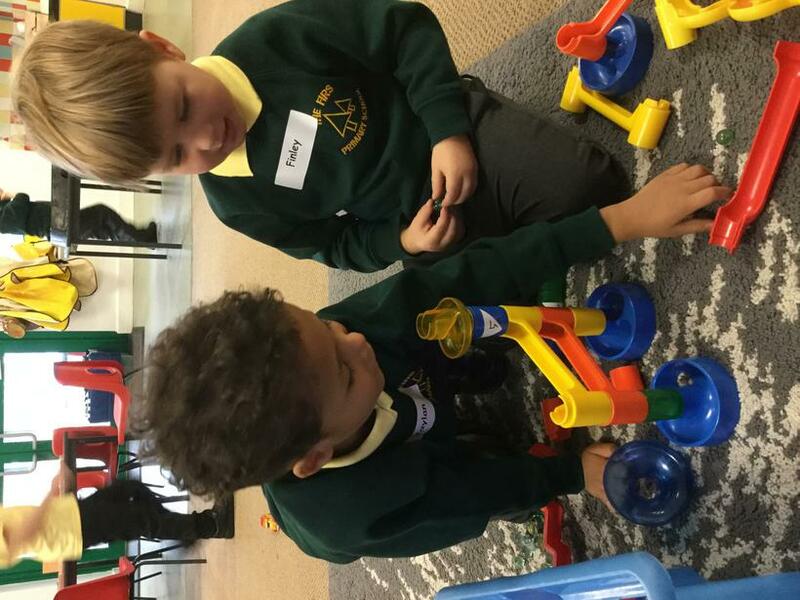 We love COOL time as it gives us the opportunity to learn through play and develop skills which we can use in the future. 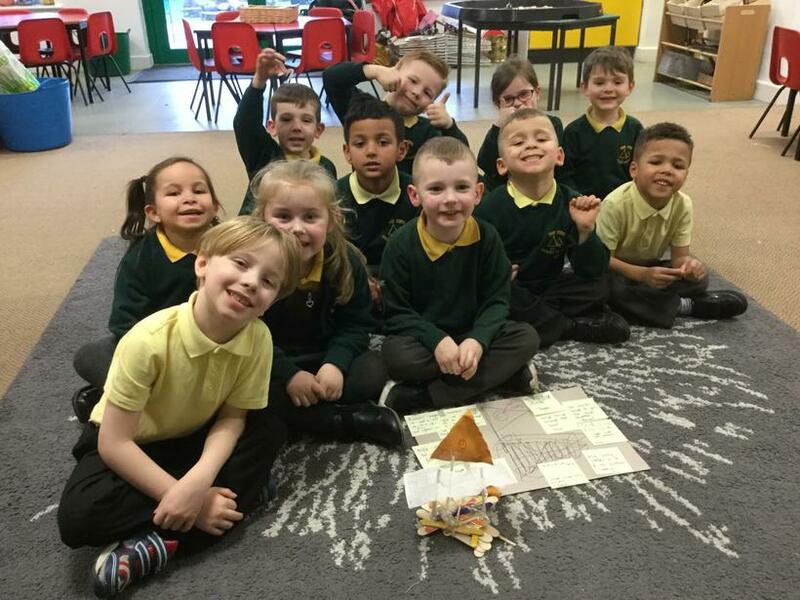 We are "Choosing our tomorrow!" 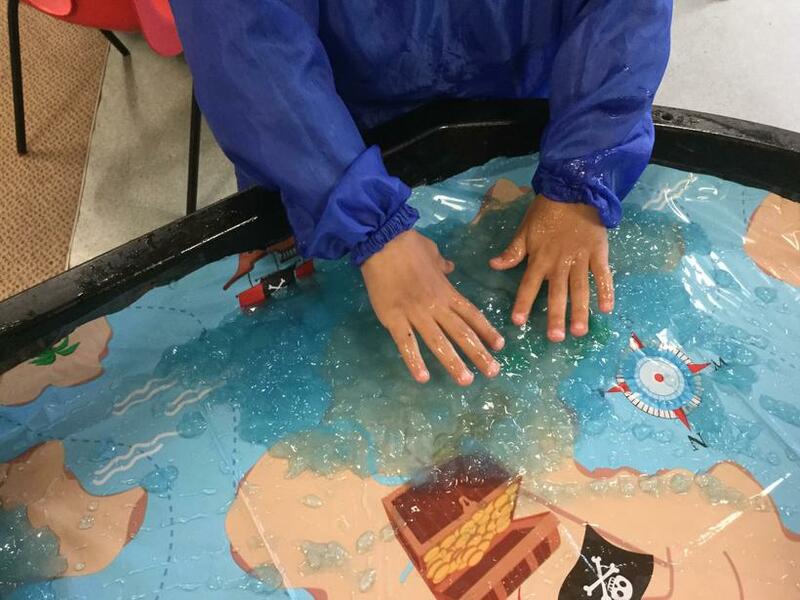 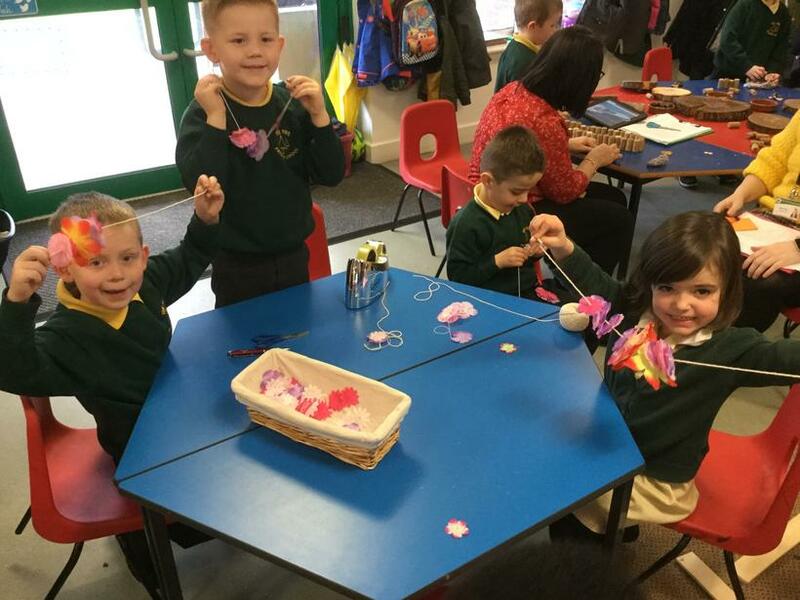 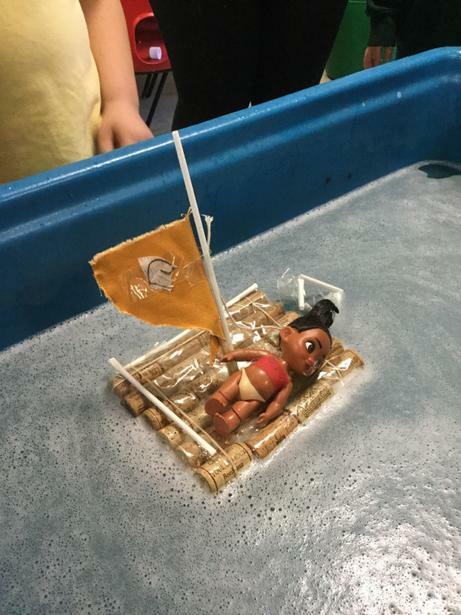 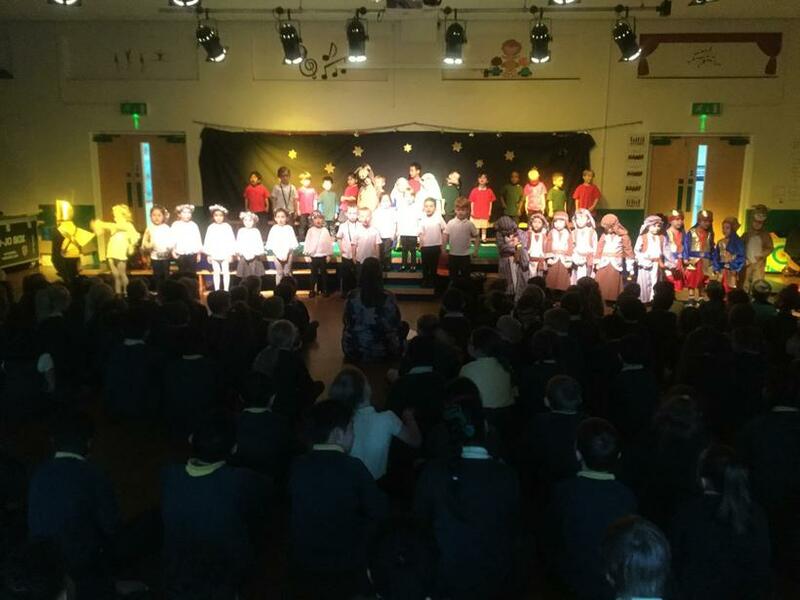 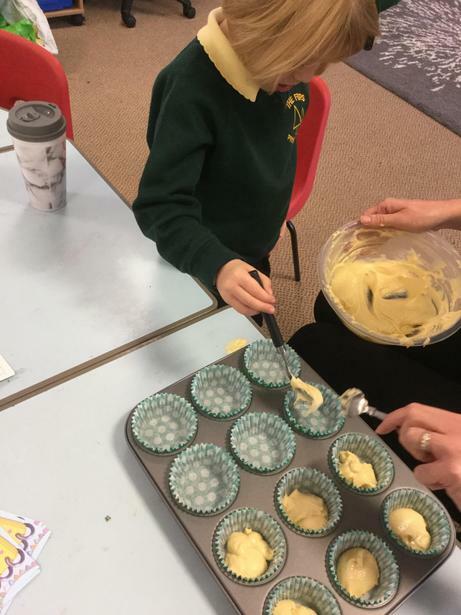 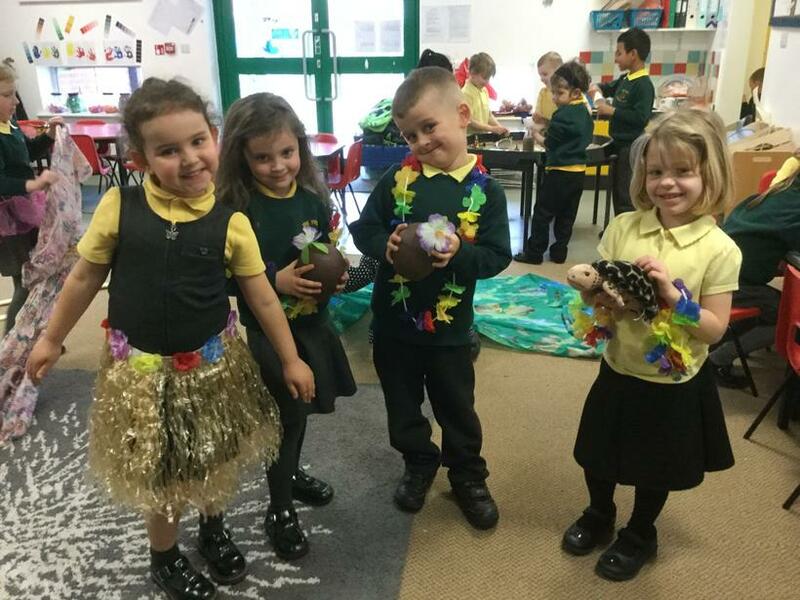 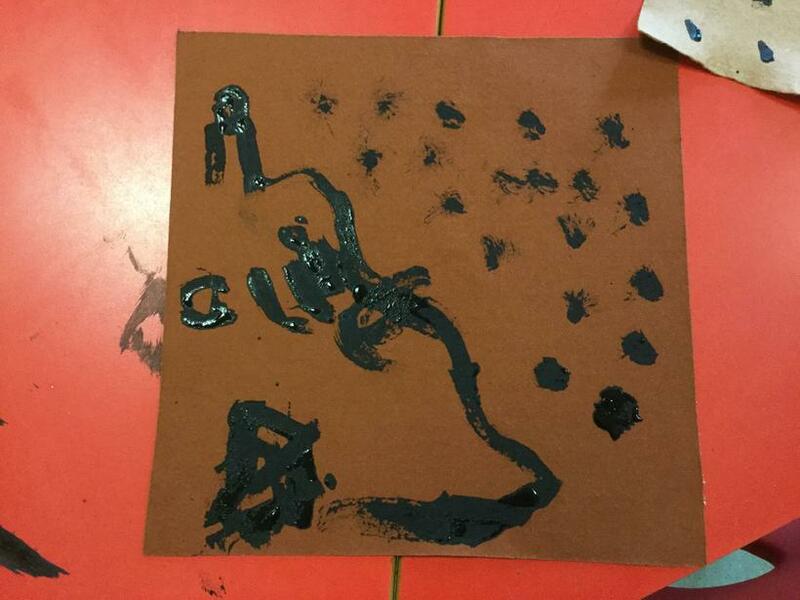 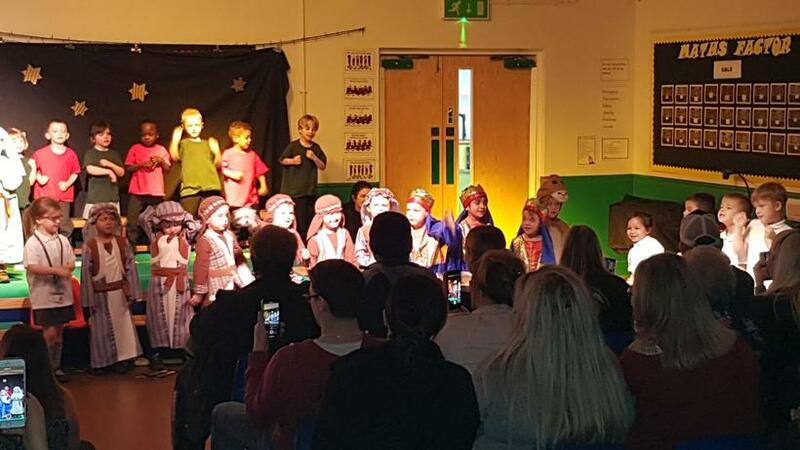 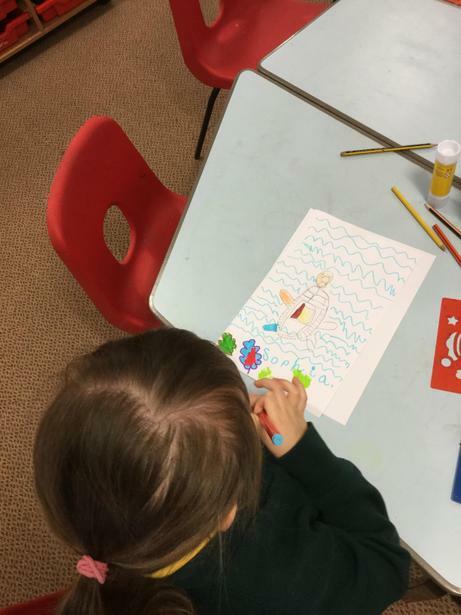 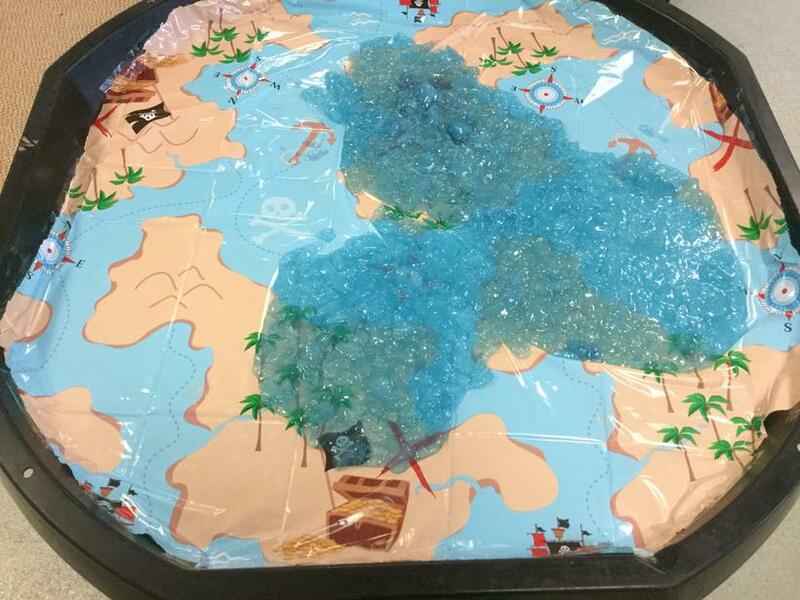 We have recently been thinking about the Polynesian islands where Moana comes from and have been enjoying lots of activities linked to this culture. 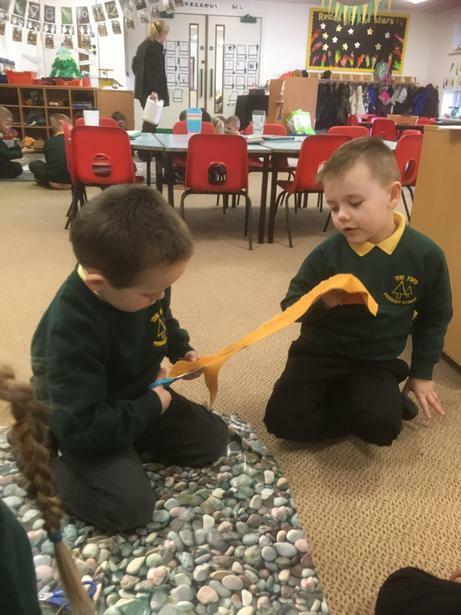 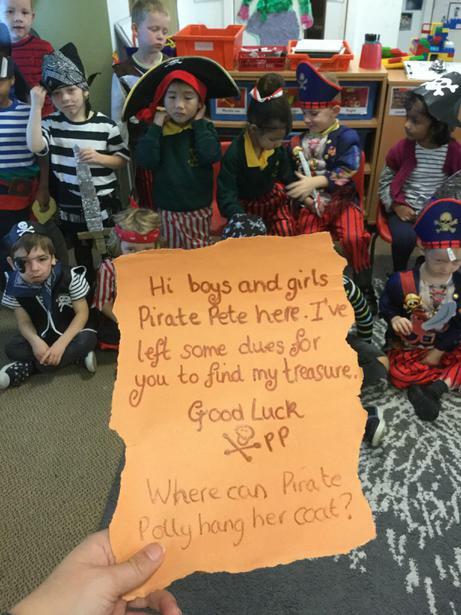 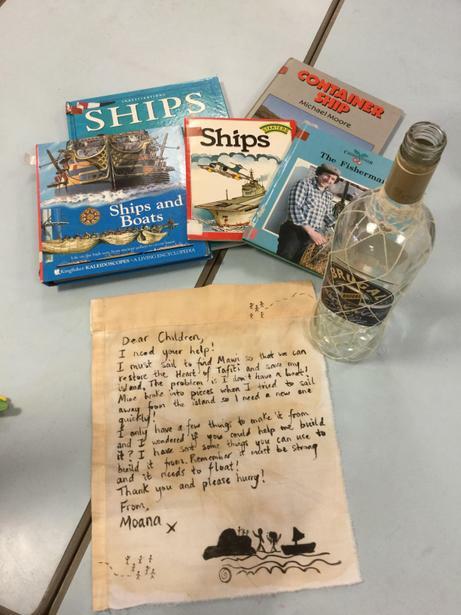 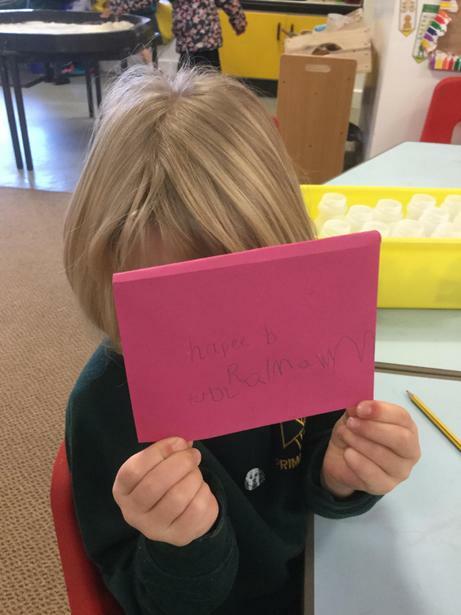 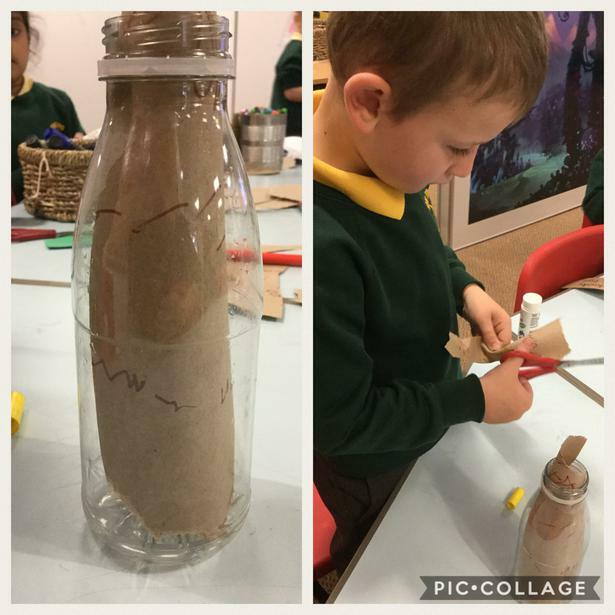 We were so excited on D&T Day to receive a letter from Moana asking if we could help her by making a boat which she could use to sail across the sea. 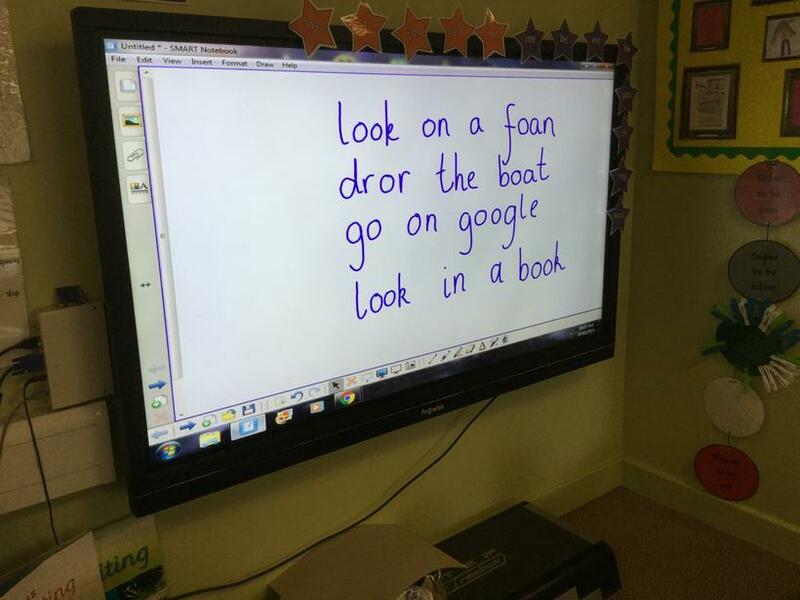 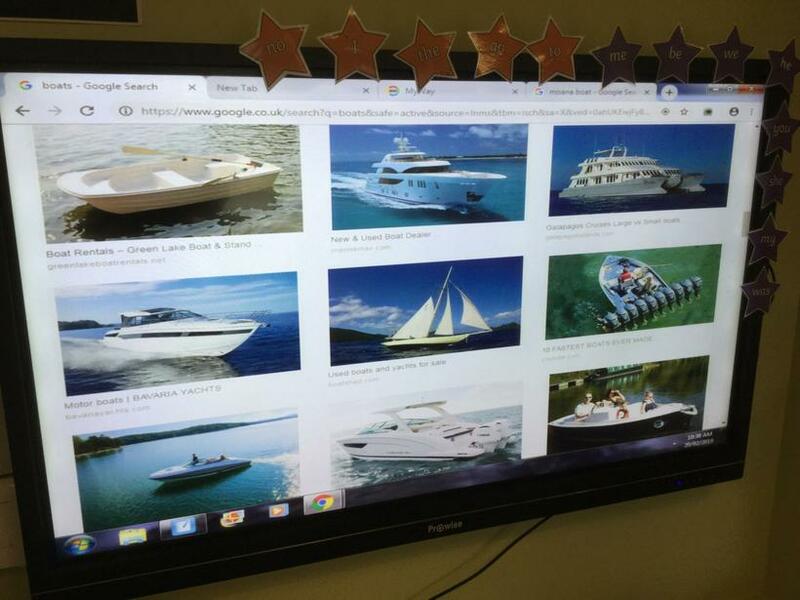 We decided to research different types of boats by looking on the internet and in books and we drew out some designs to record our amazing ideas. 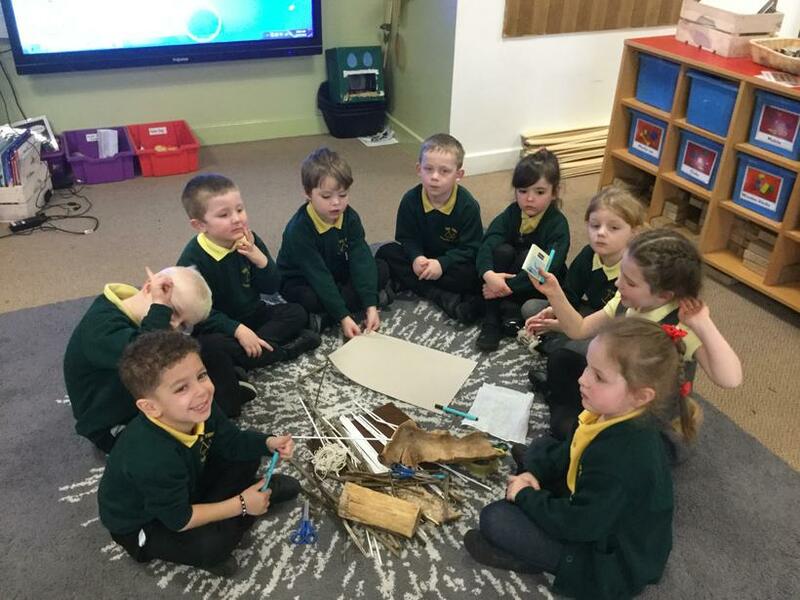 Each team had a different set of resources to work with including plastic bottles, corks, lollipop sticks or wood. 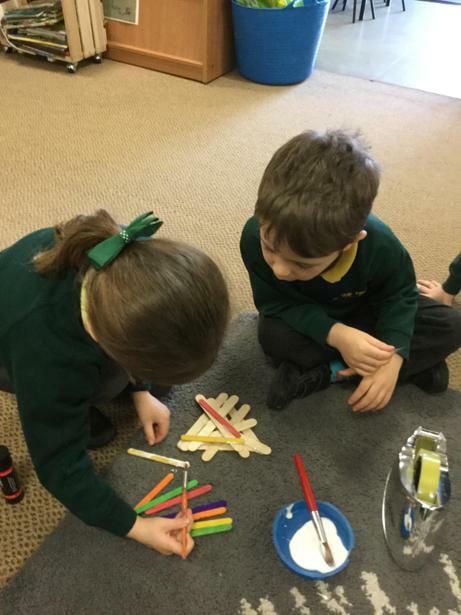 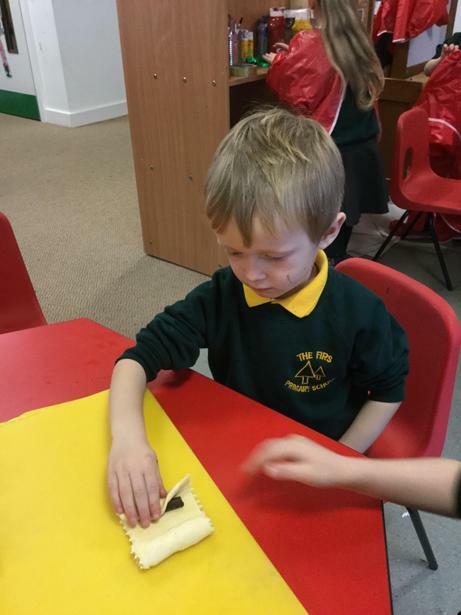 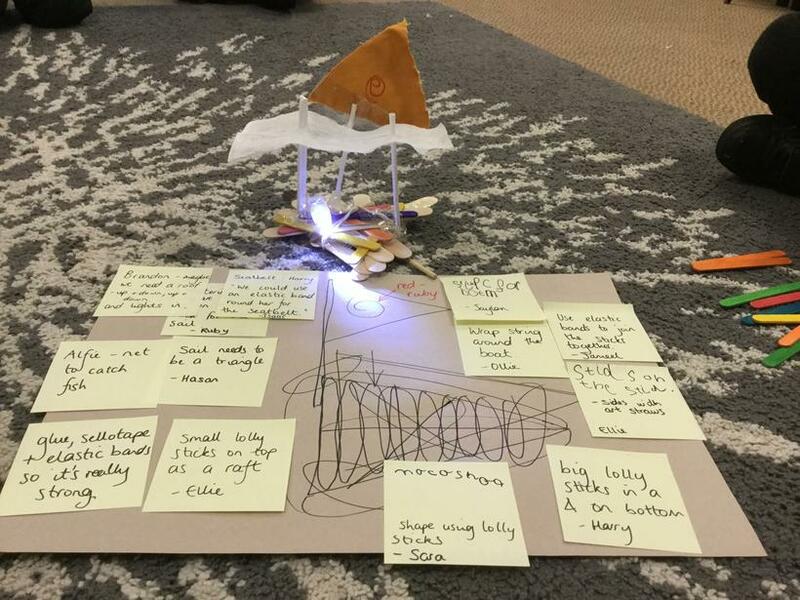 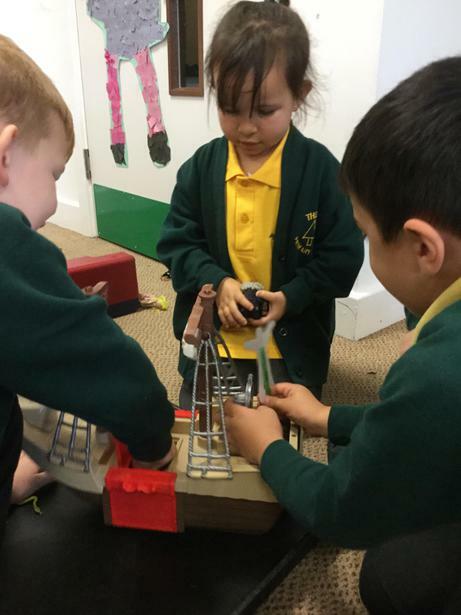 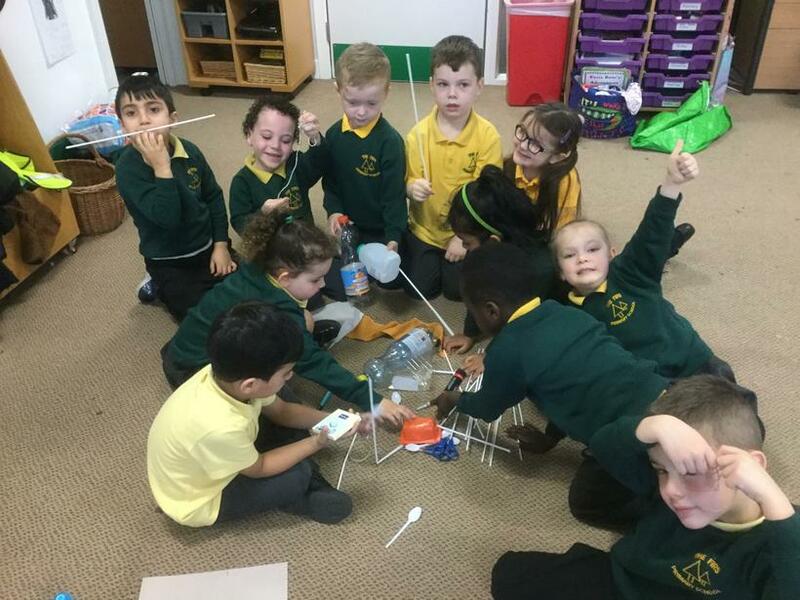 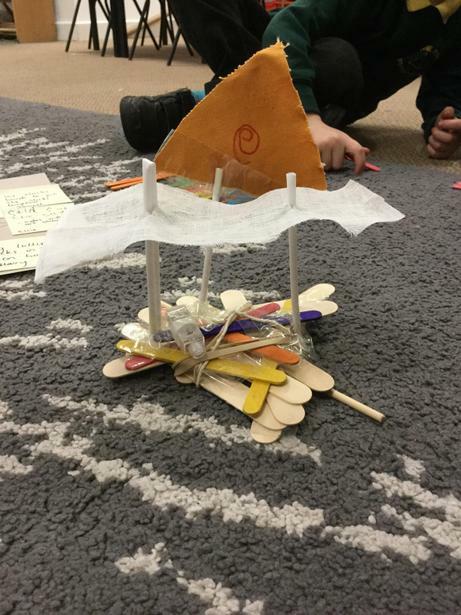 They then worked together to try out their ideas and make a team boat. 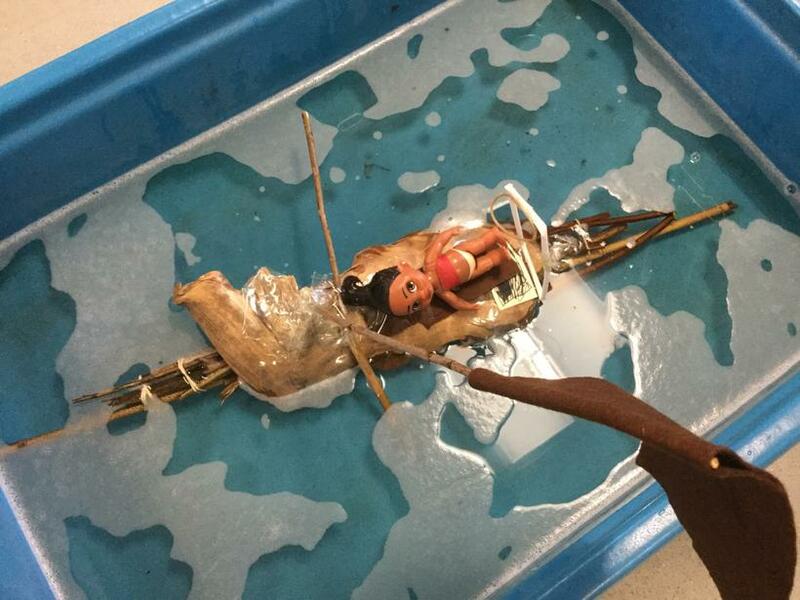 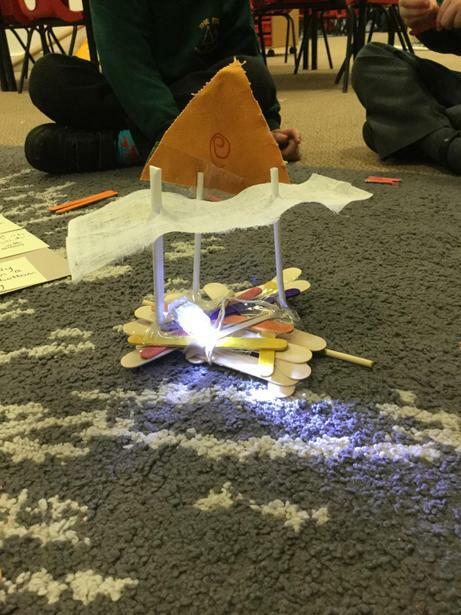 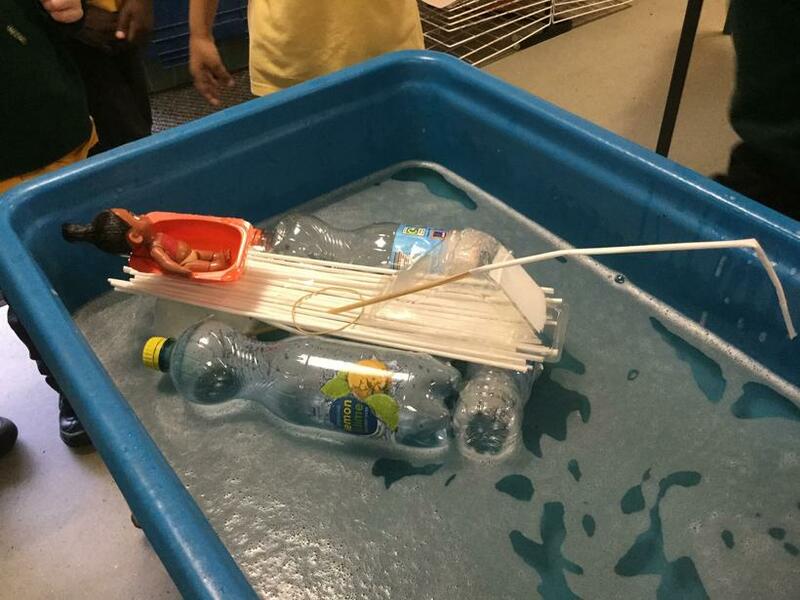 We were very excited to test our boats to see if they met our design criteria; to be strong and to float. 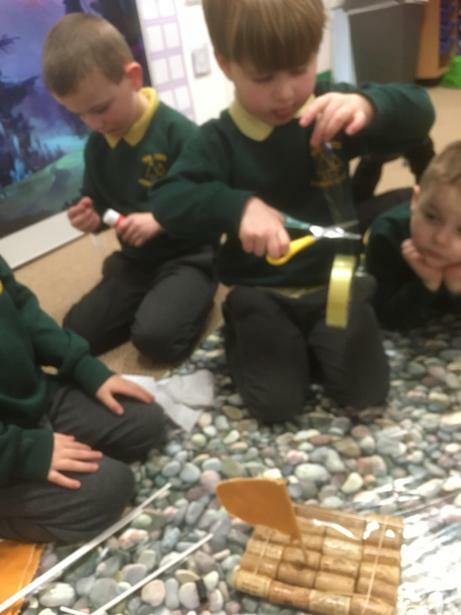 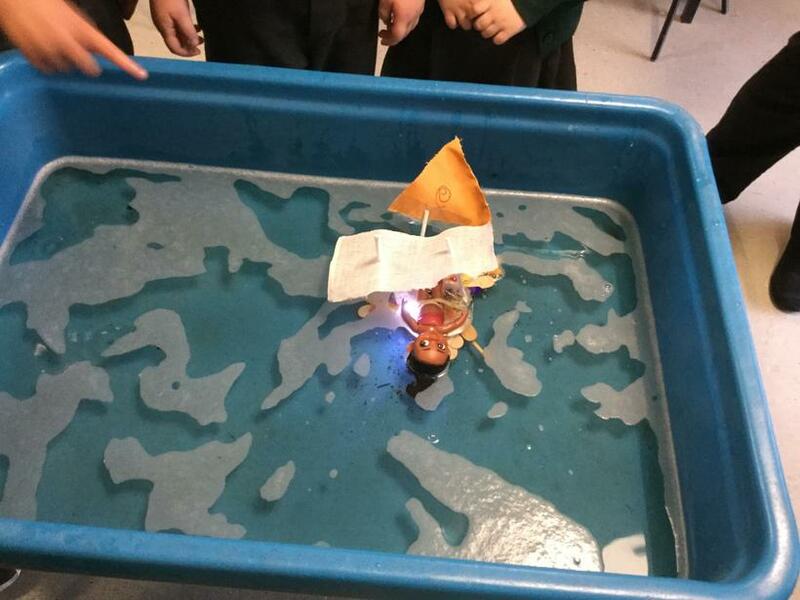 We were very proud of our boats, especially after testing them and realising that every team had managed to make a boat which would float and carry Moana! 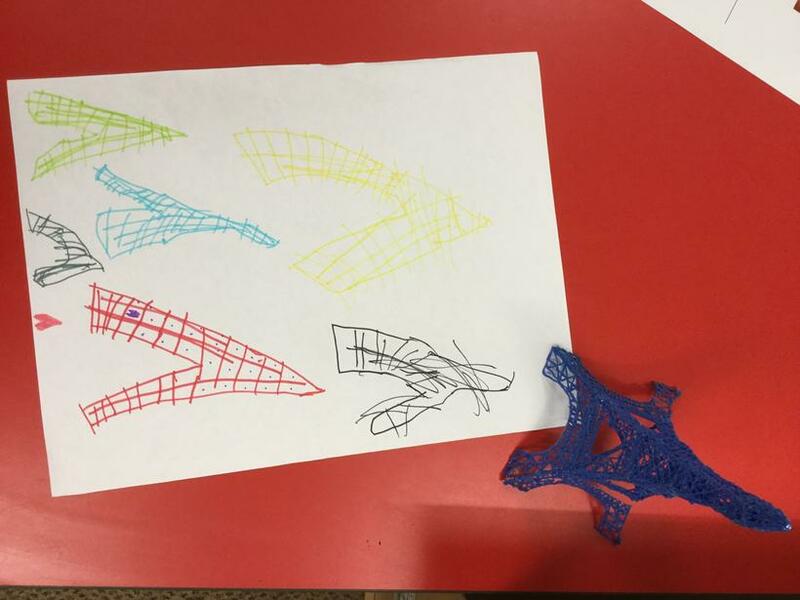 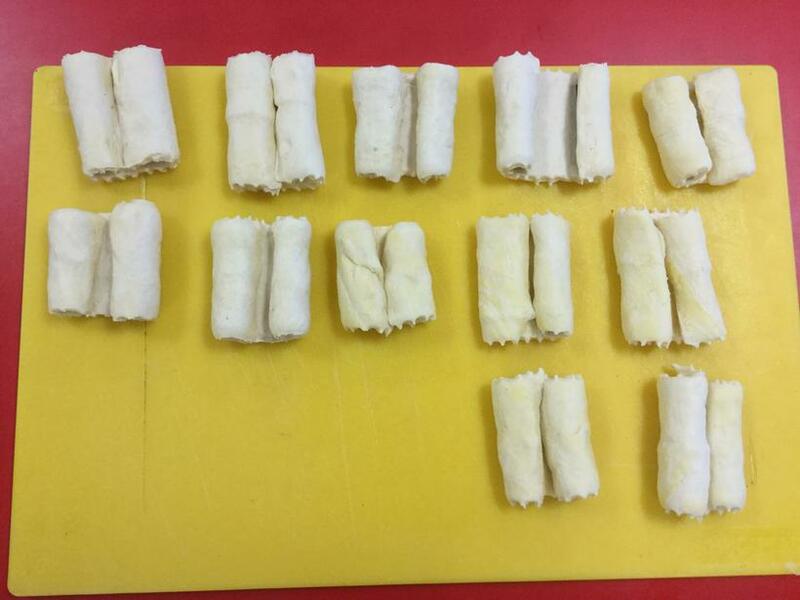 We had so much fun exploring symmetry using the symmetry app. 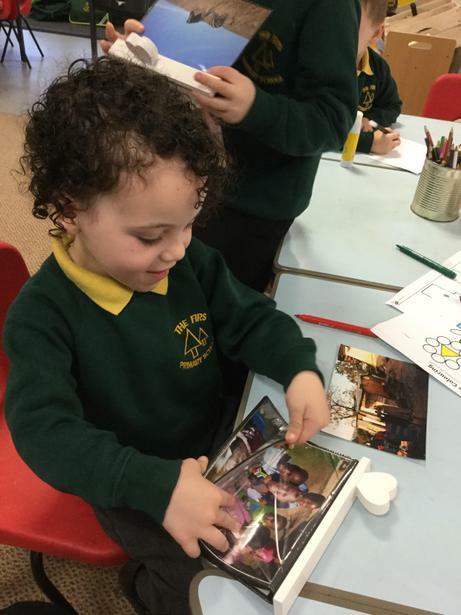 Have a look at the hilarious photos of us using symmetry to make sure our faces are the same on both sides. 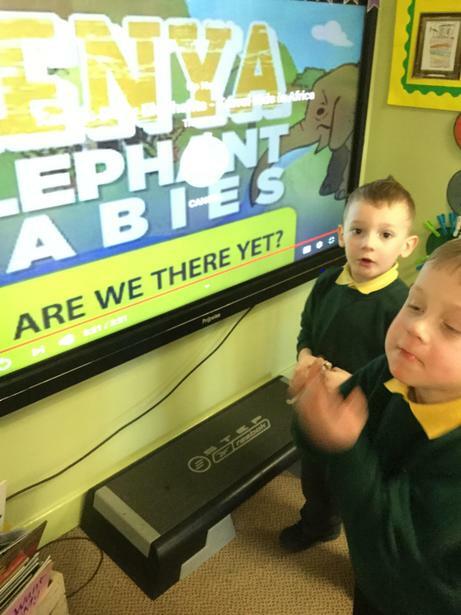 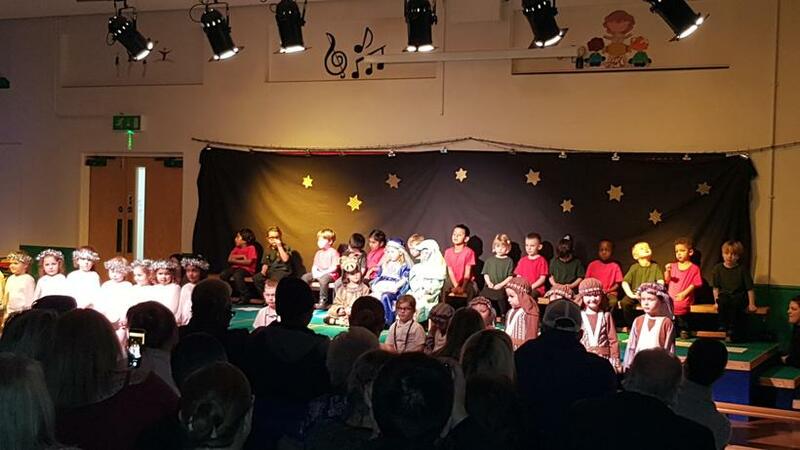 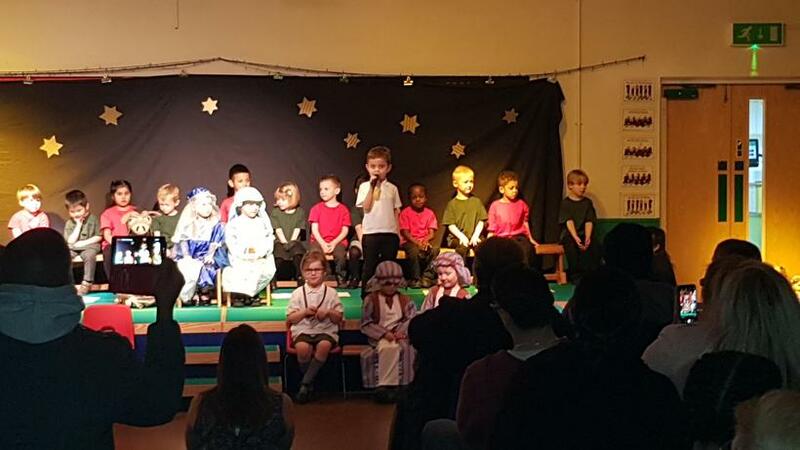 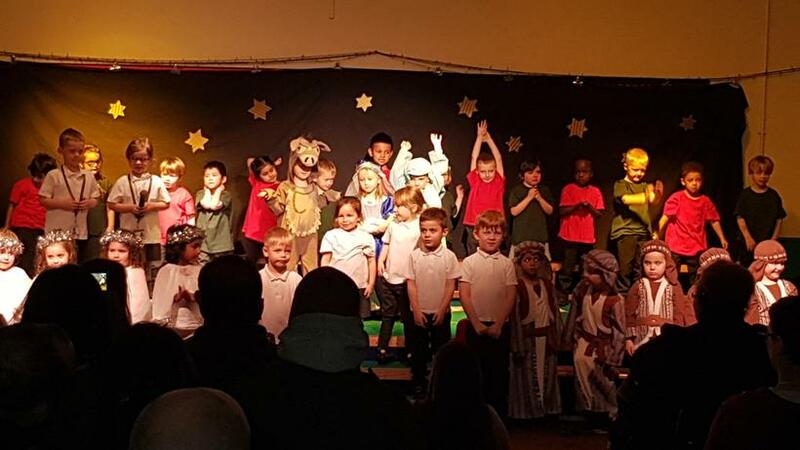 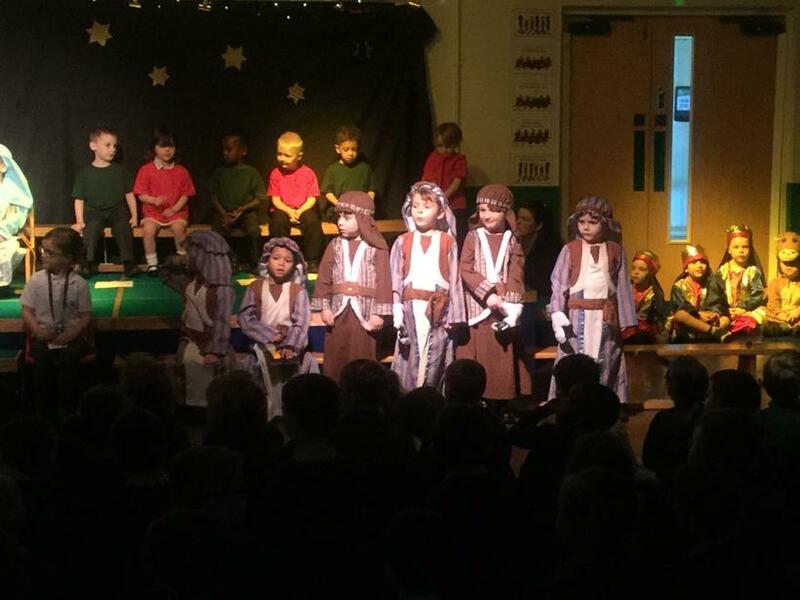 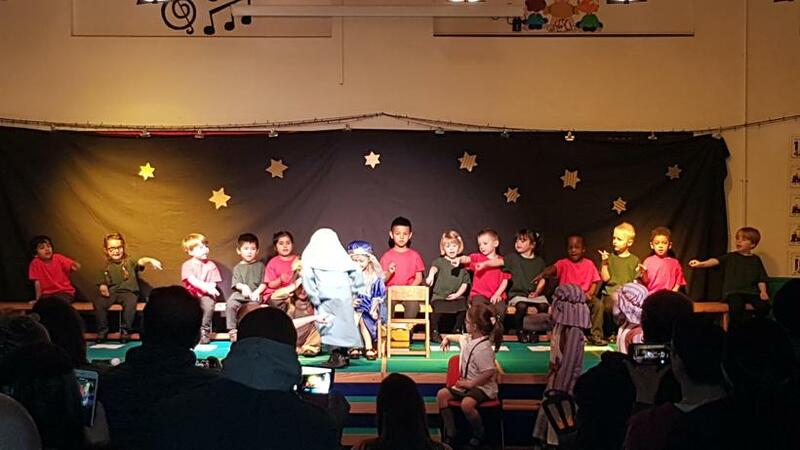 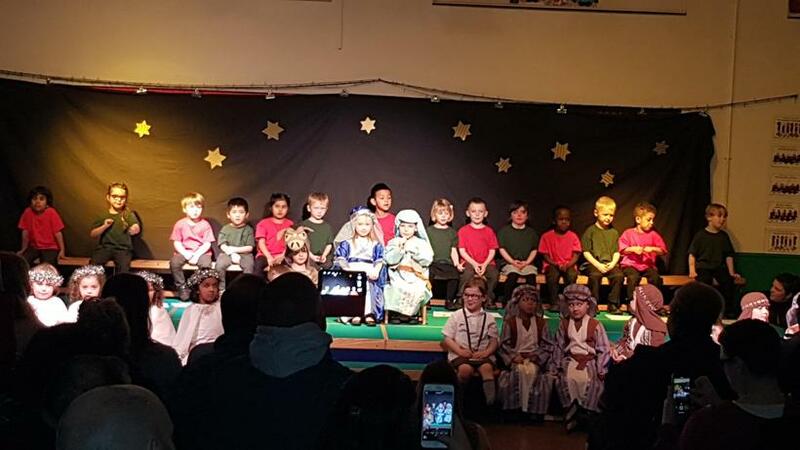 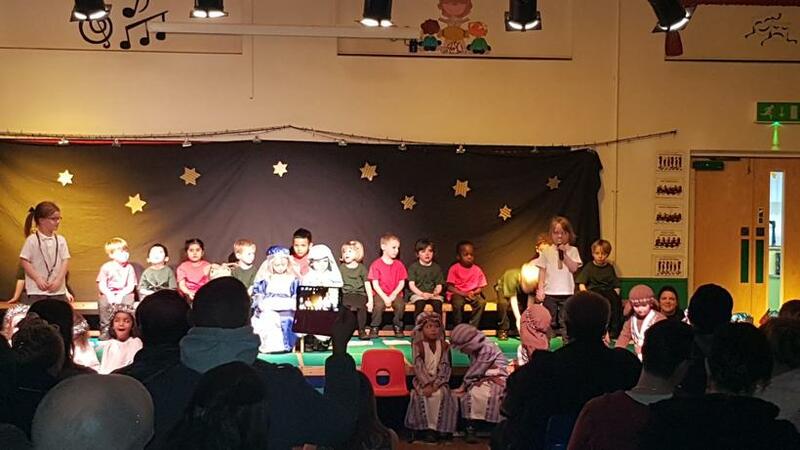 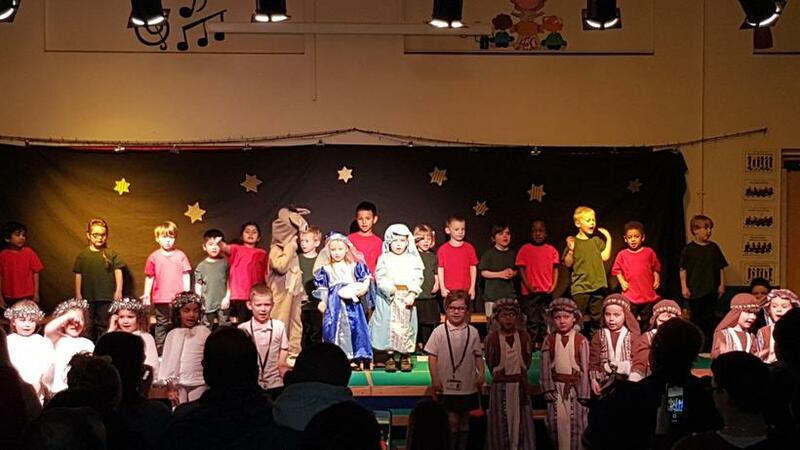 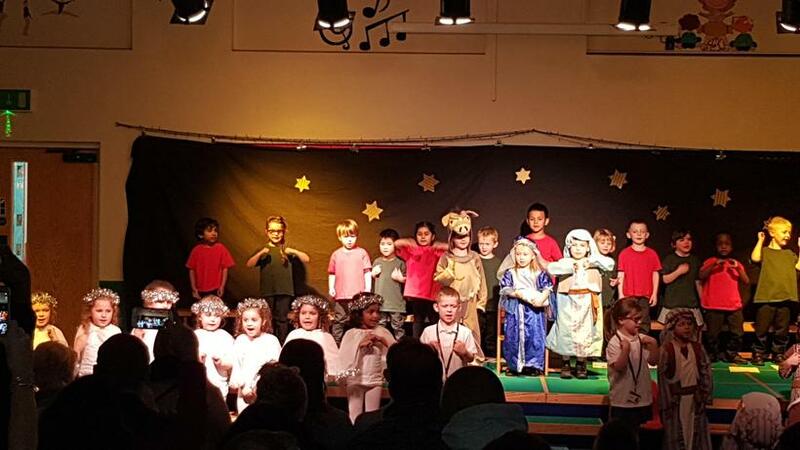 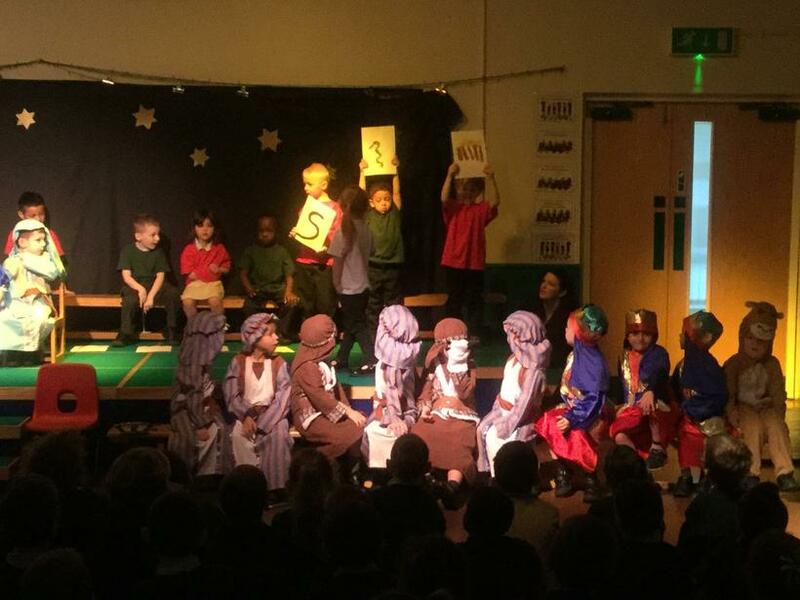 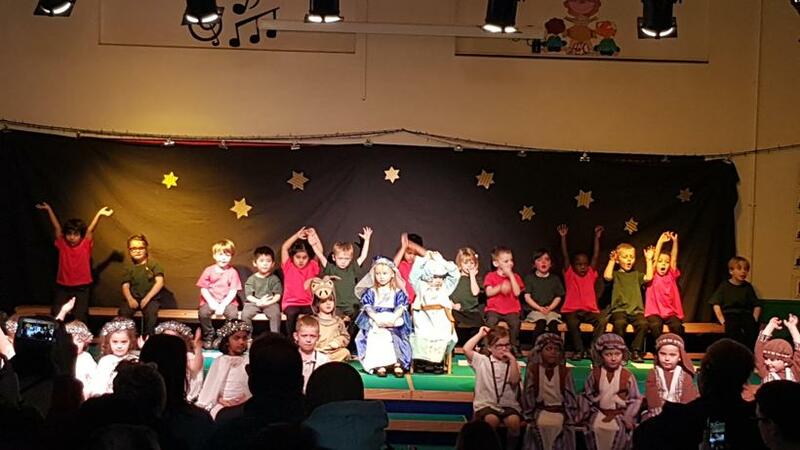 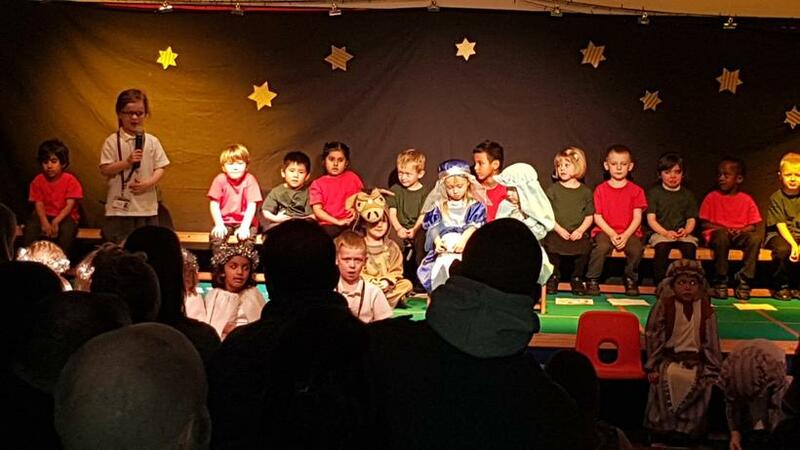 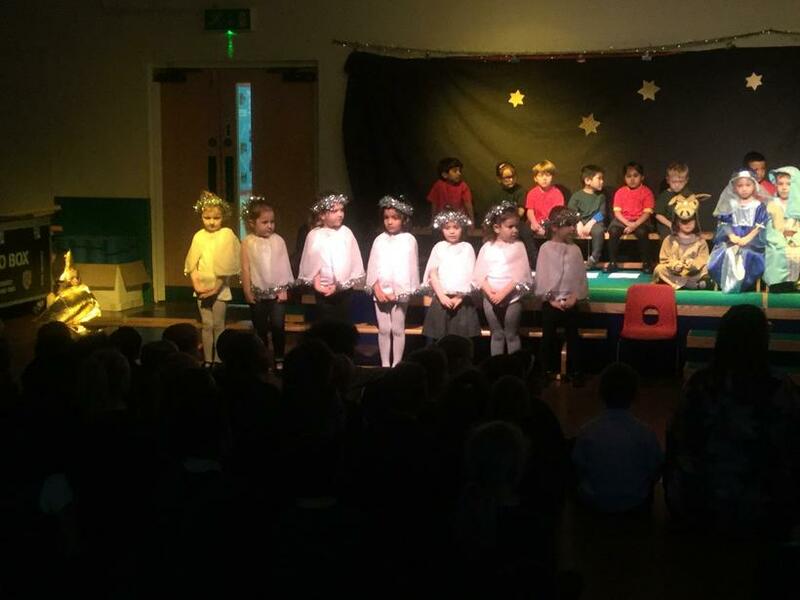 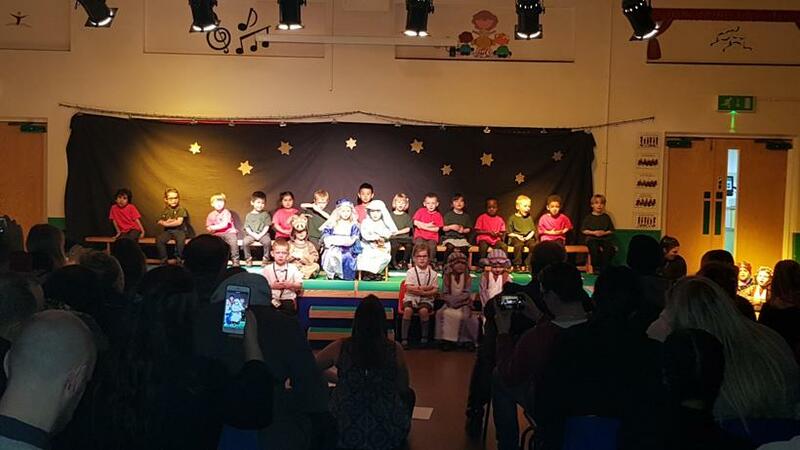 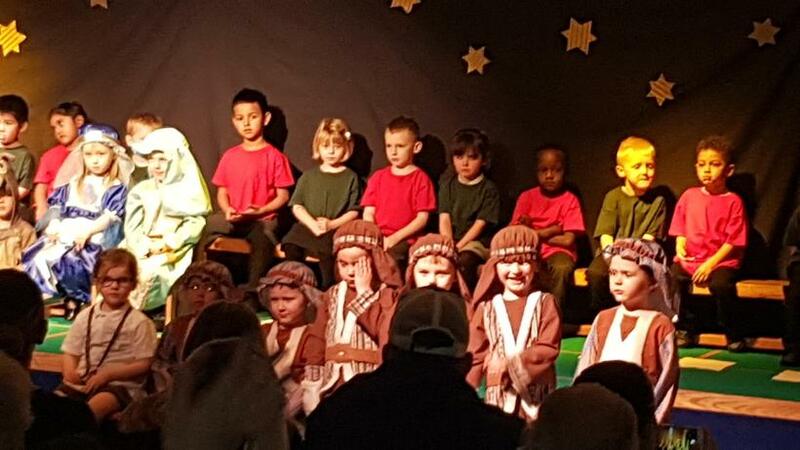 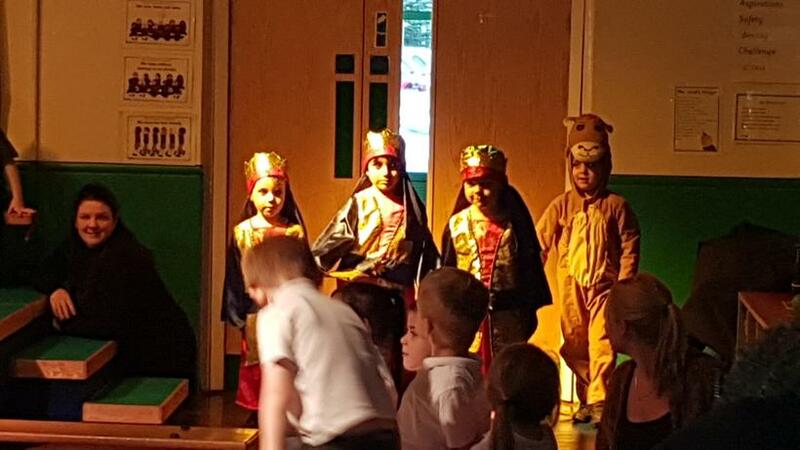 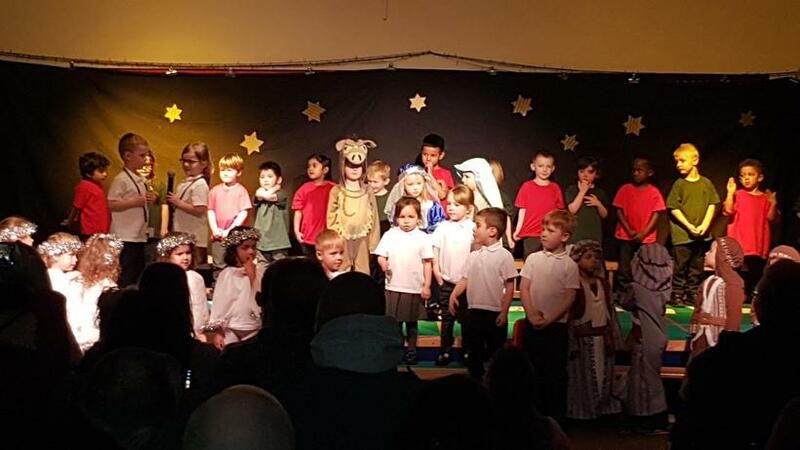 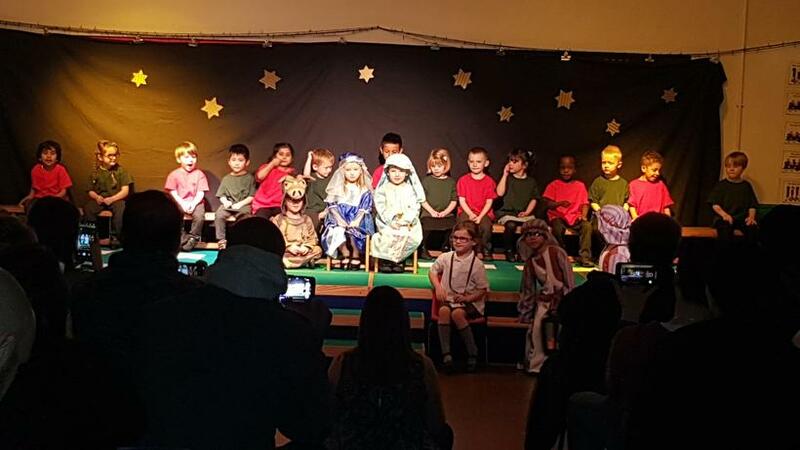 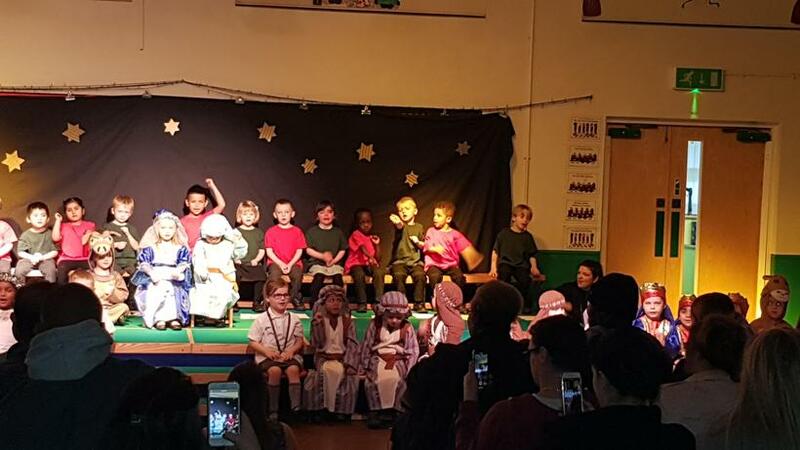 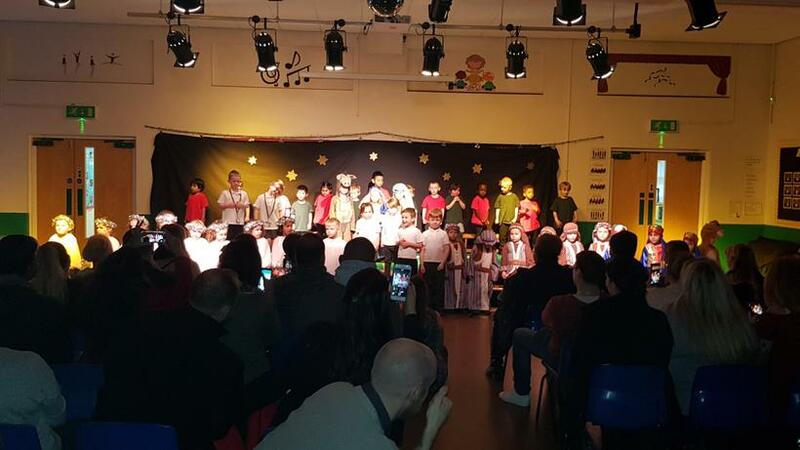 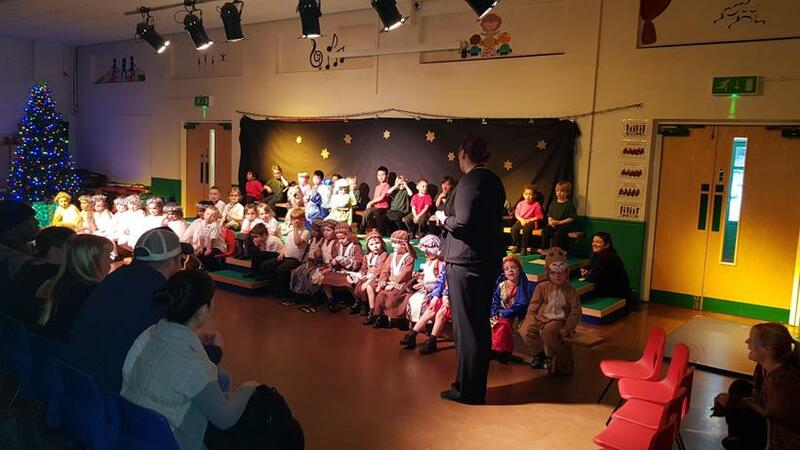 We have been very excited to watch some of the Christmas adverts which are on our TVs at home. 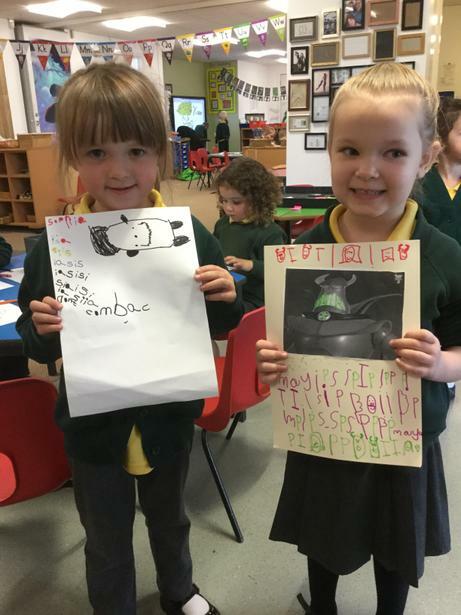 We really liked the 'Very' advert and enjoyed discussing what we would like to be when we are older. 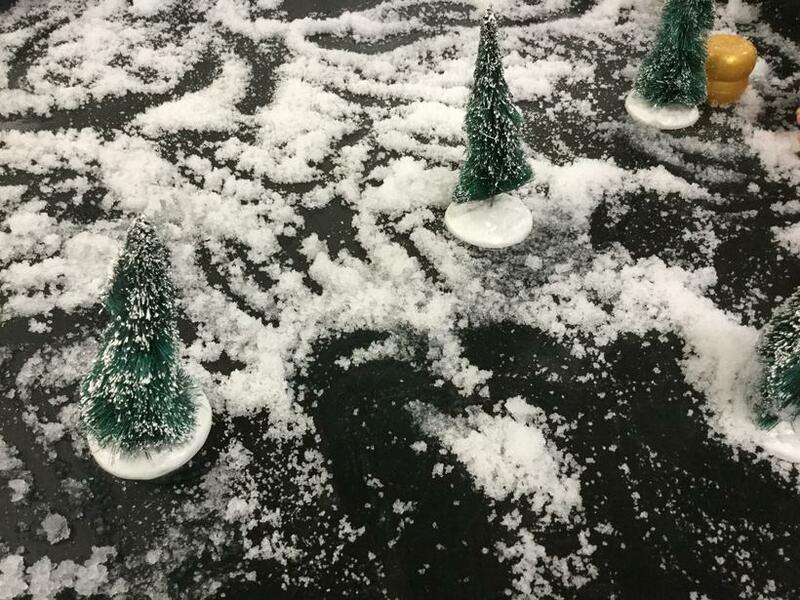 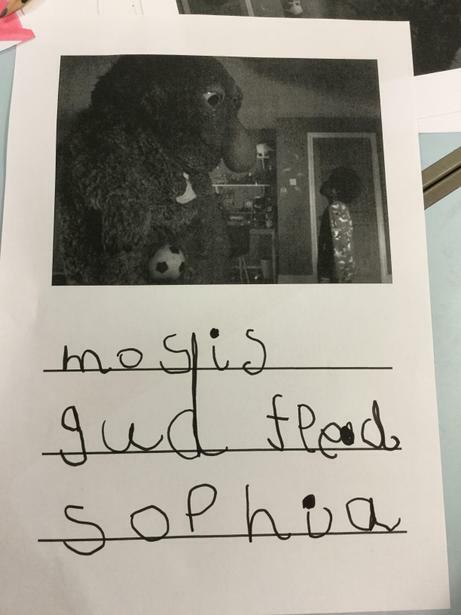 We then spent some time thinking about 'Moz' the monster from last year's John Lewis Christmas advert. 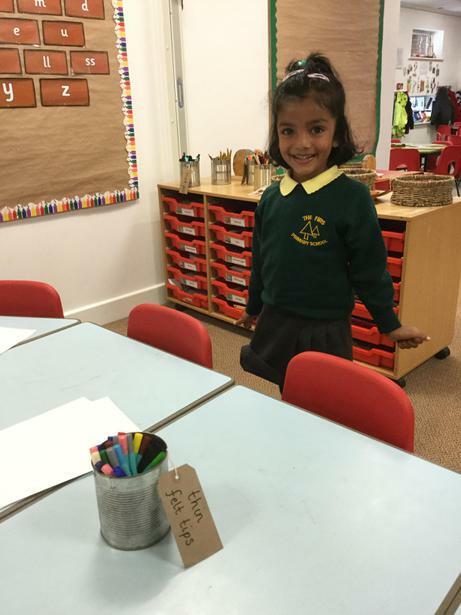 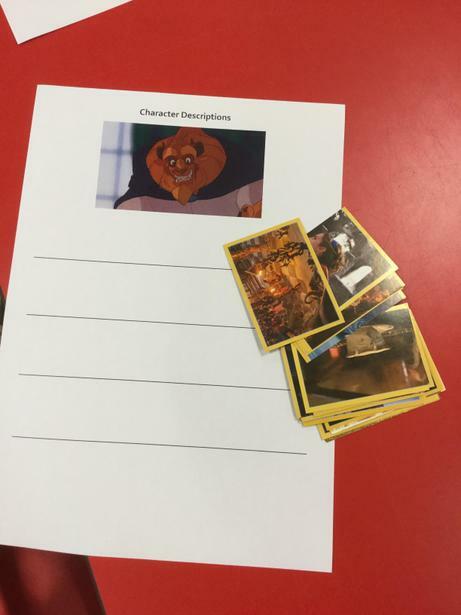 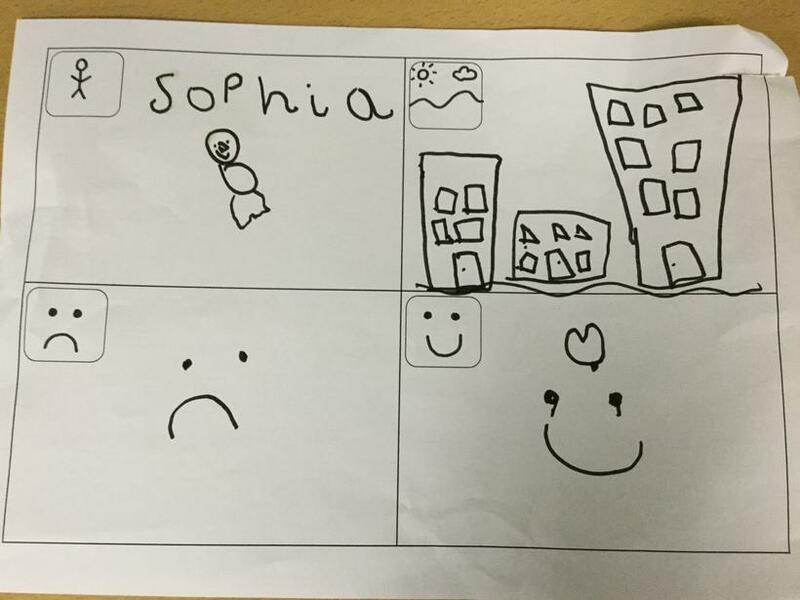 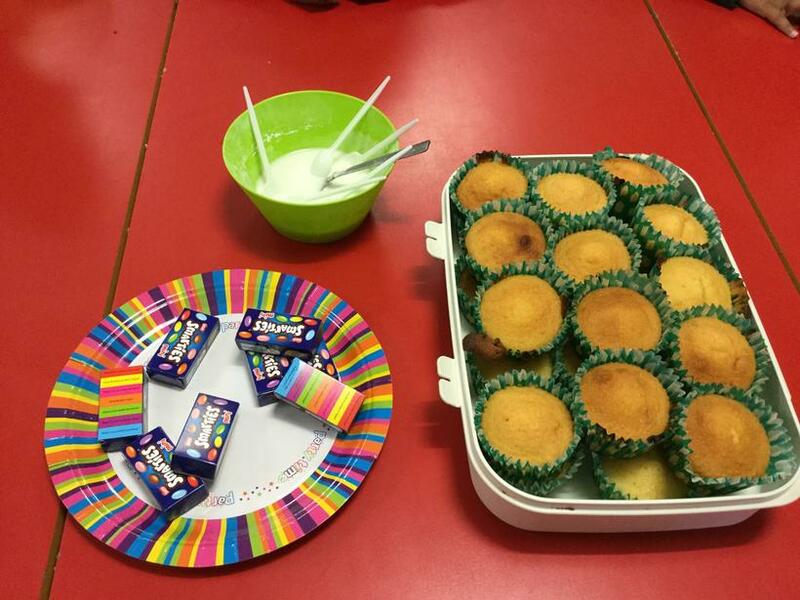 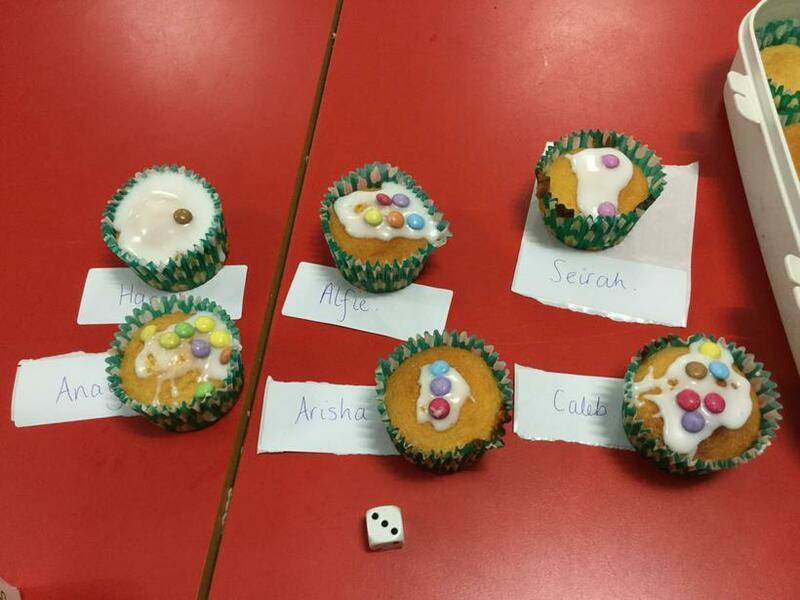 We took part in some Philosophy sessions where we explored ideas like 'what makes a good friend? 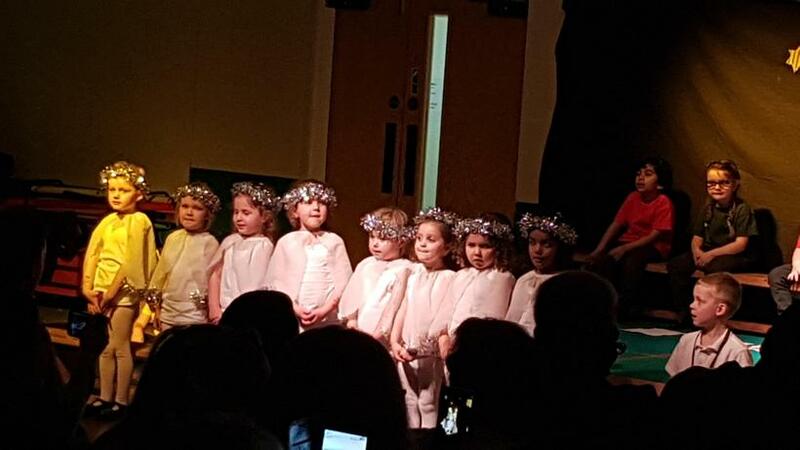 Was Moz a good friend in the advert?' 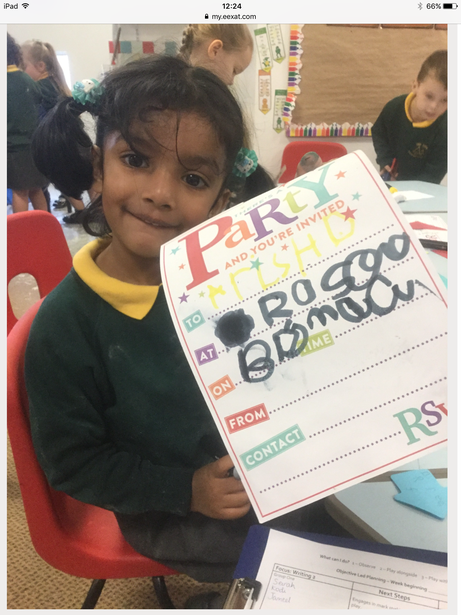 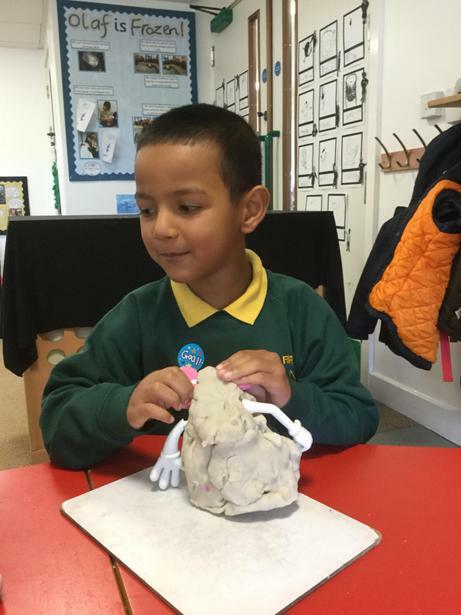 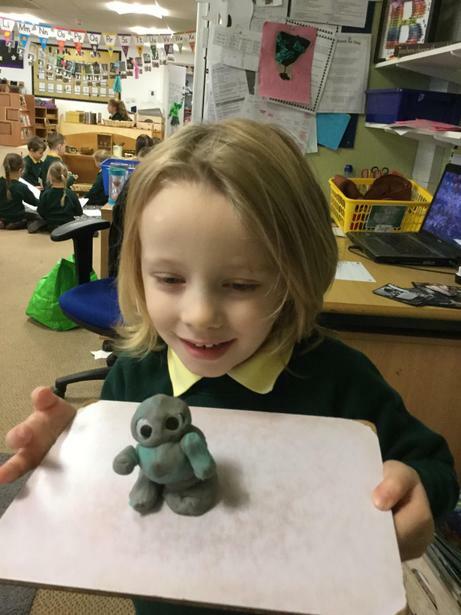 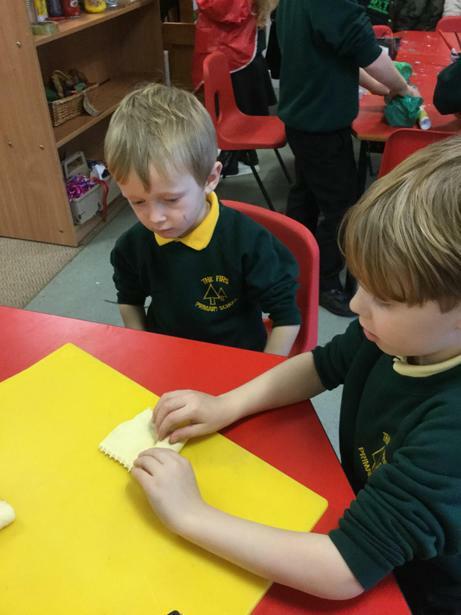 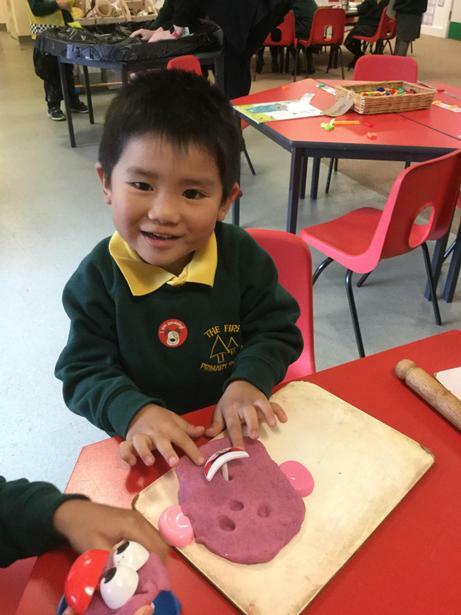 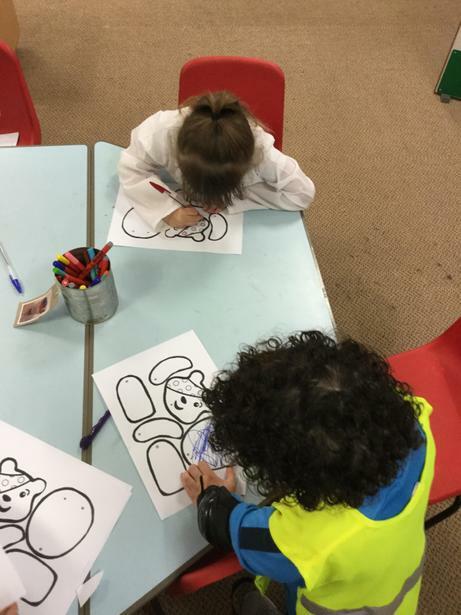 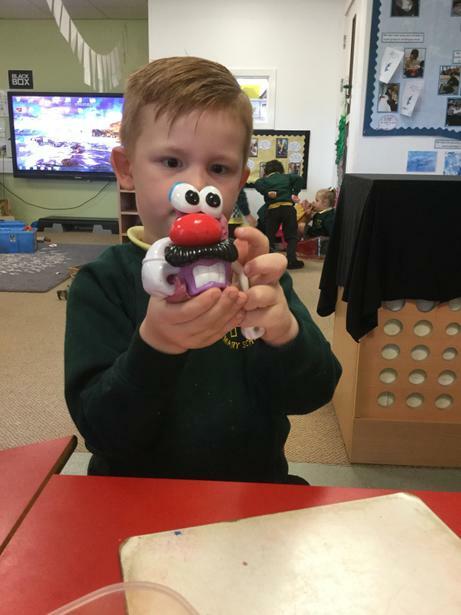 and we did lots of fun 'Moz' activities such as writing notes and letters, making play dough Moz monsters and reading the Moz book. 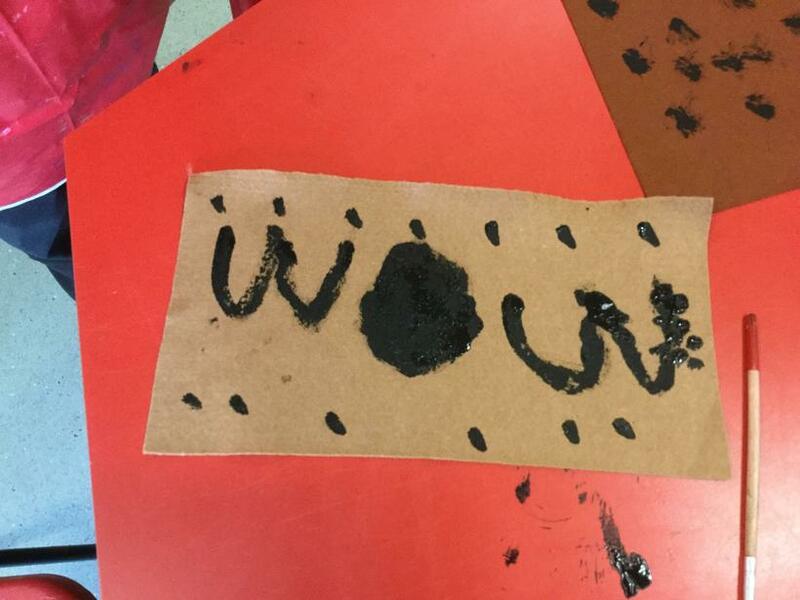 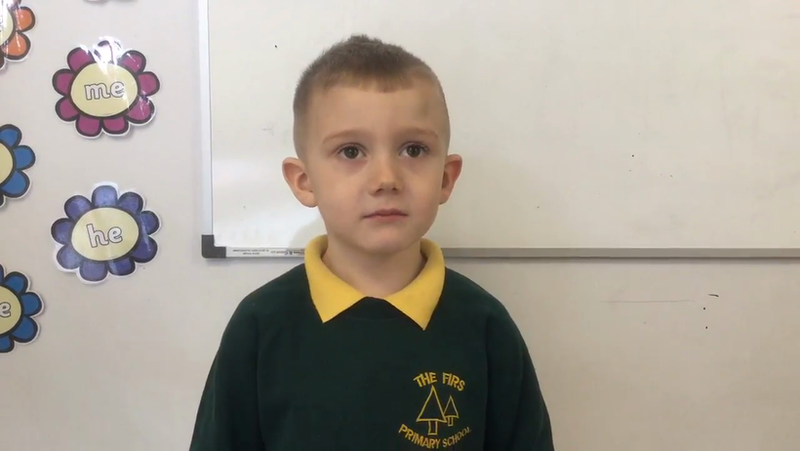 This video shows you how to say the 44 sounds that children learn in Reception. 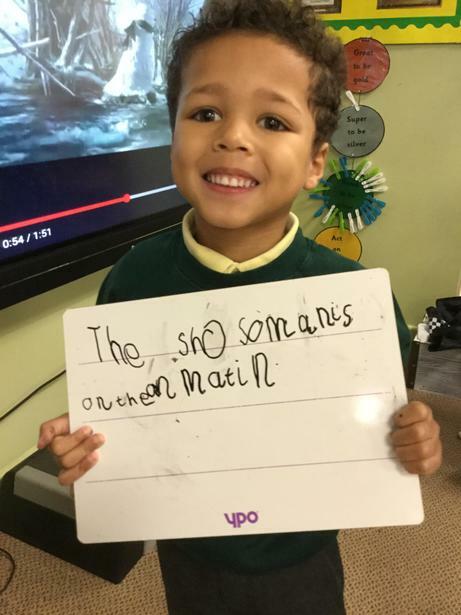 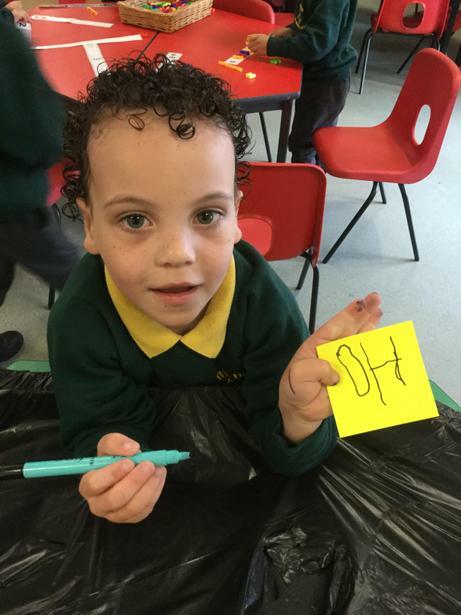 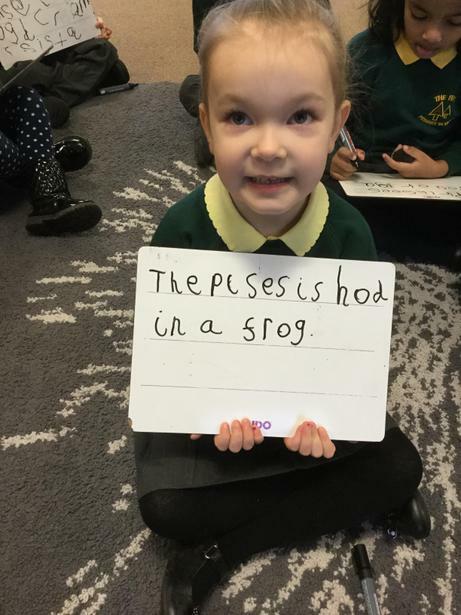 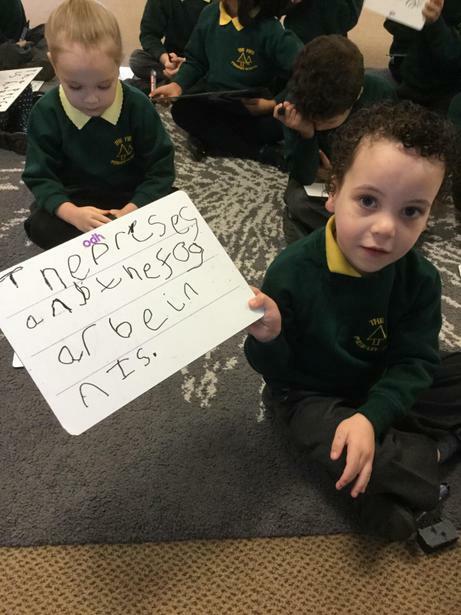 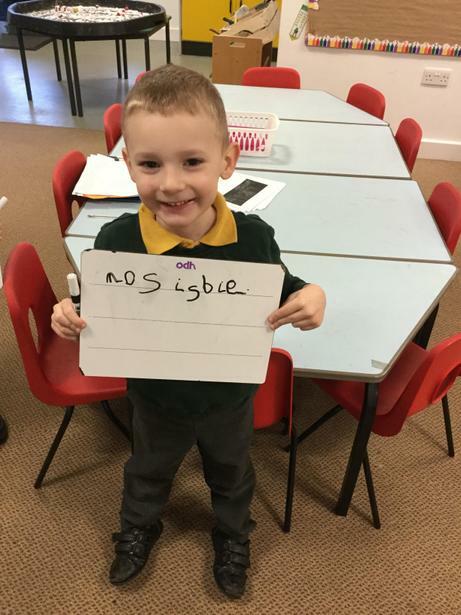 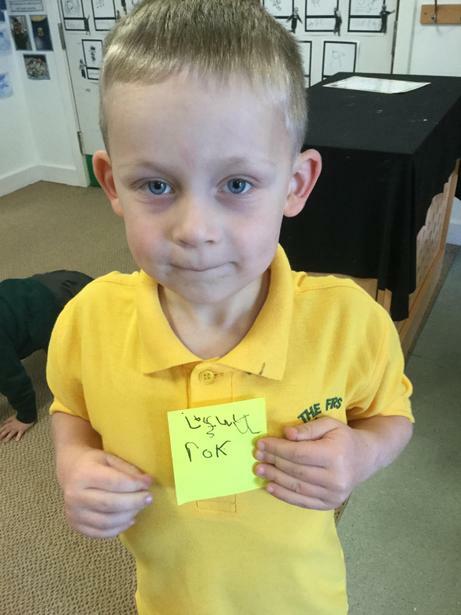 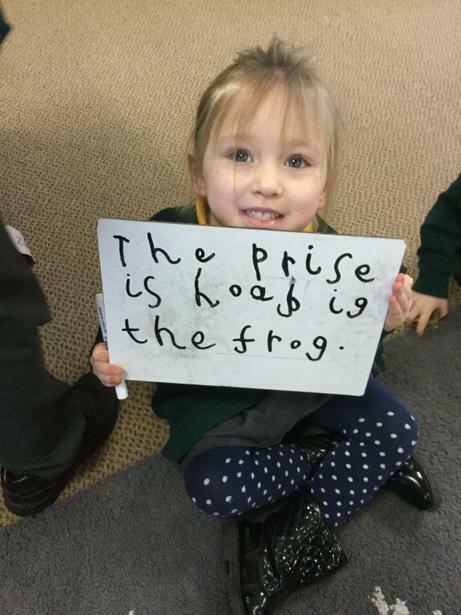 It also explains some of the language that the children will use when learning phonics. 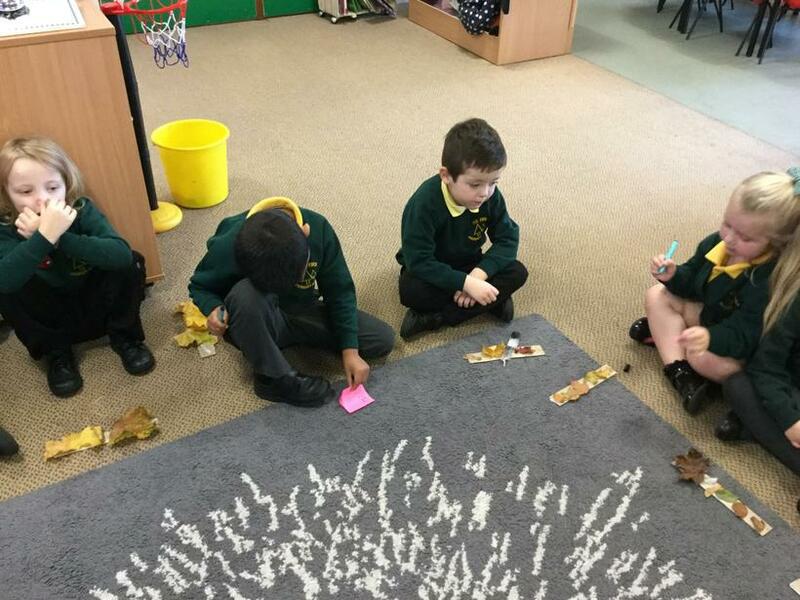 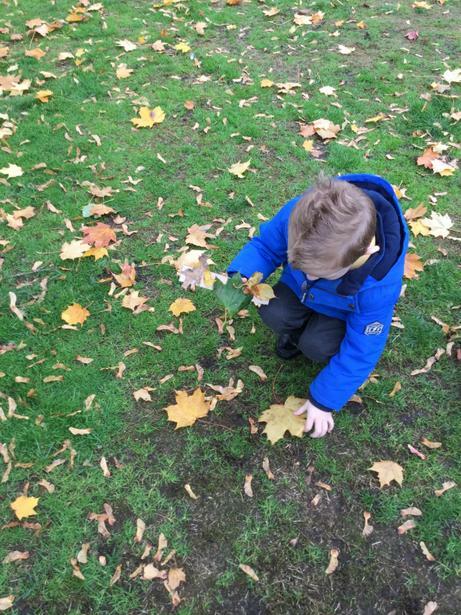 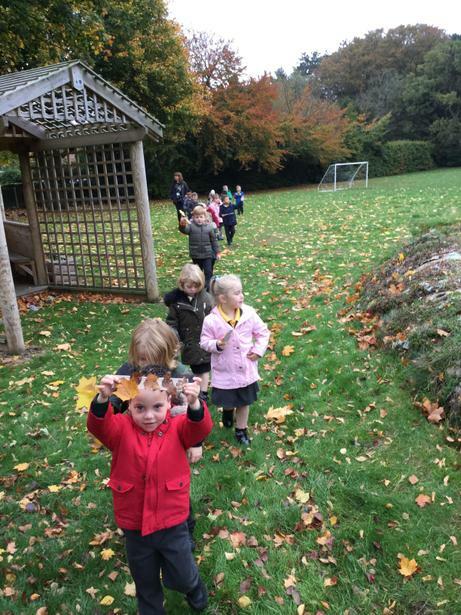 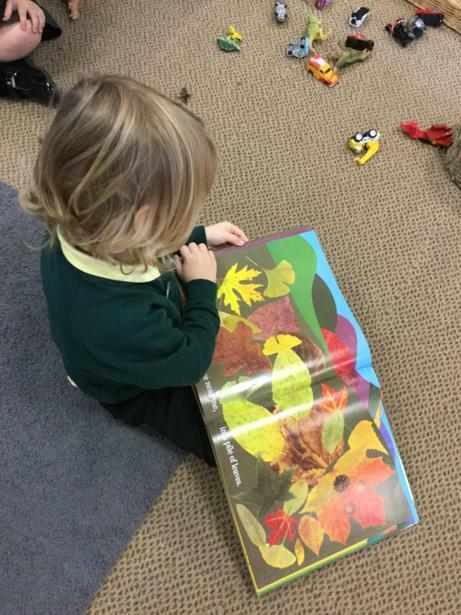 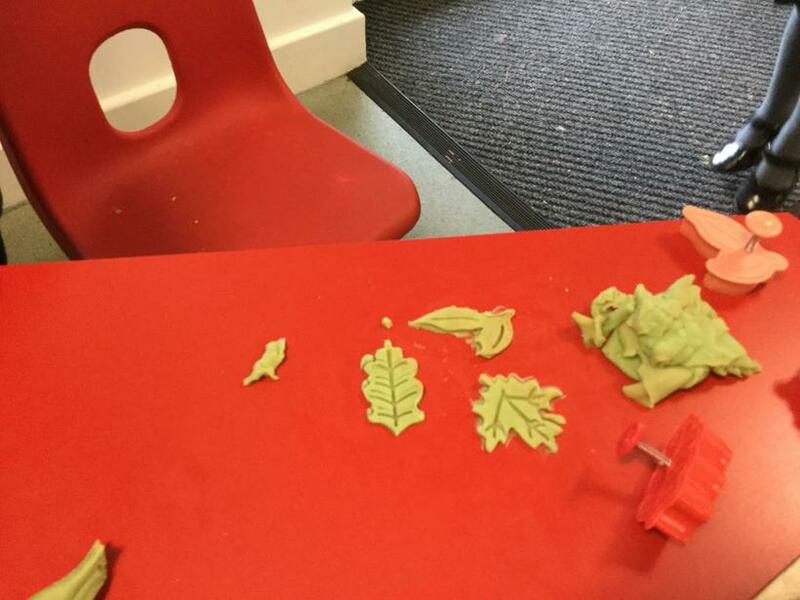 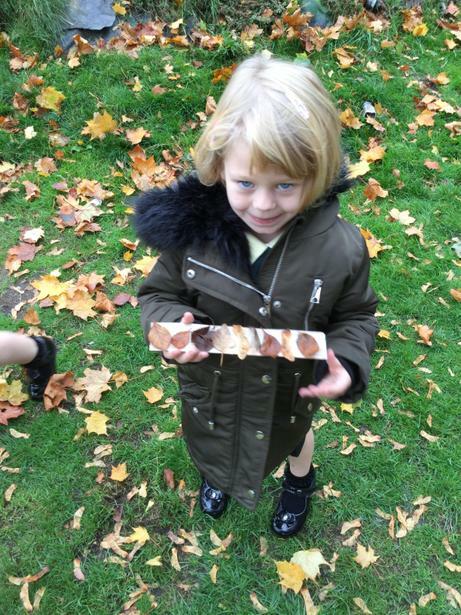 We have loved collecting Autumn leaves, conkers and acorns over the last few weeks and bringing them in to show our teachers so imagine how excited we were to discover the book 'We're going on a leaf hunt' and head out on a Leaf hunt of our very own! 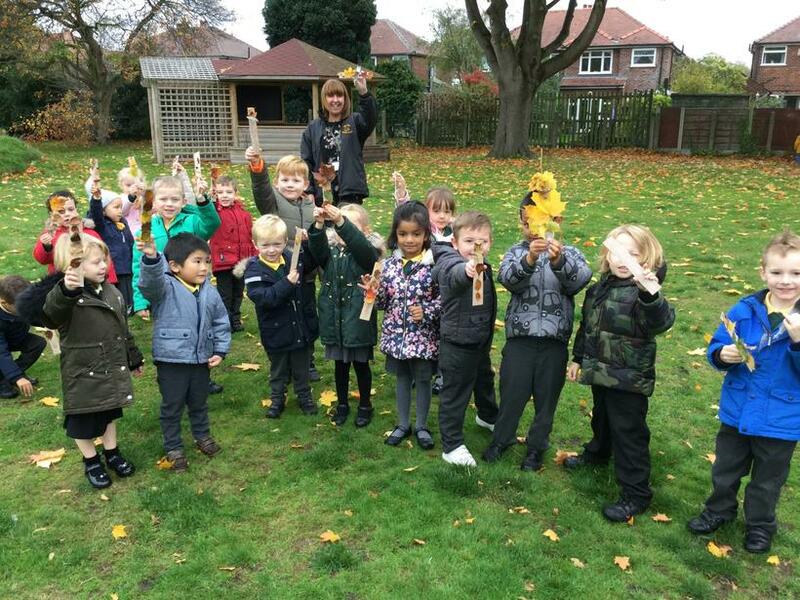 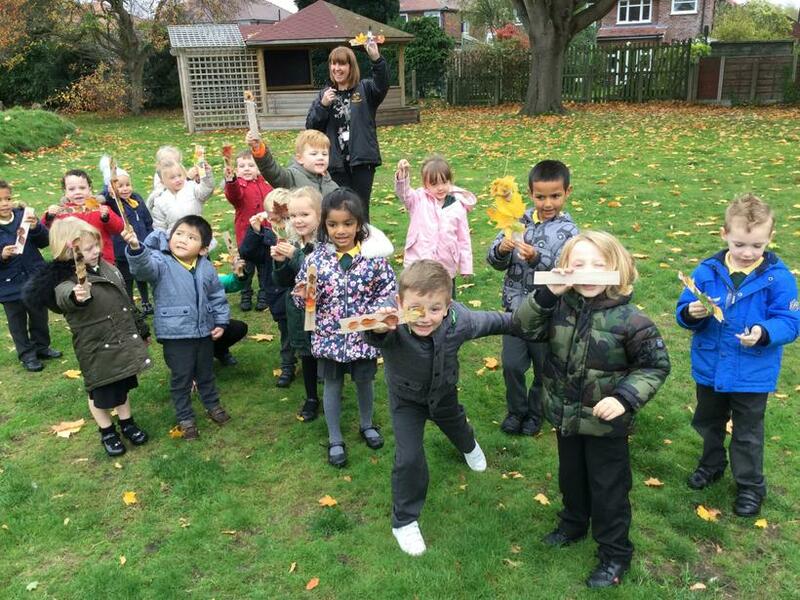 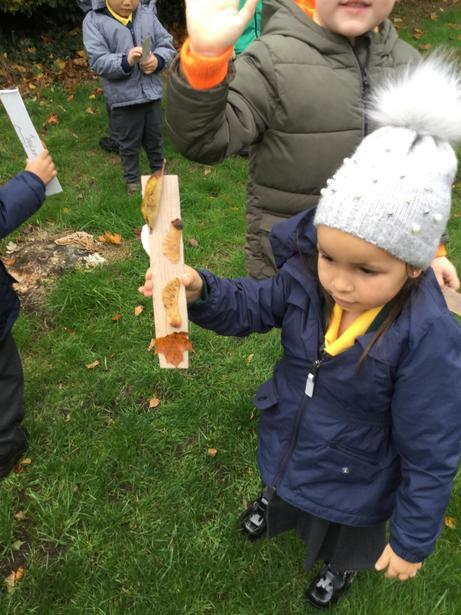 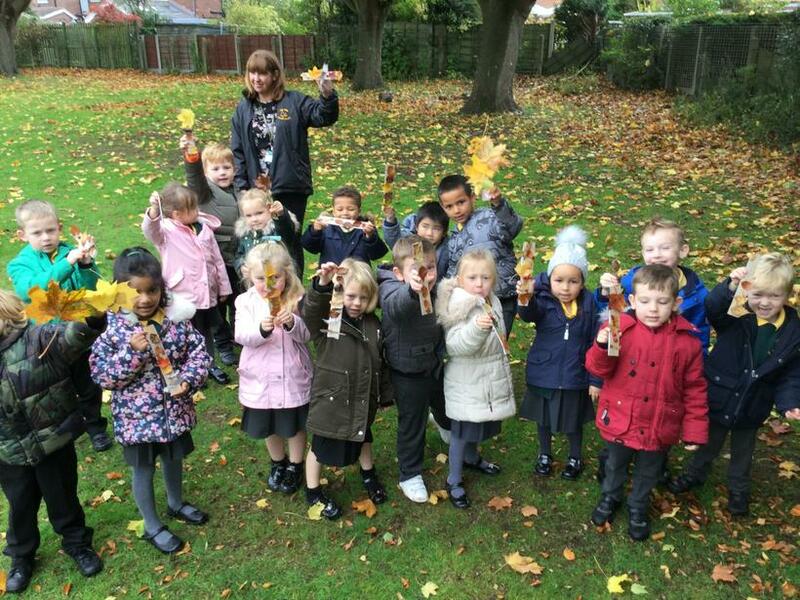 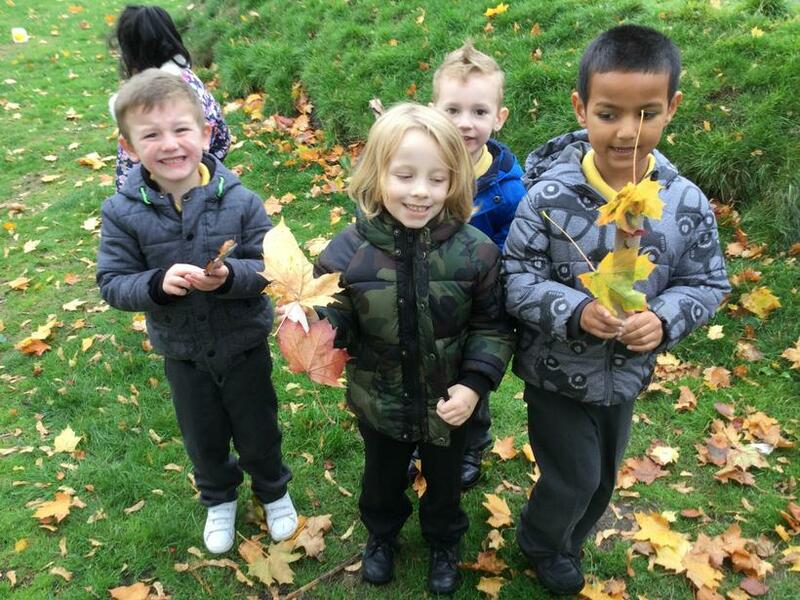 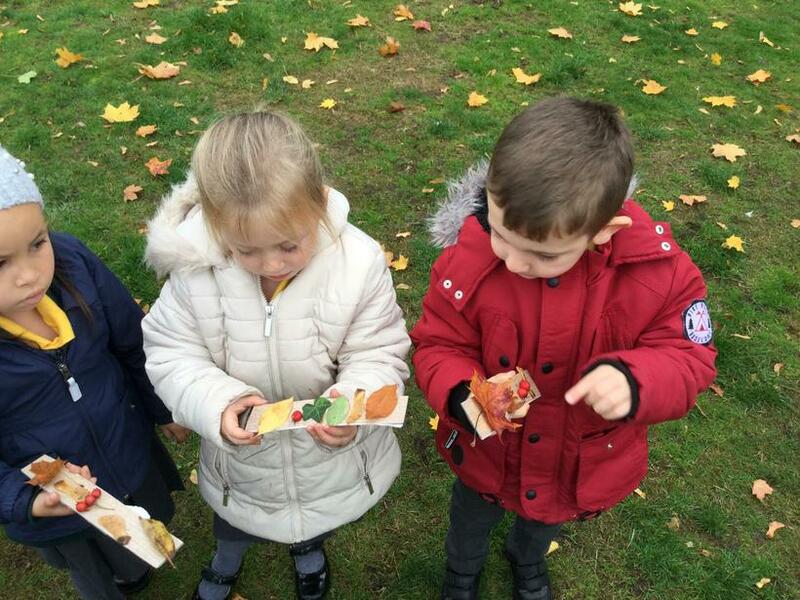 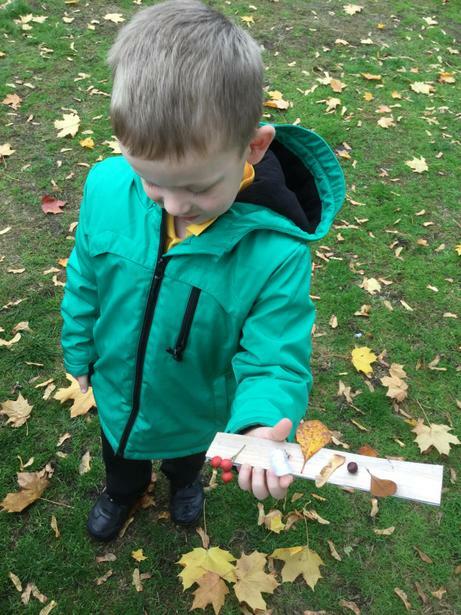 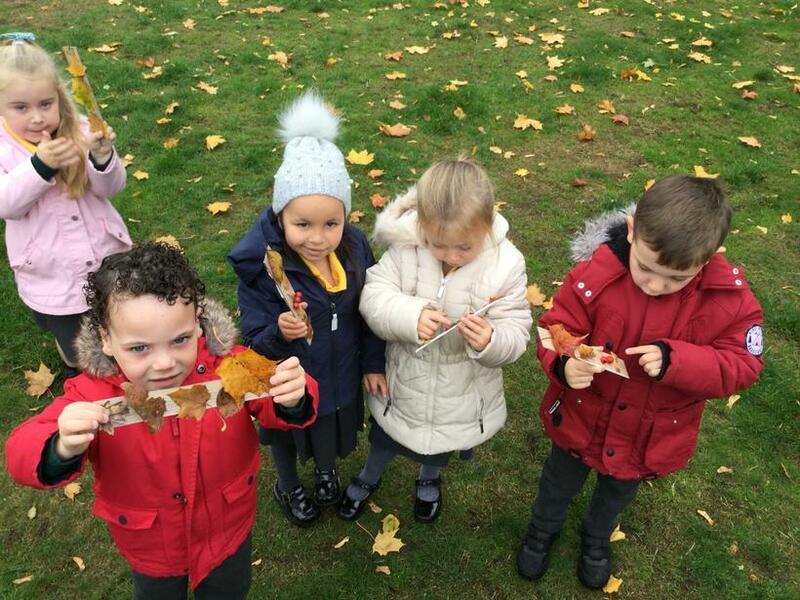 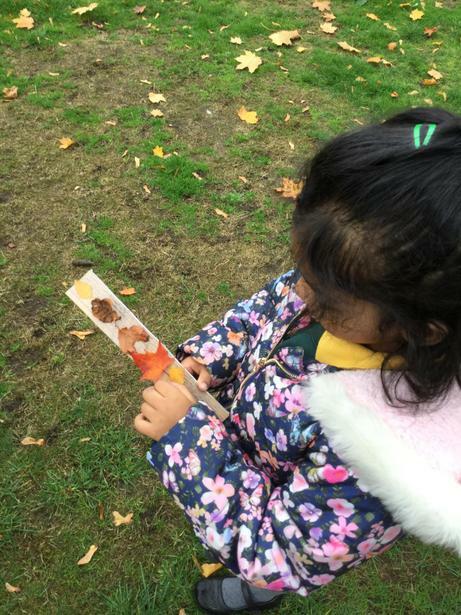 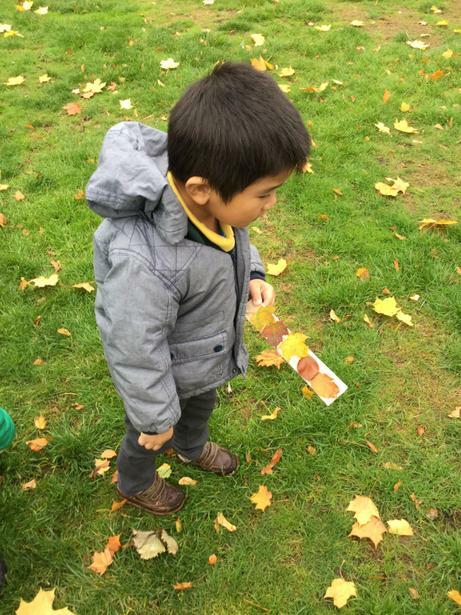 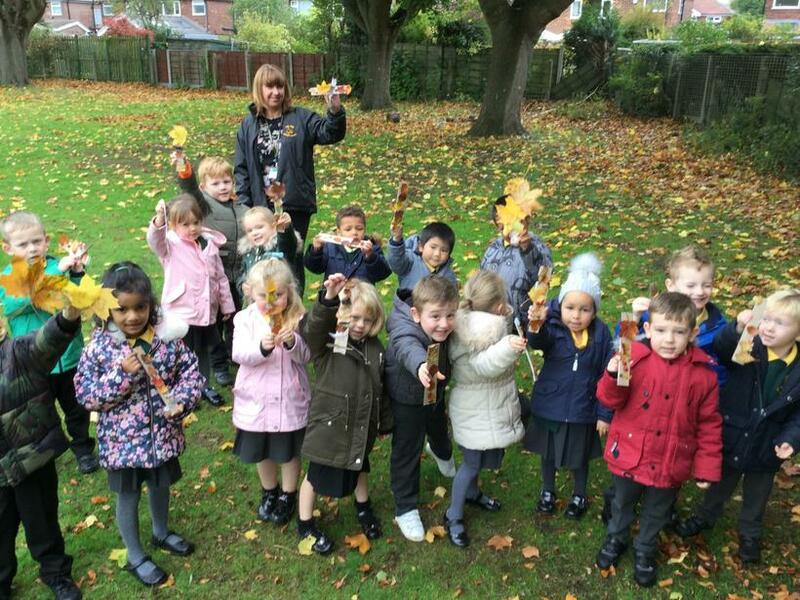 We took our 'journey sticks' and collected Autumn objects along the way to stick onto them. 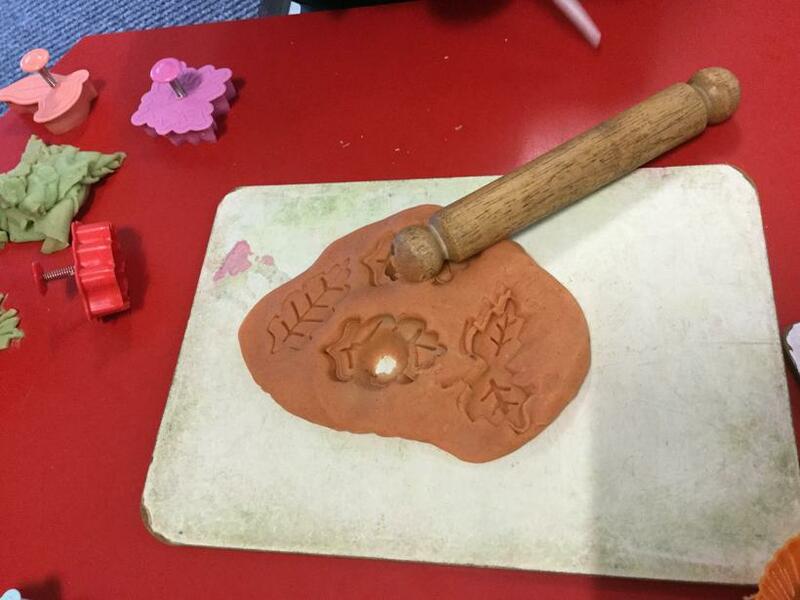 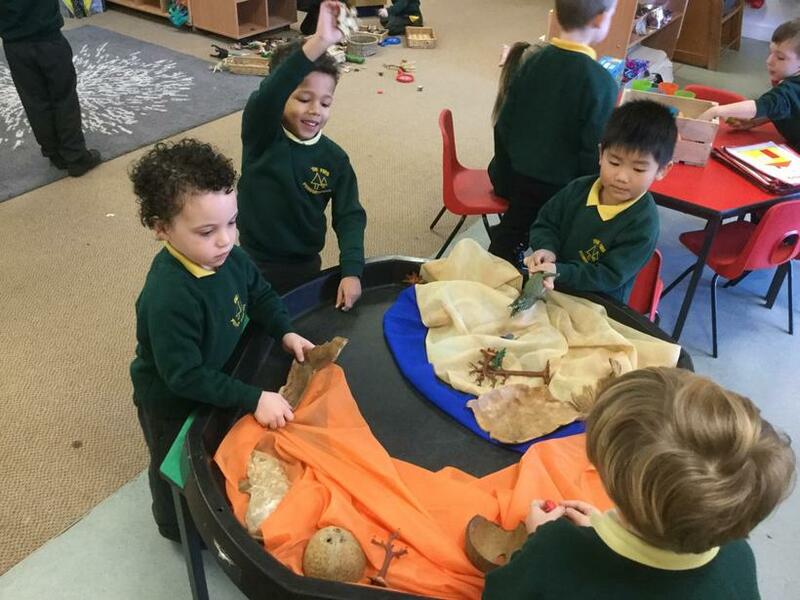 We found lots of lovely things and enjoyed talking in talk-partners about what we had found when we got back. 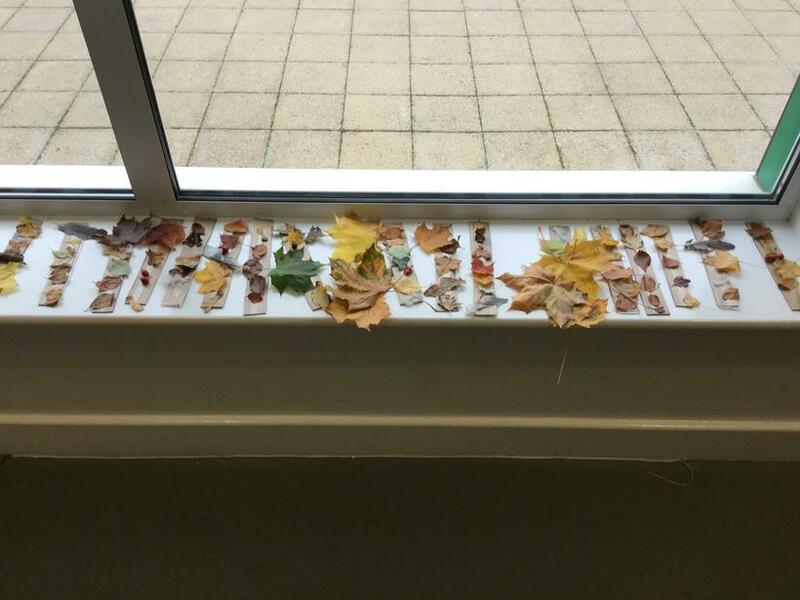 We have even turned our journey sticks into a fab display! 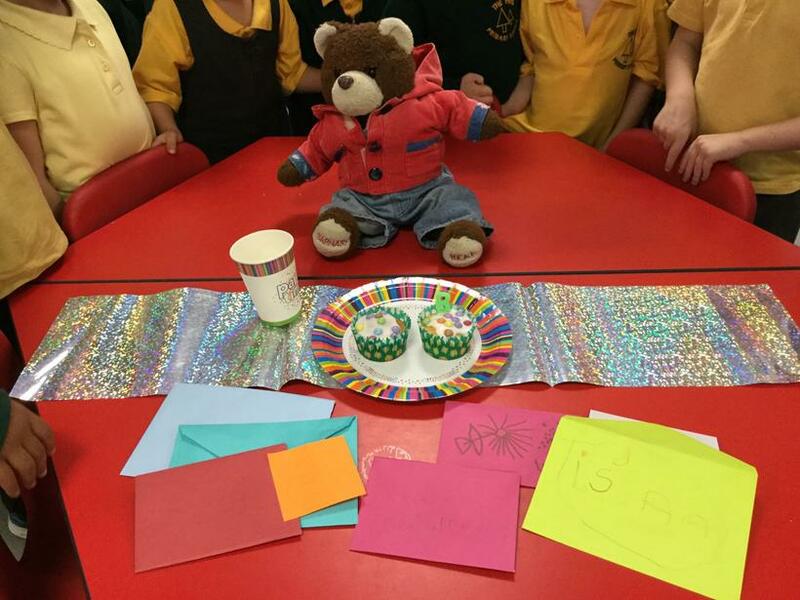 Barnaby and Rosie bear's birthday! 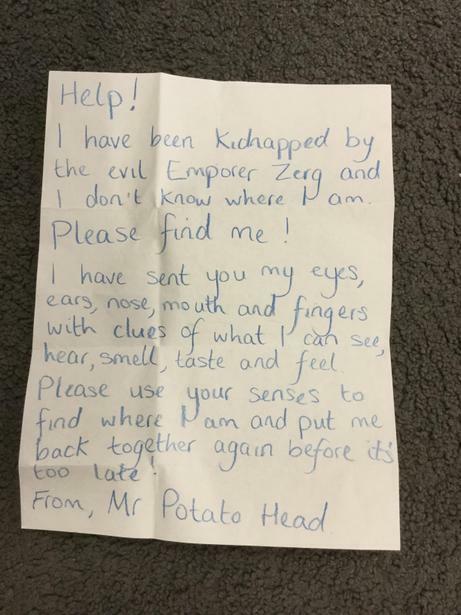 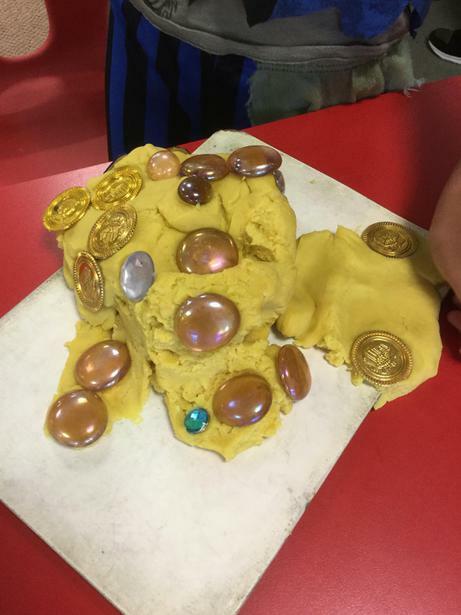 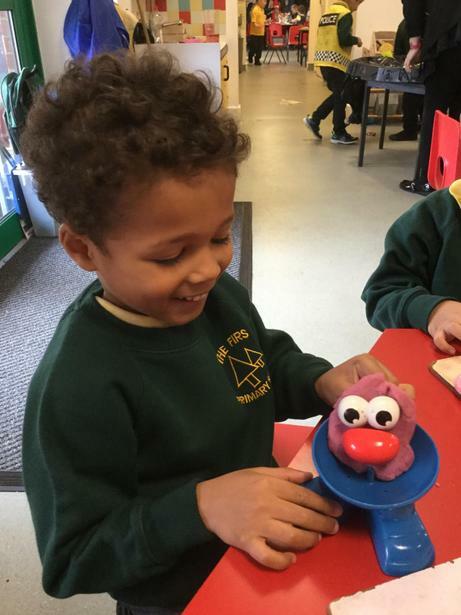 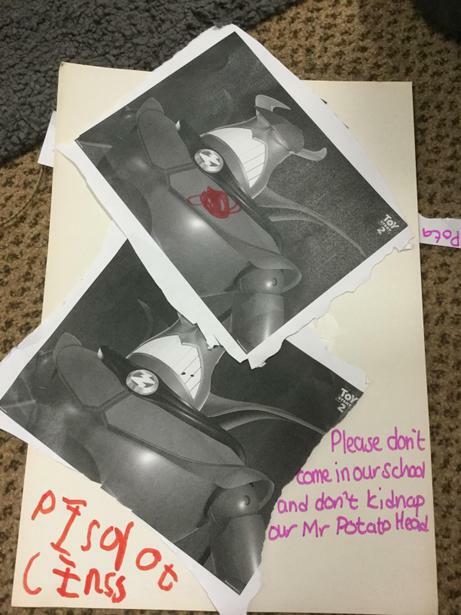 We couldn't believe it when we came into school to find that the evil Emporer Zurg had kidnapped Mr Potato Head and hidden him somewhere! 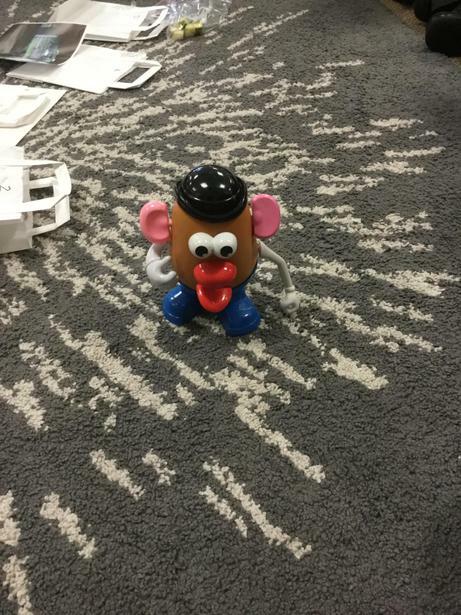 Luckily Mr Potato Head had sent us 5 of his body parts with sensory clues to help us find him. 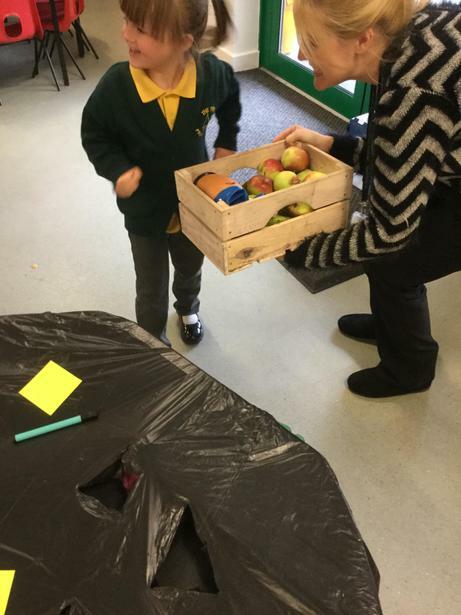 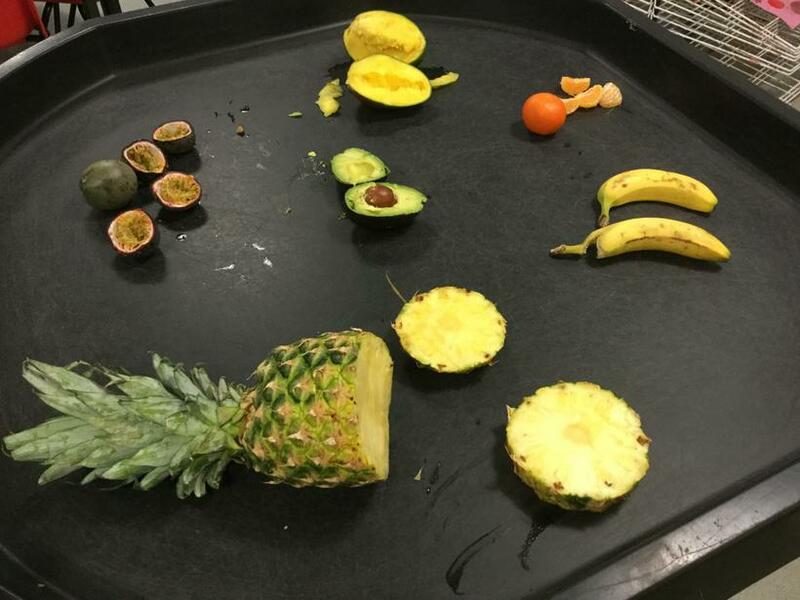 We worked out what he could hear, smell, see, touch and taste and managed to find him hidden in our fruit box. 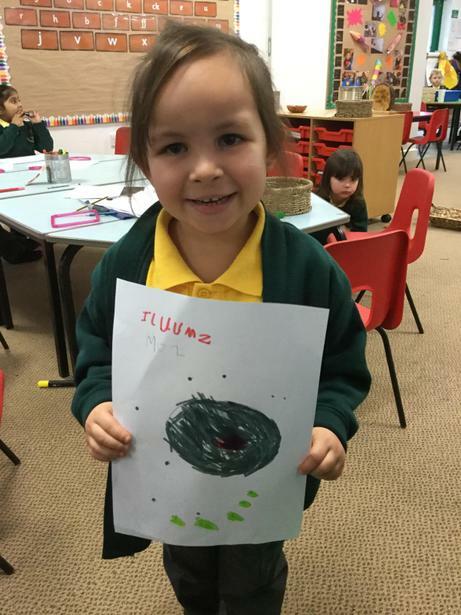 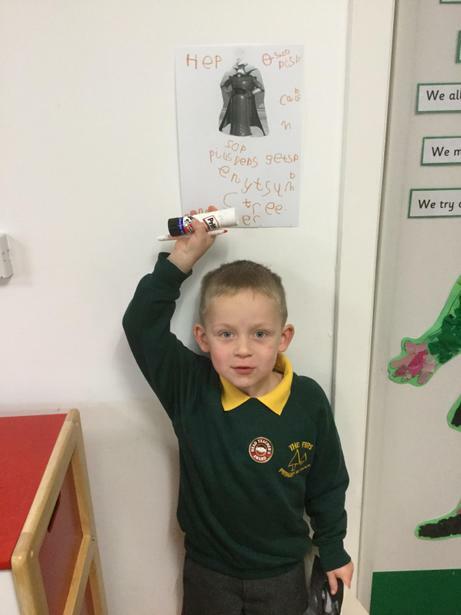 Lots of us were then very excited to create posters to catch Emporer Zurg. 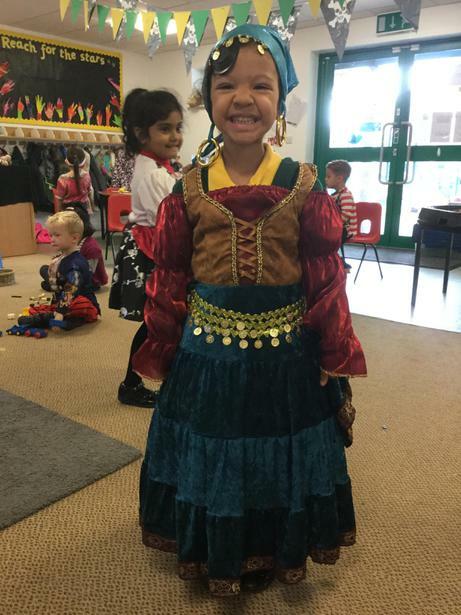 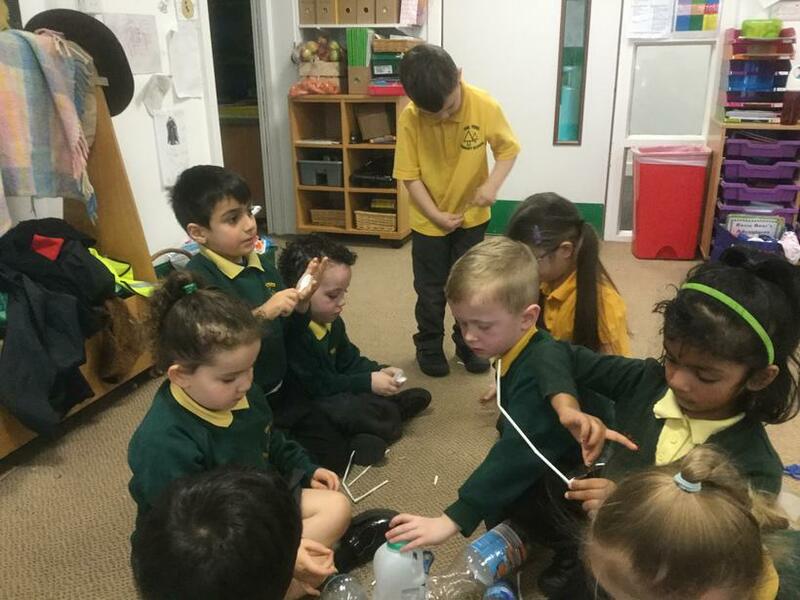 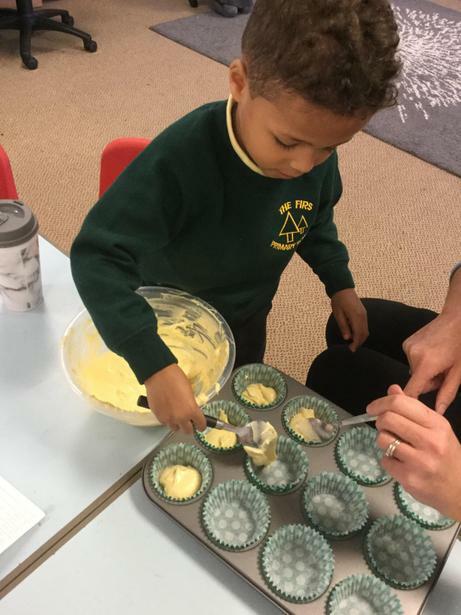 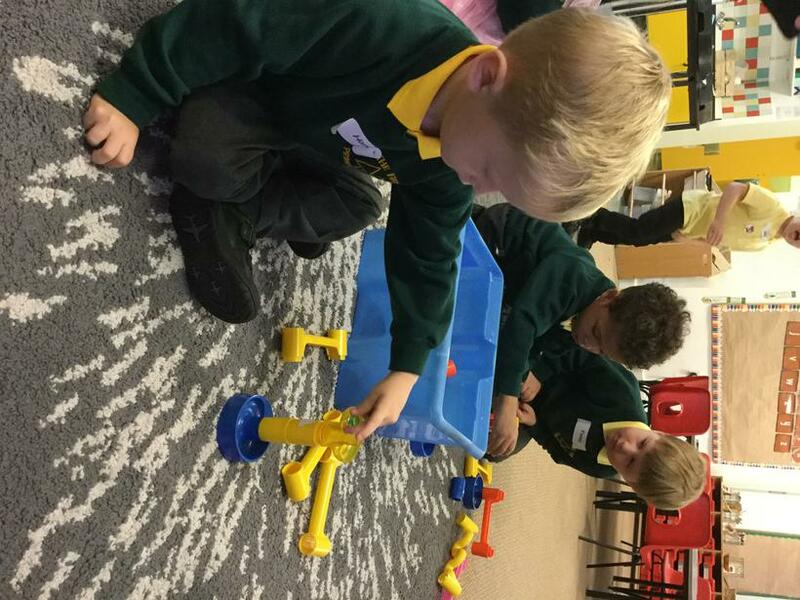 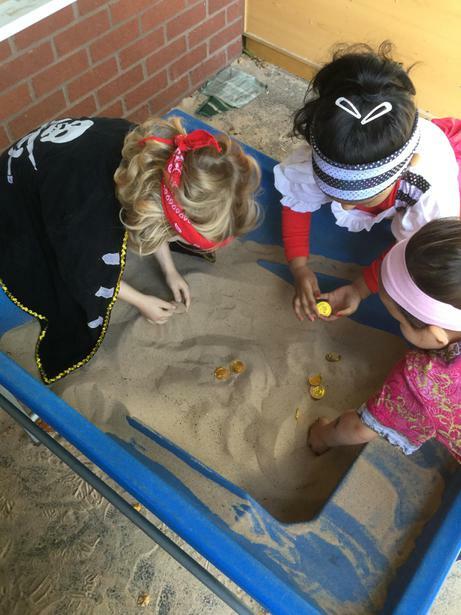 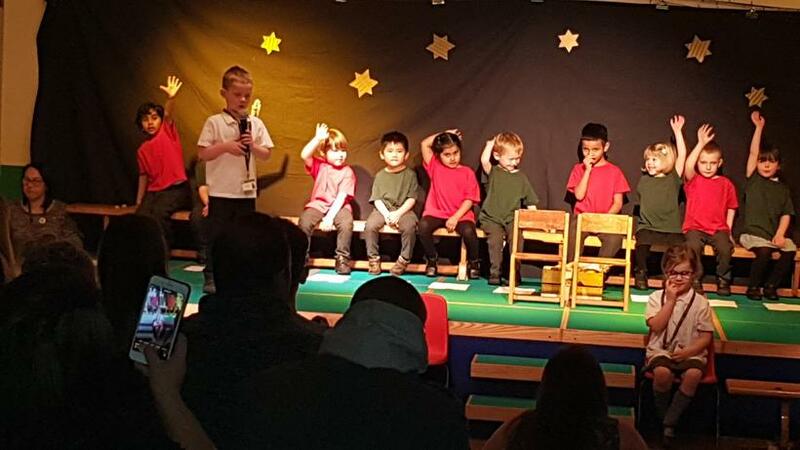 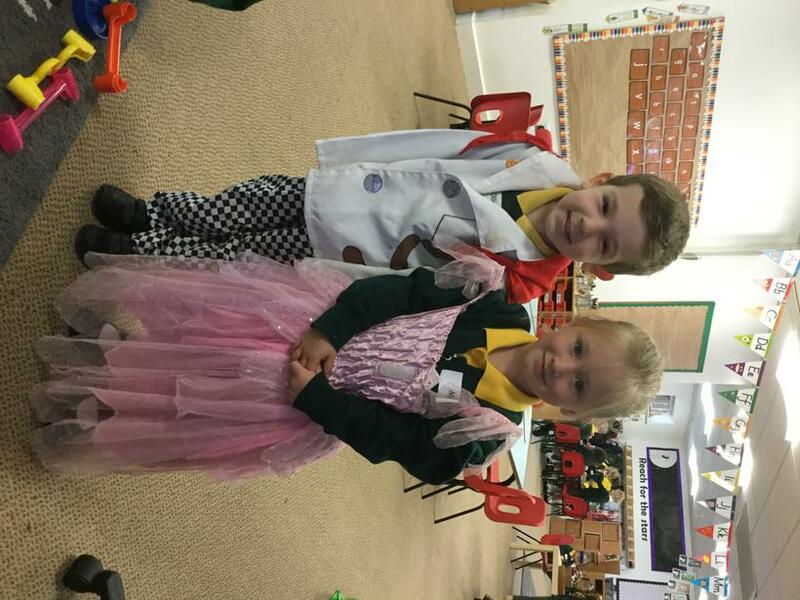 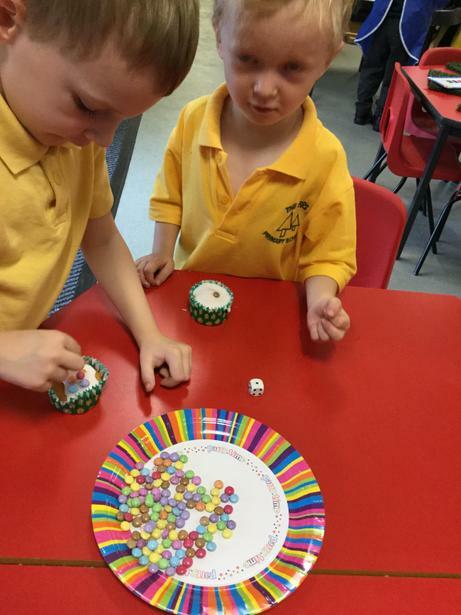 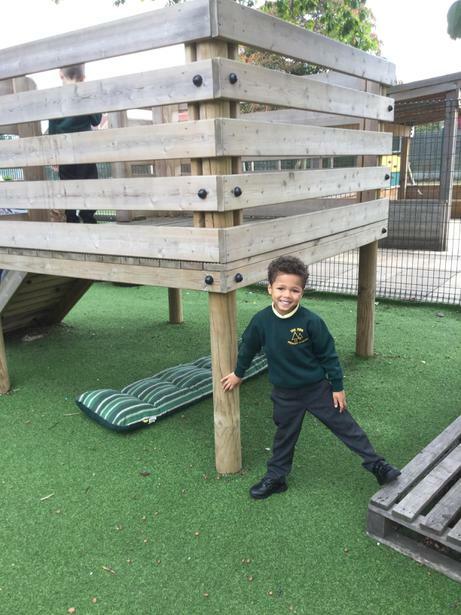 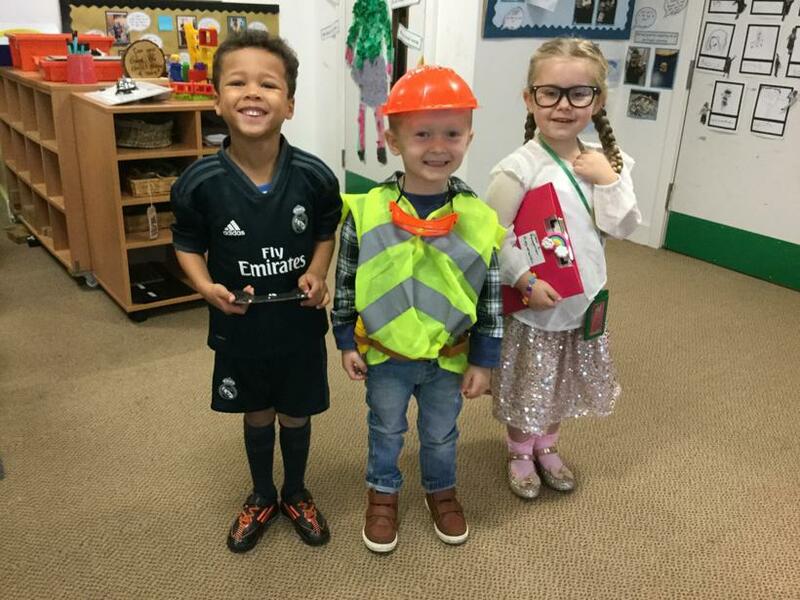 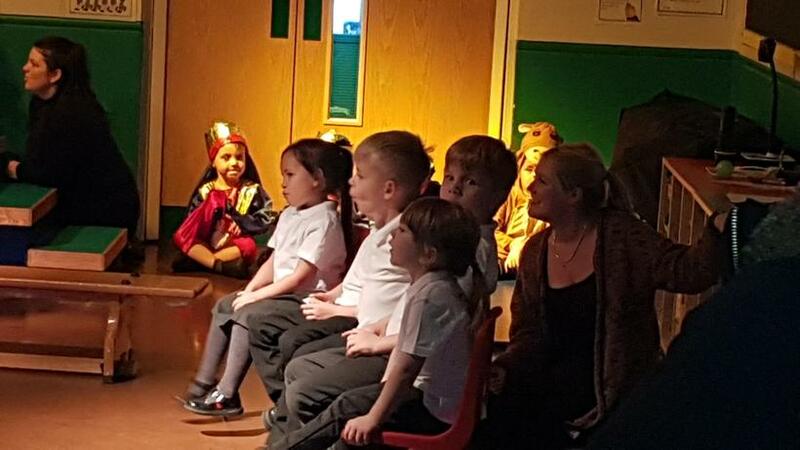 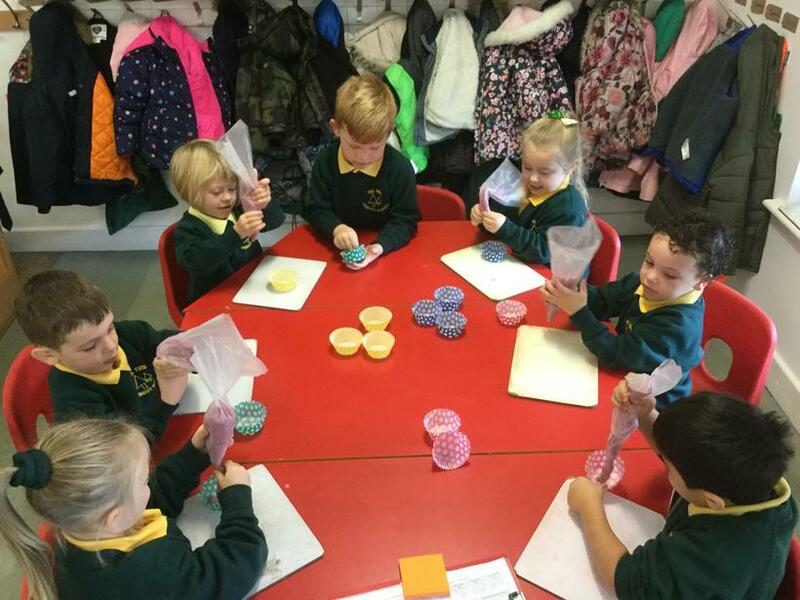 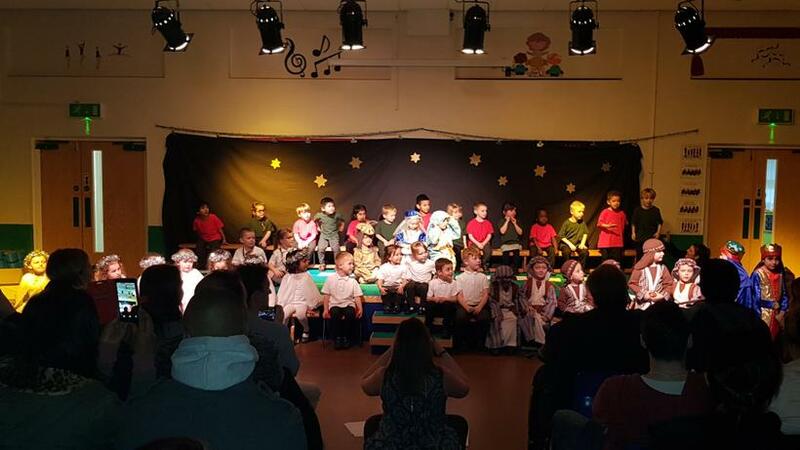 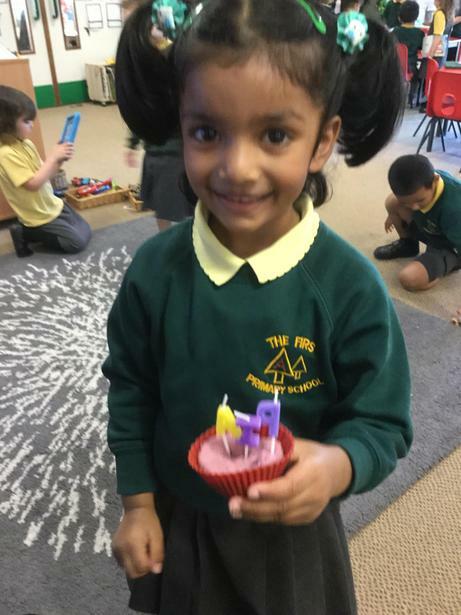 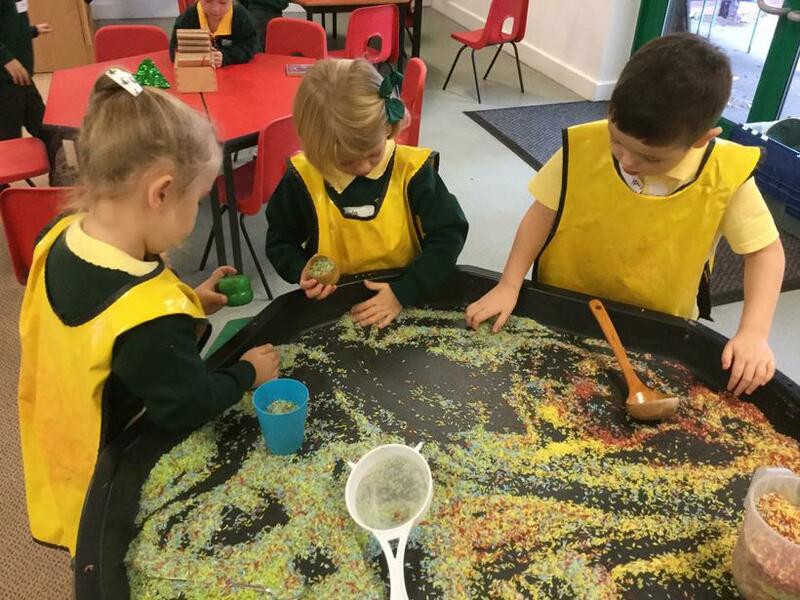 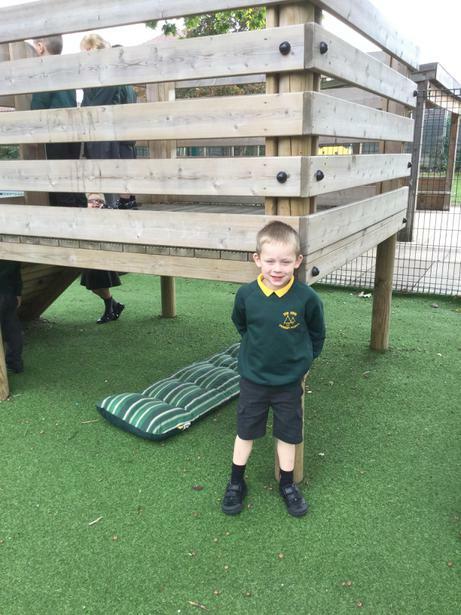 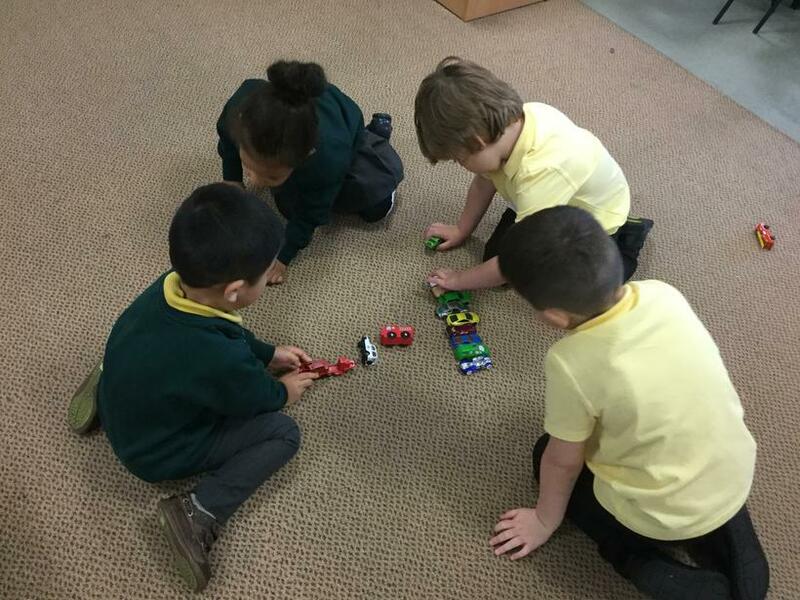 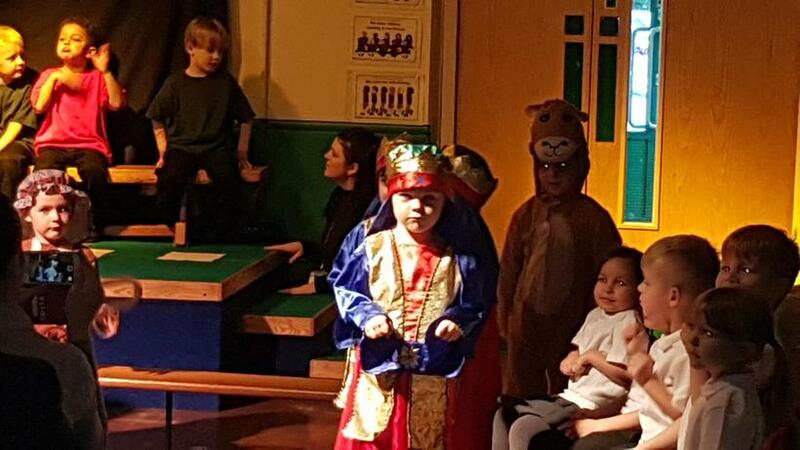 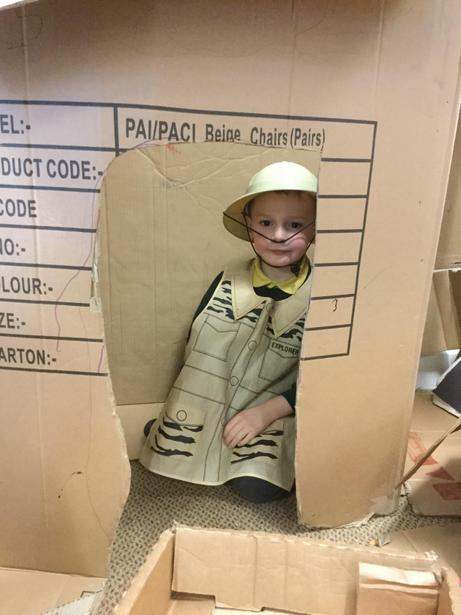 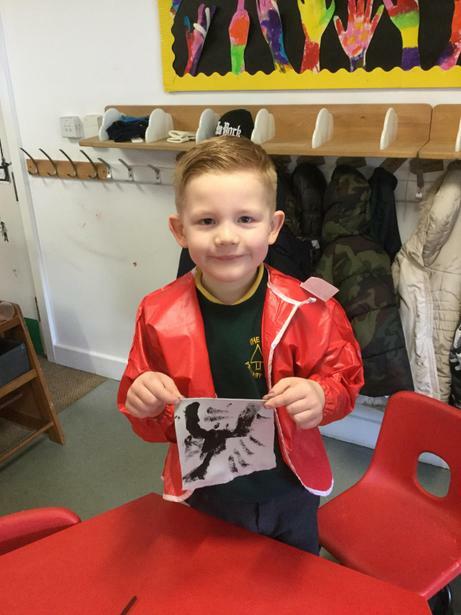 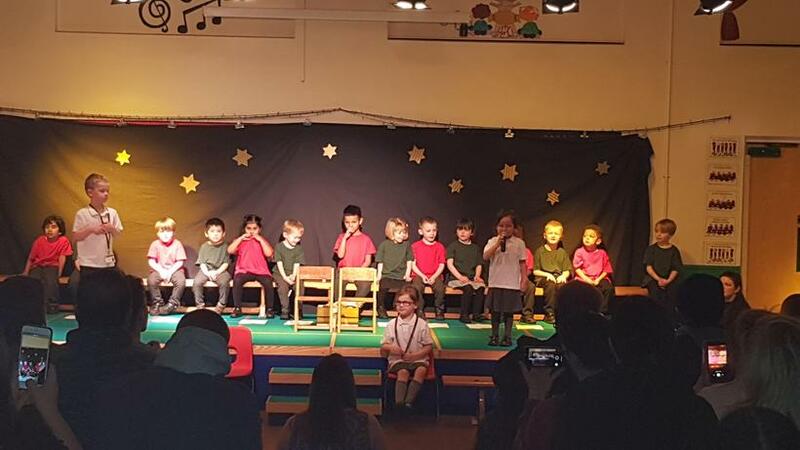 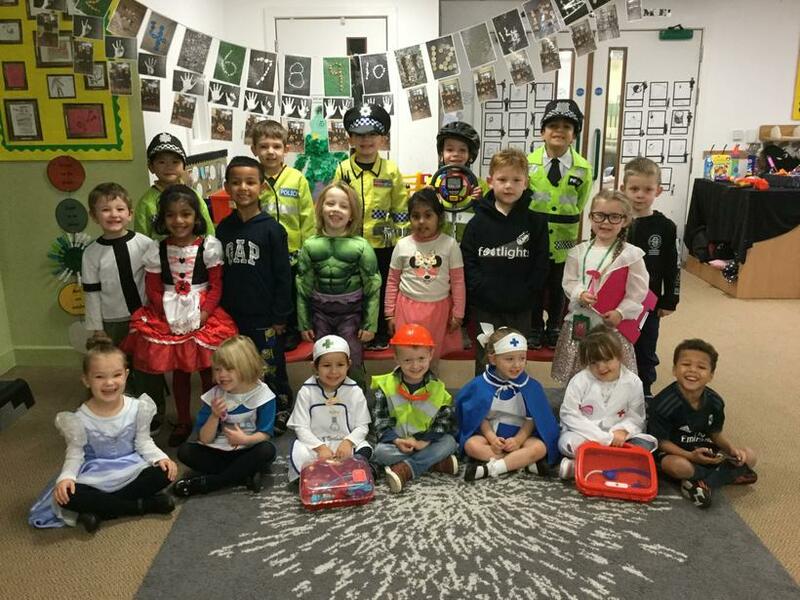 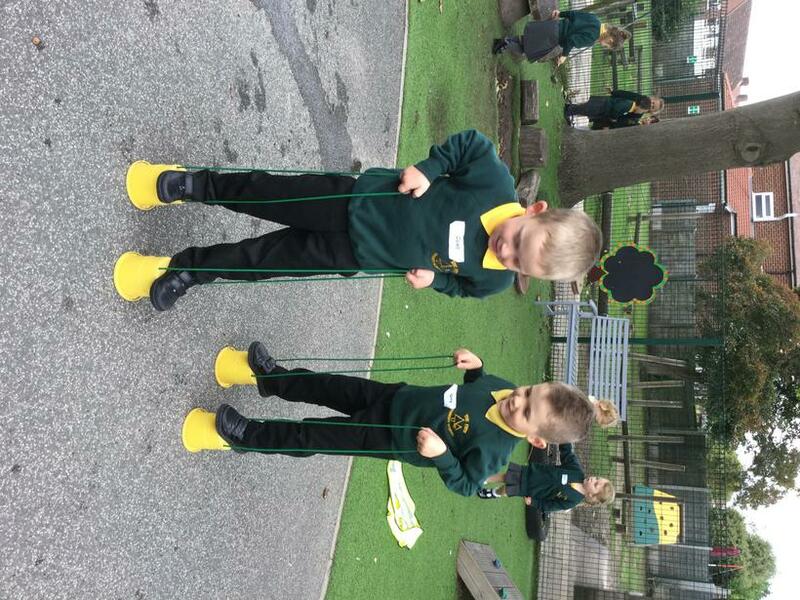 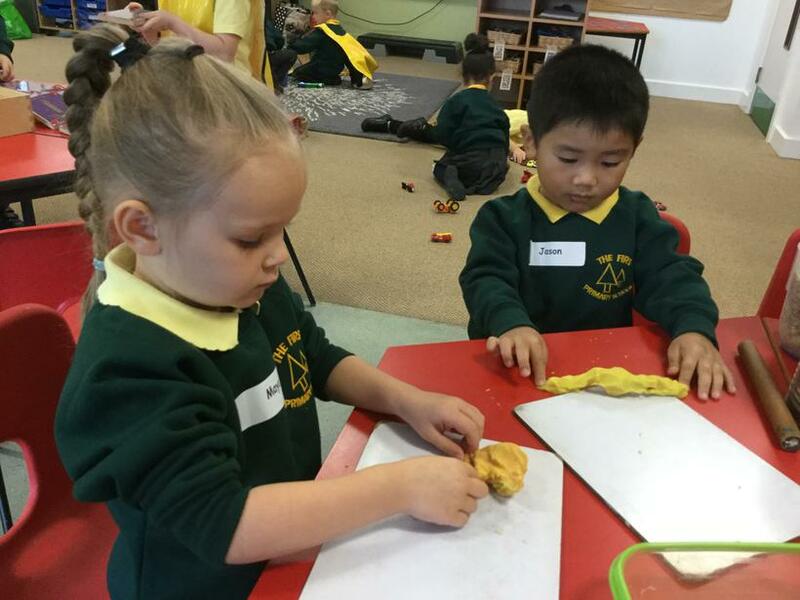 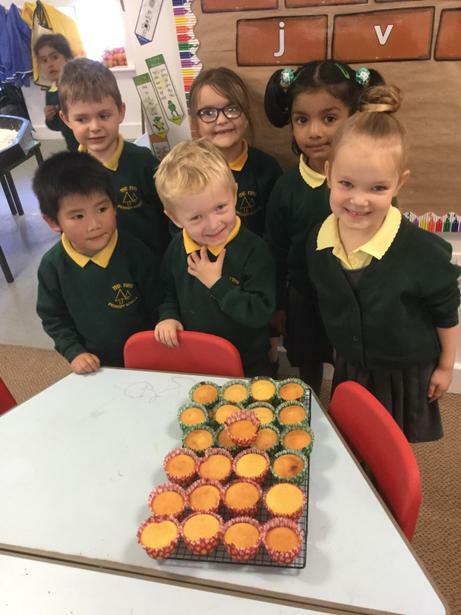 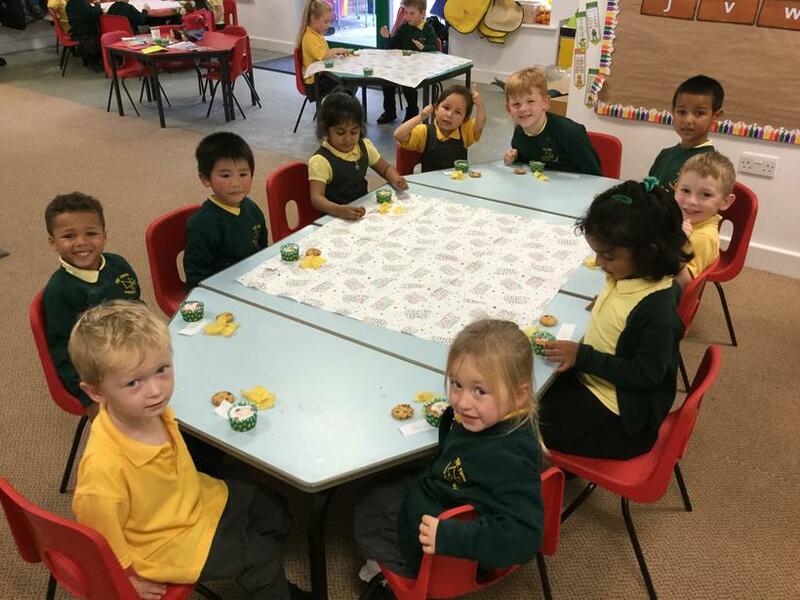 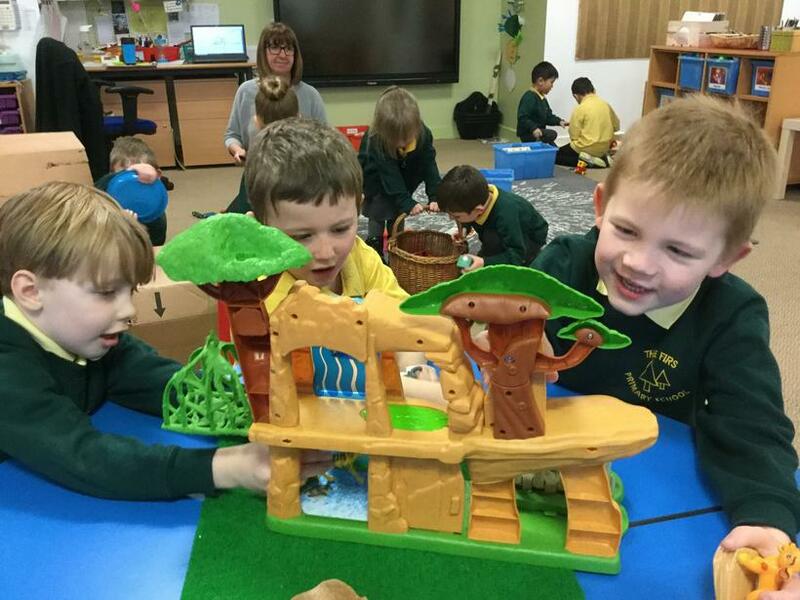 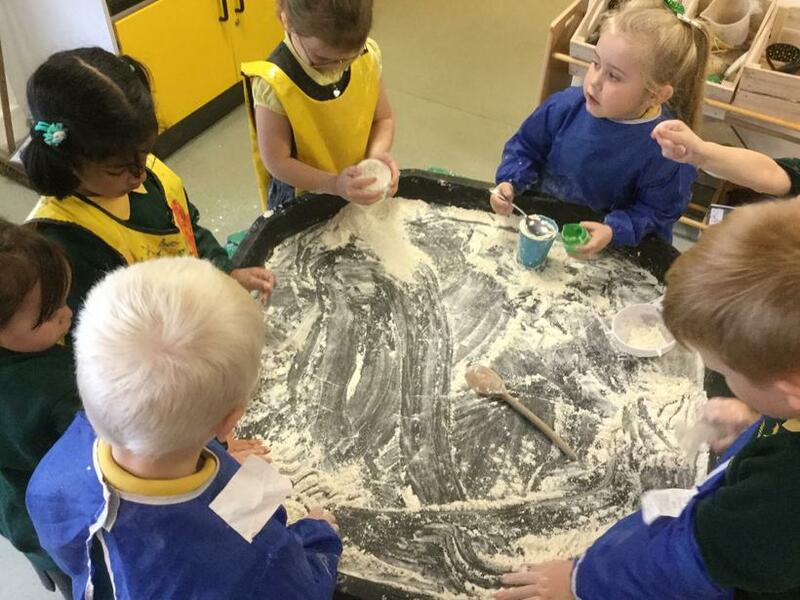 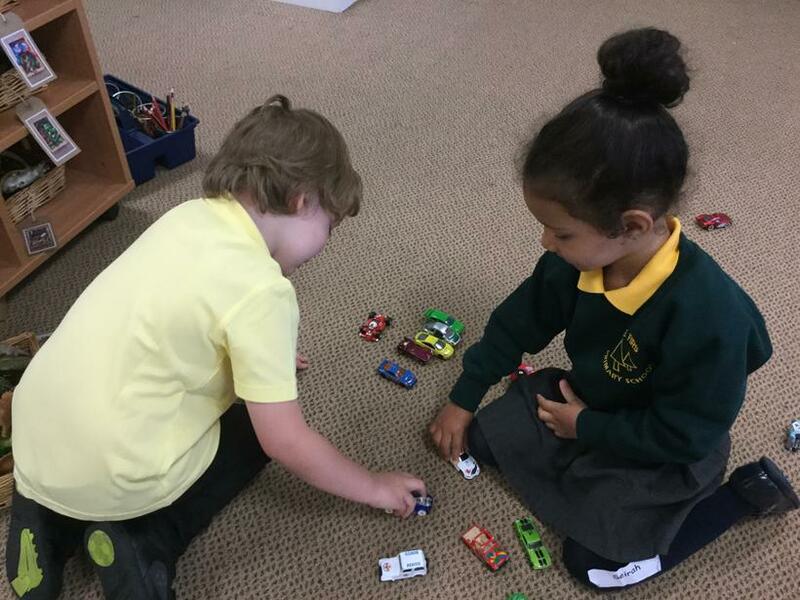 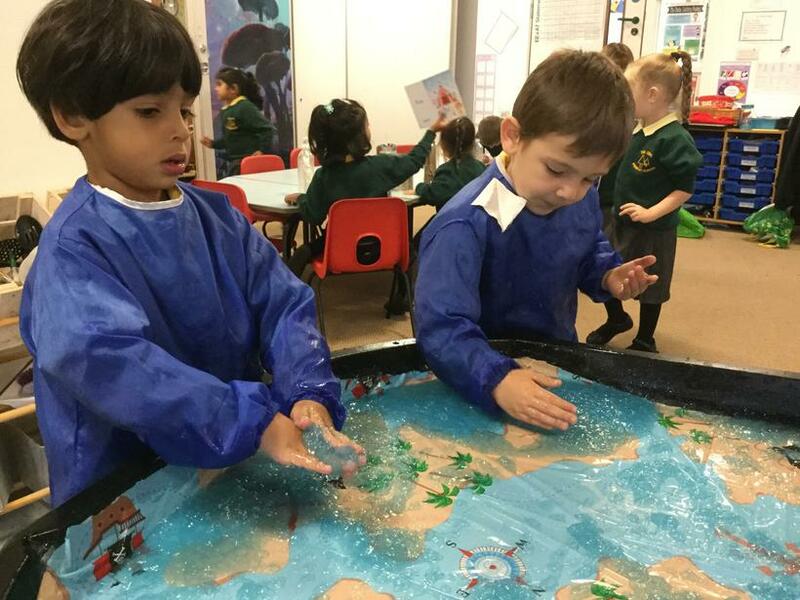 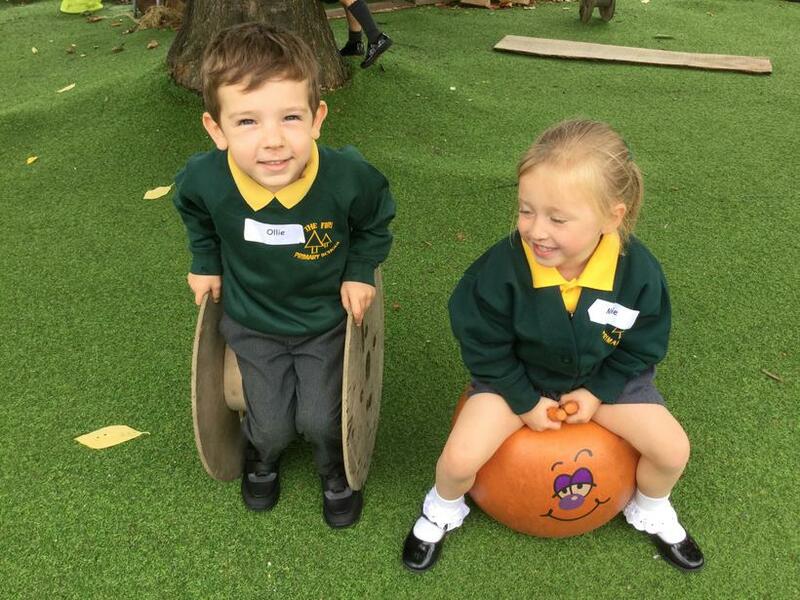 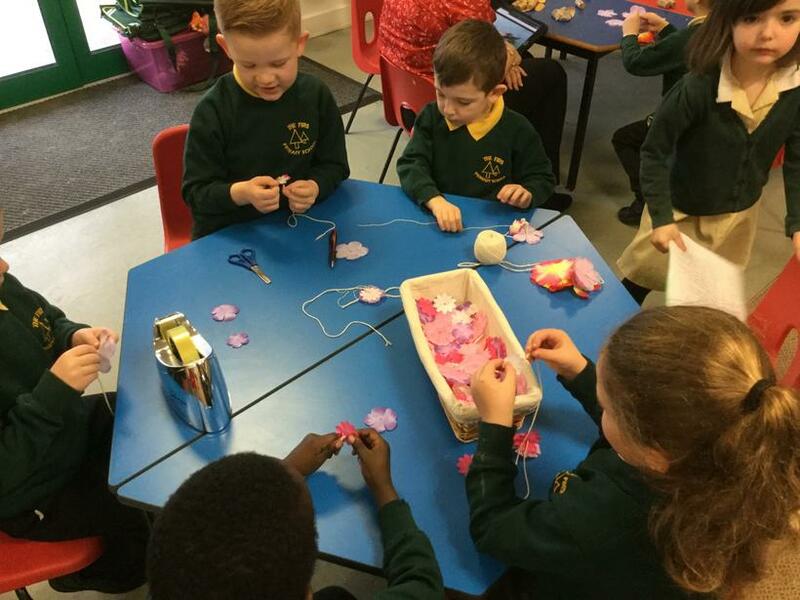 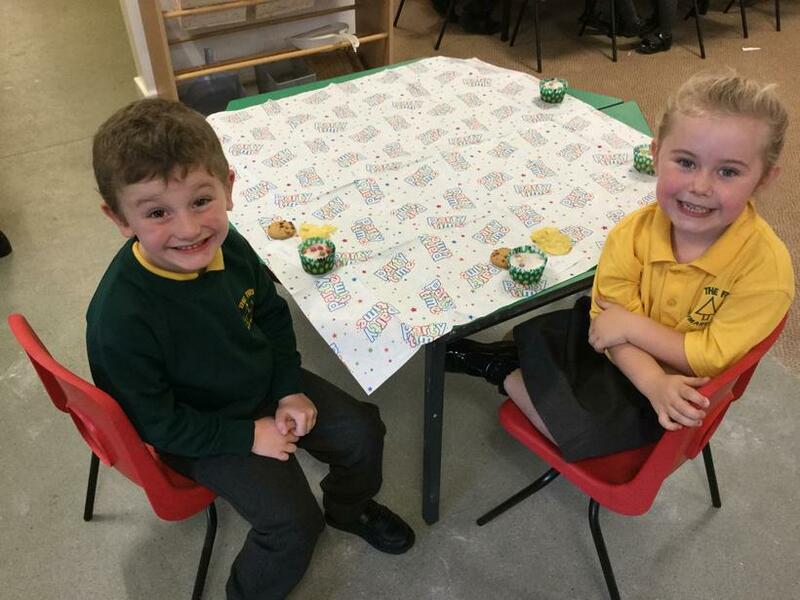 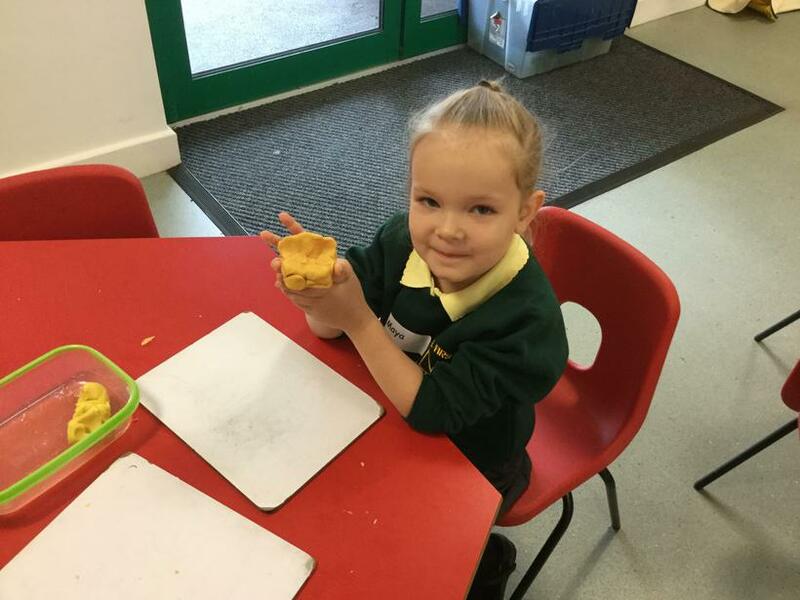 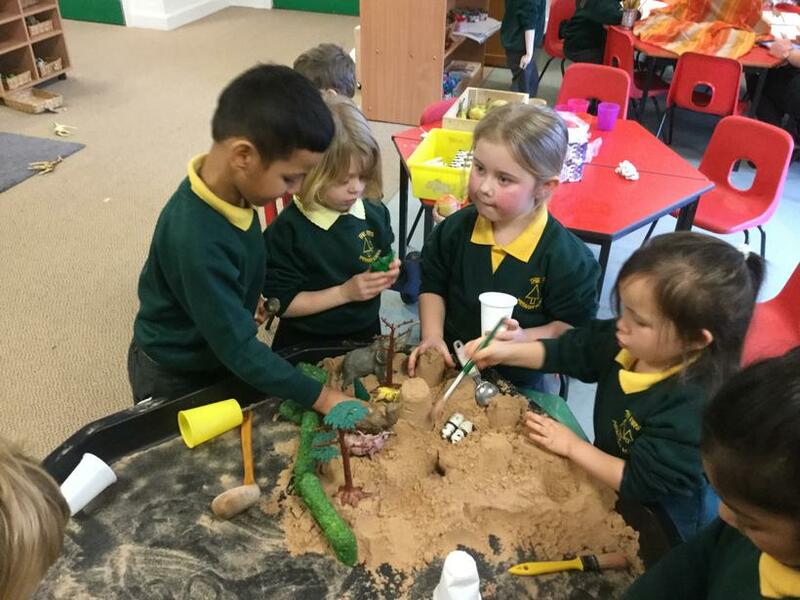 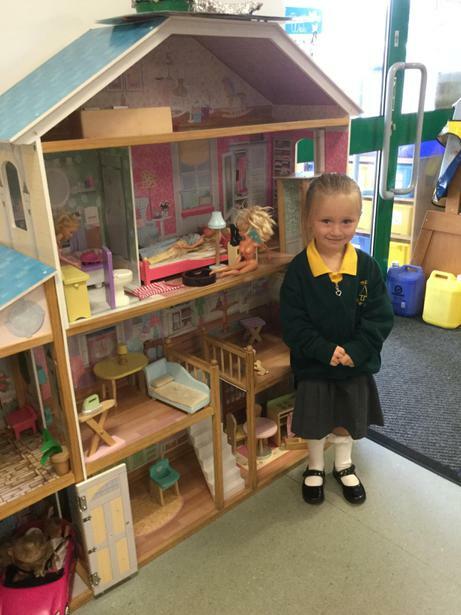 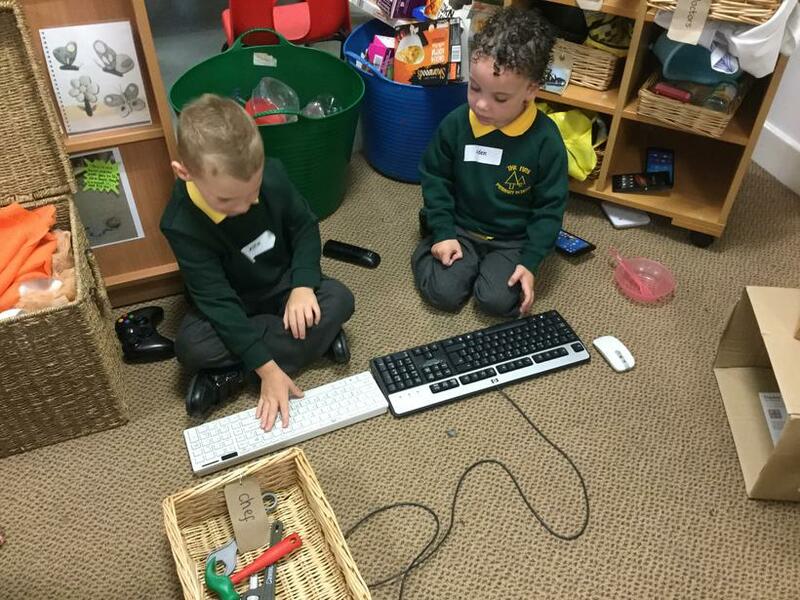 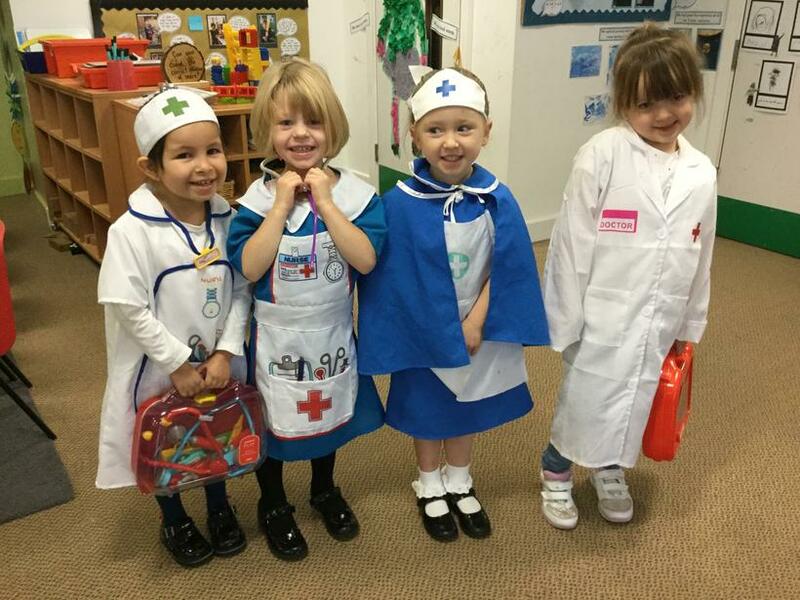 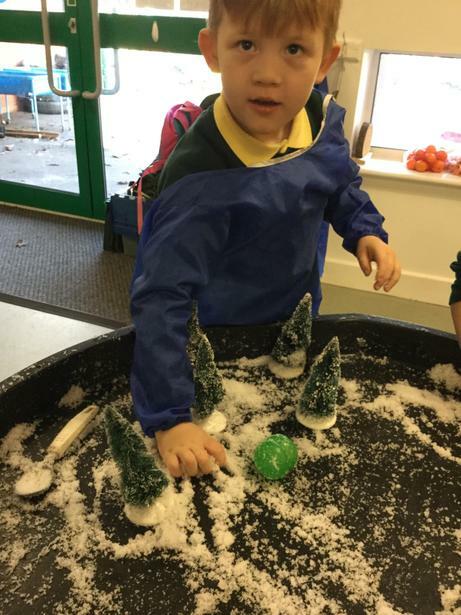 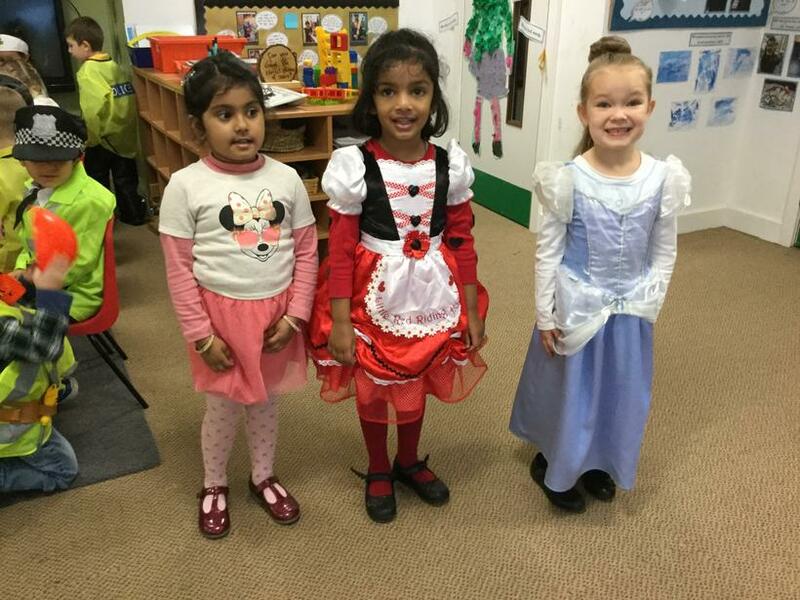 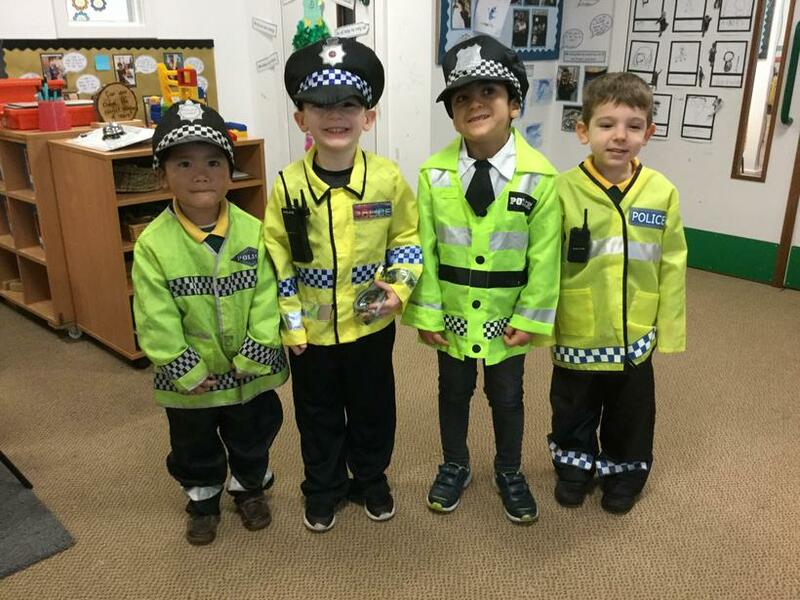 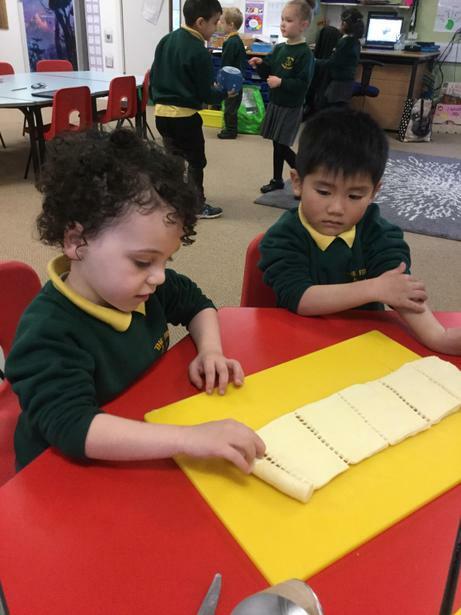 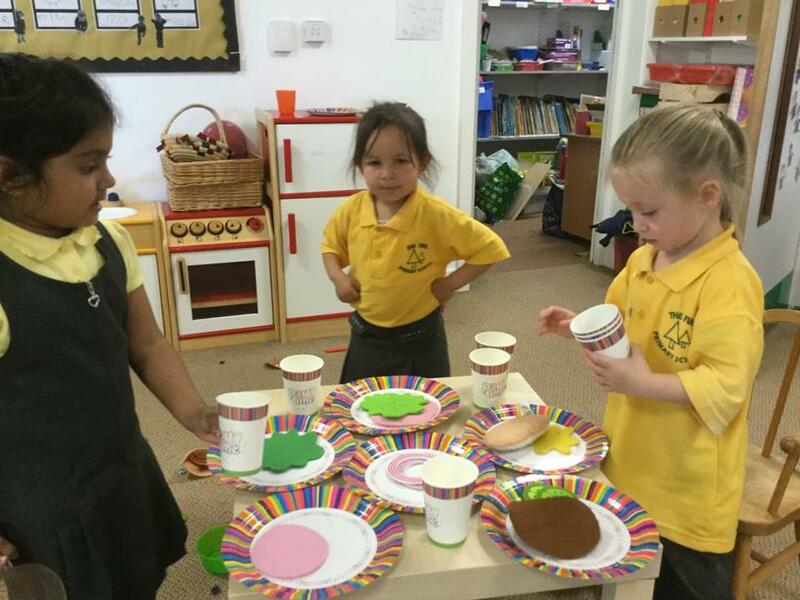 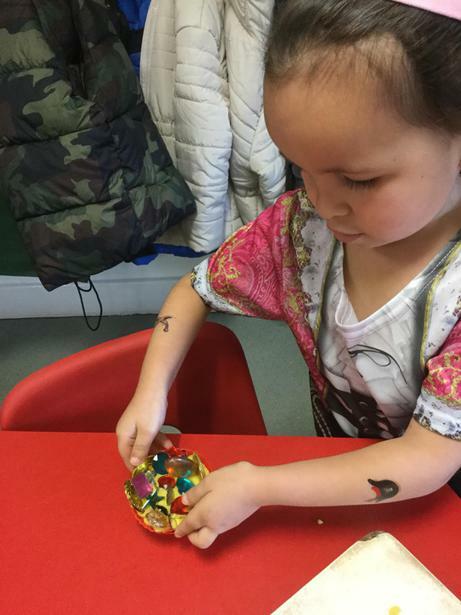 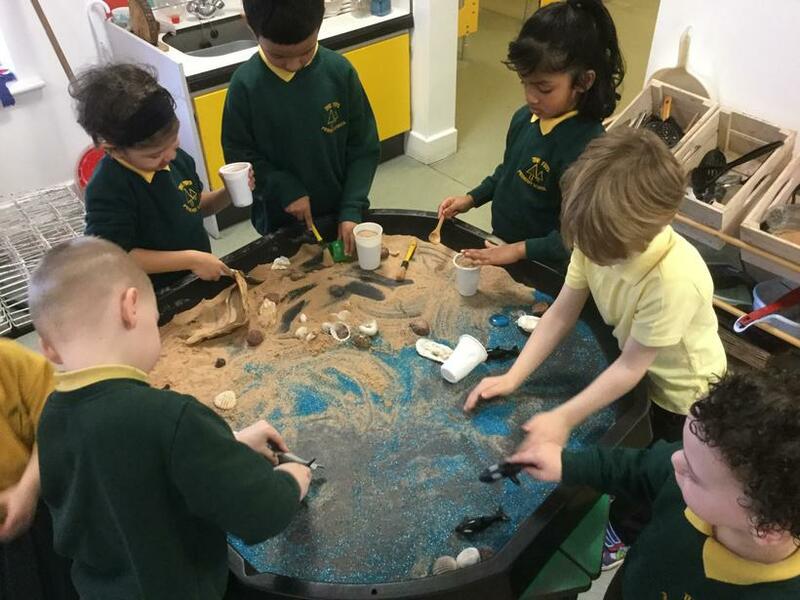 We are so impressed with how the children are settling into Reception and they have had a fantastic time exploring the different activities and making new friends . 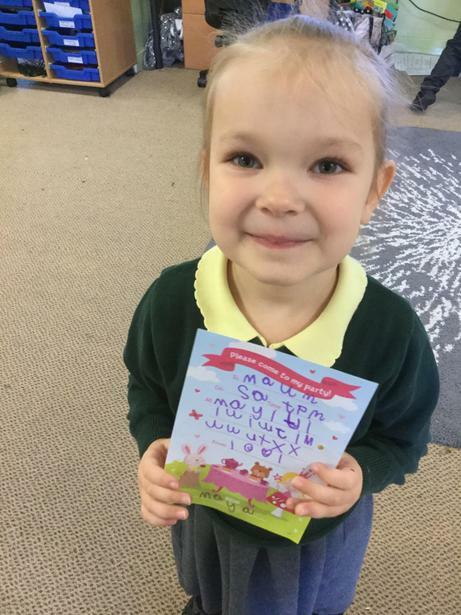 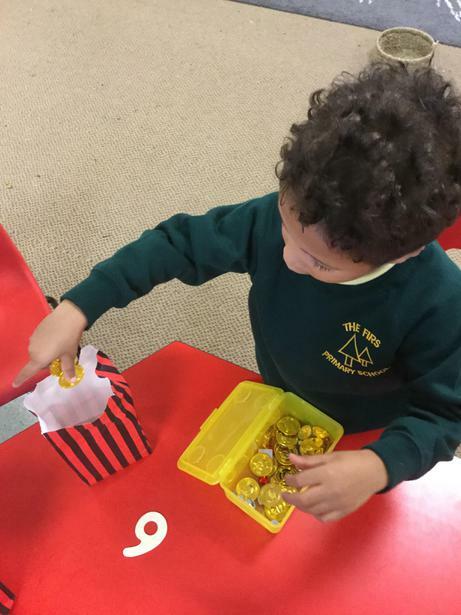 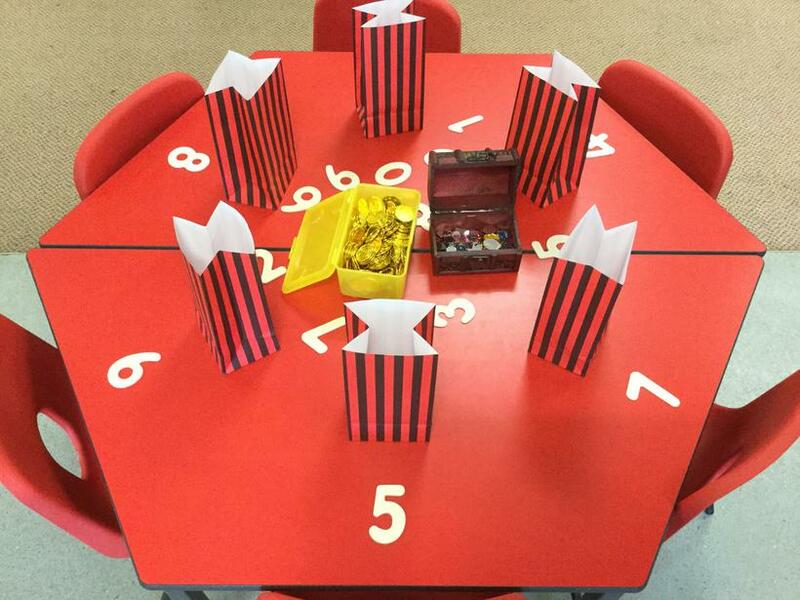 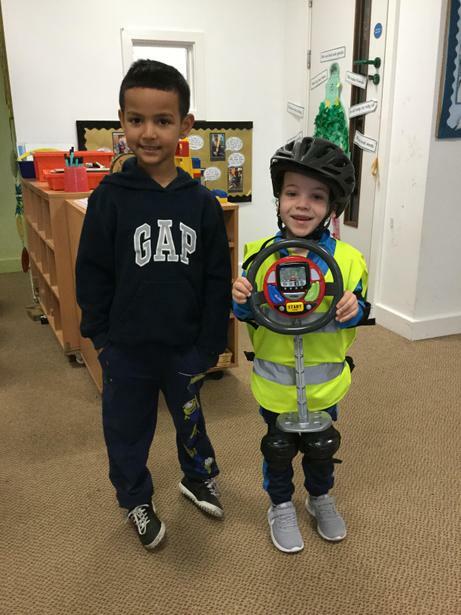 The children are quickly becoming familiar with our daily routines and we have already had lots of children ringing our class 'Incredi-bell' and receiving prizes from the gold box! 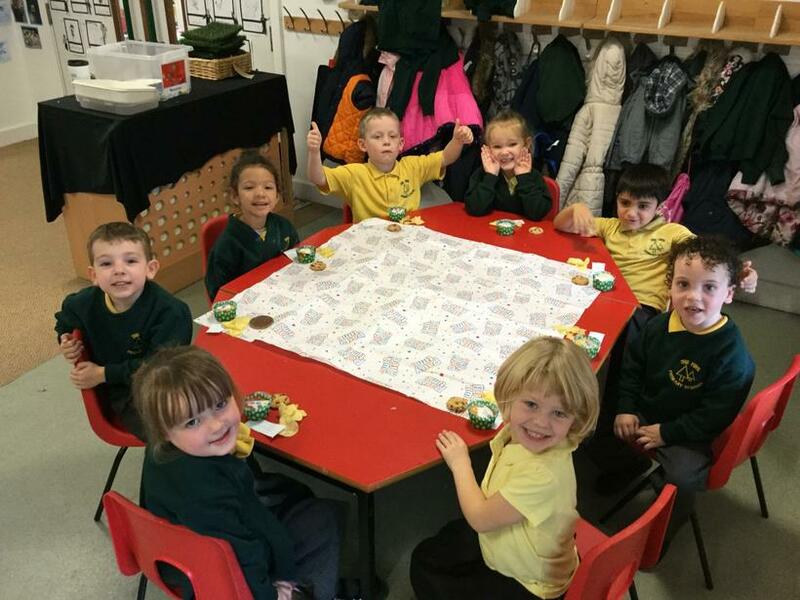 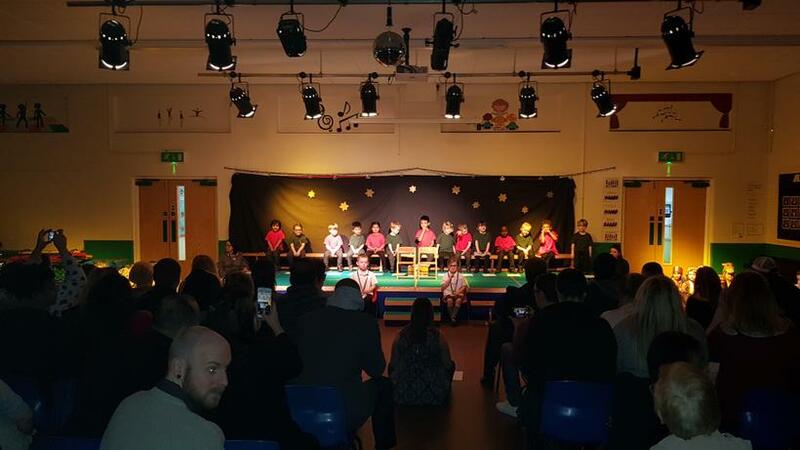 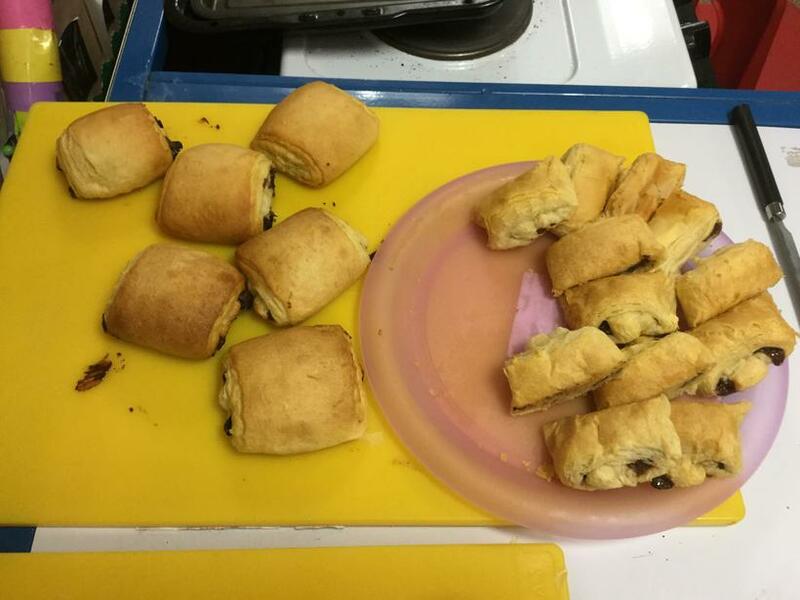 The children have enjoyed eating their healthy school meals and have impressed the midday staff with how sensible they are in the dining hall. 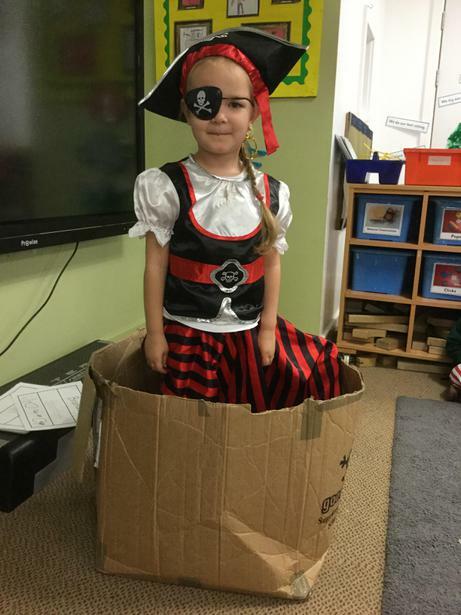 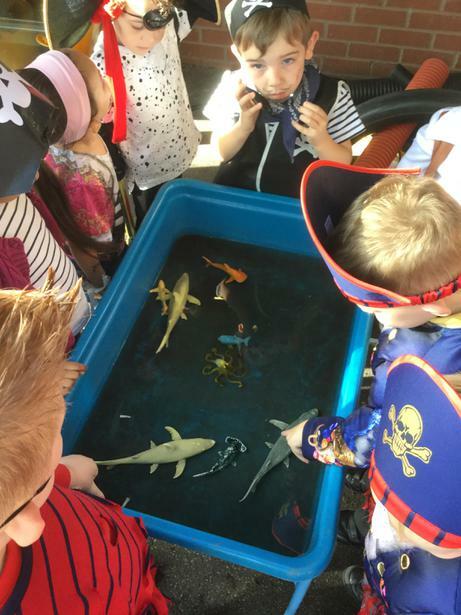 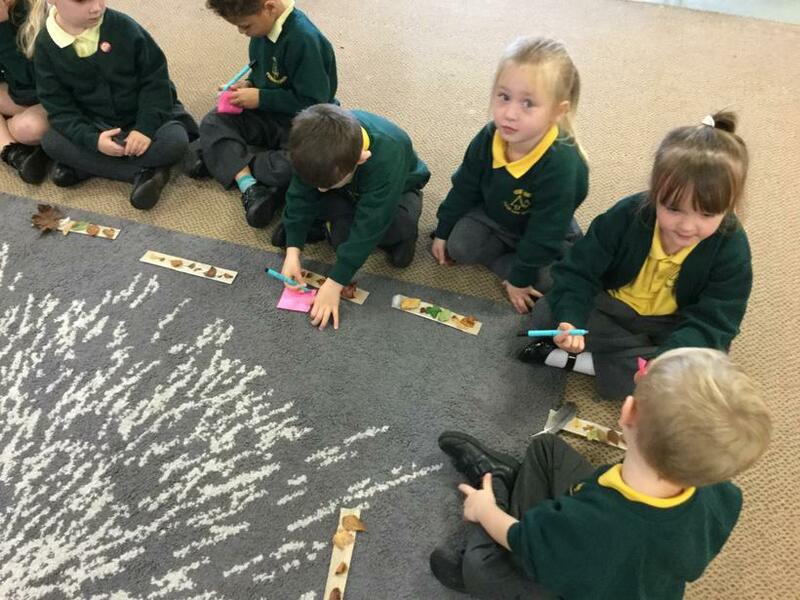 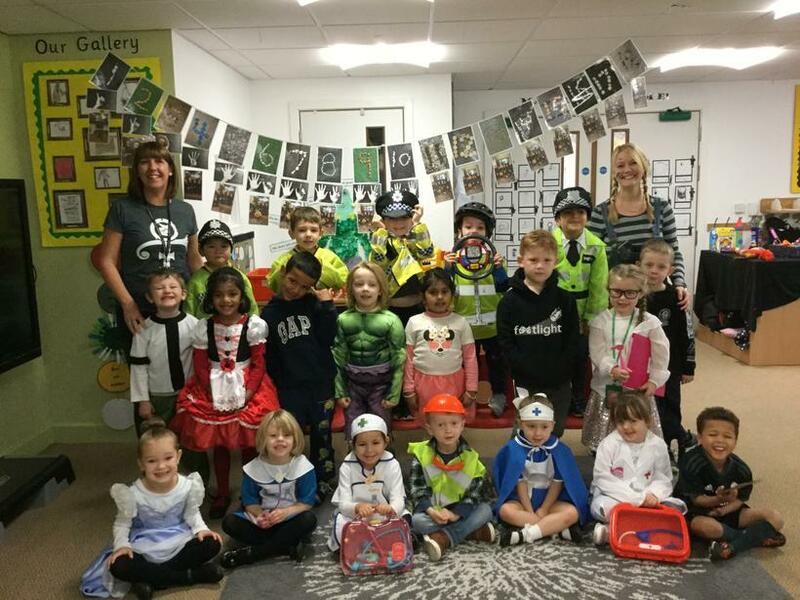 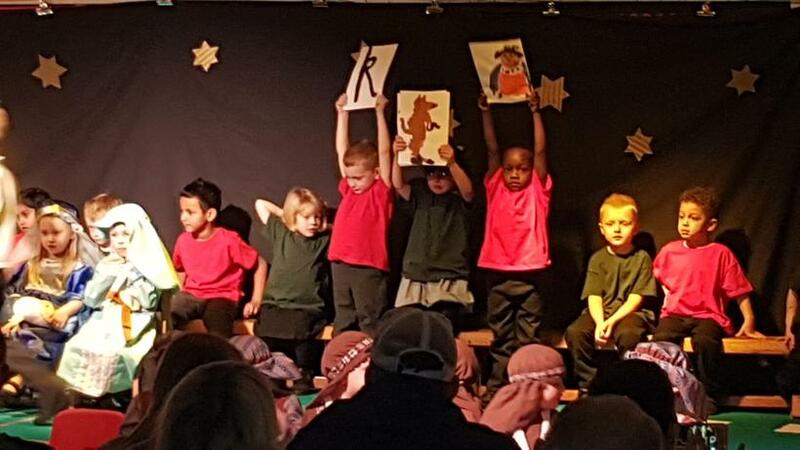 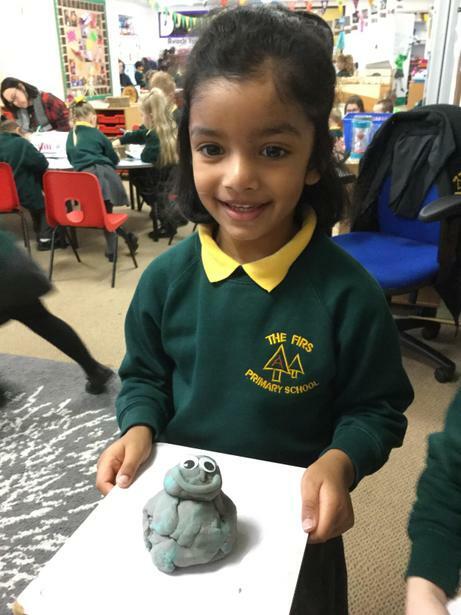 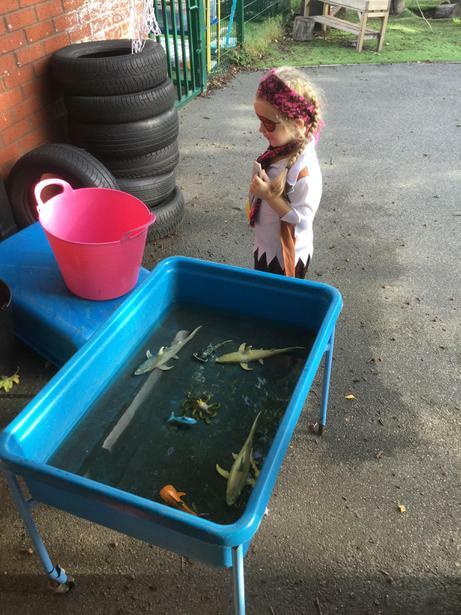 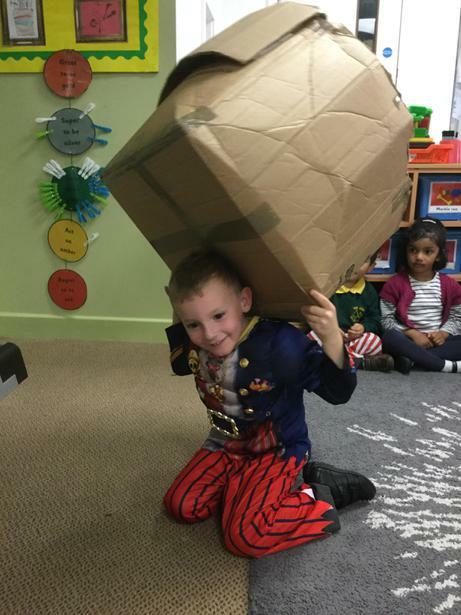 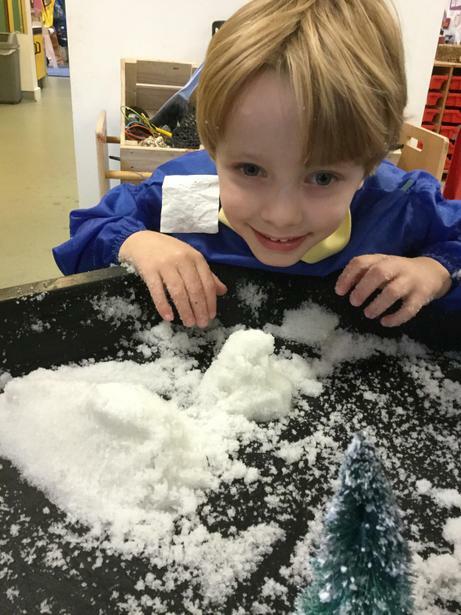 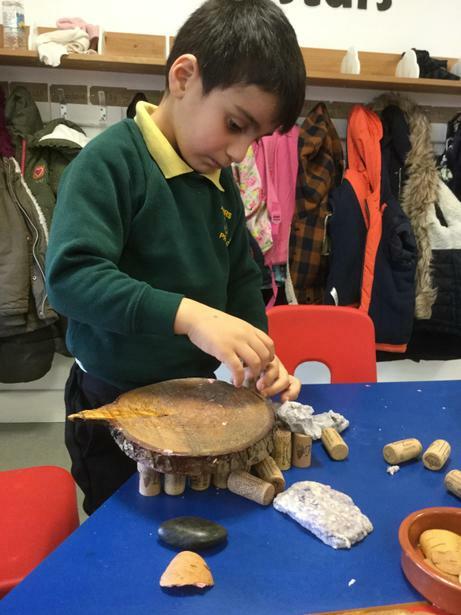 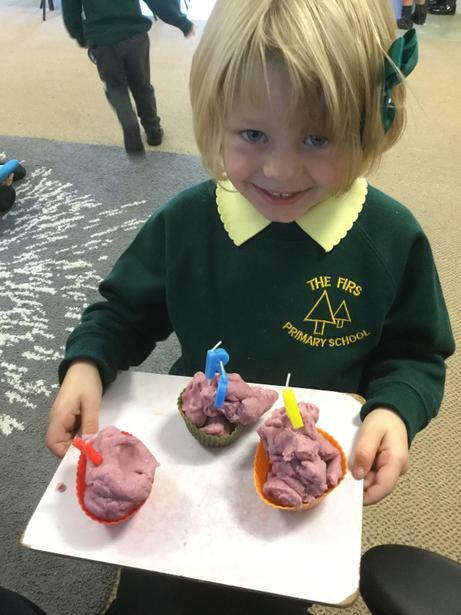 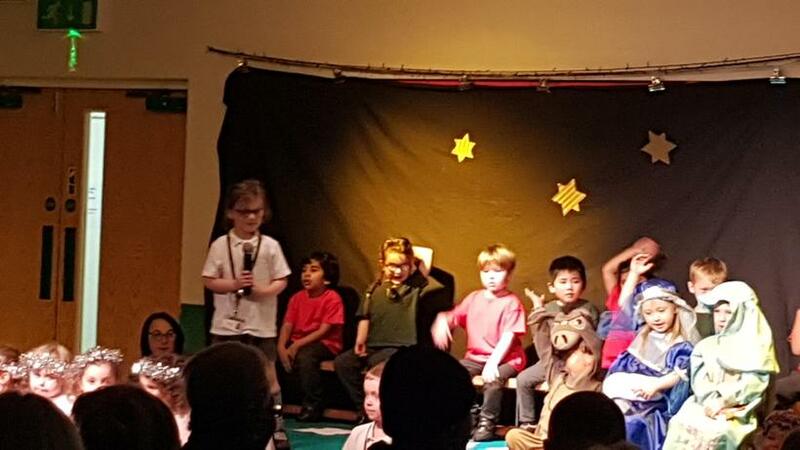 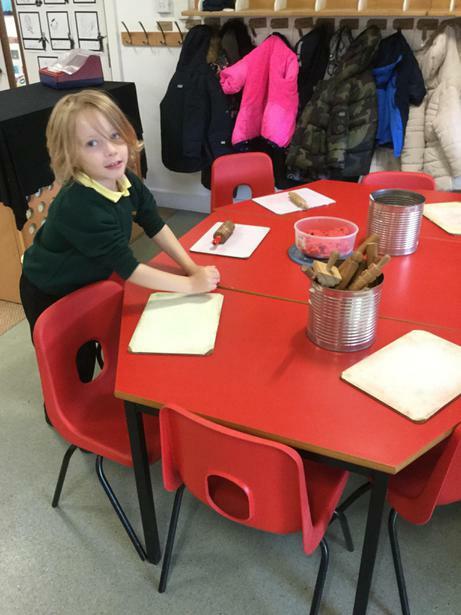 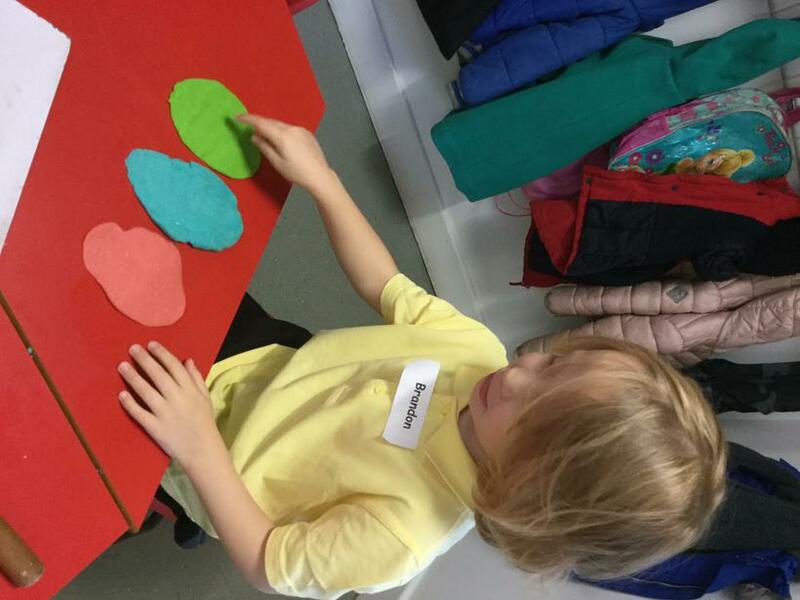 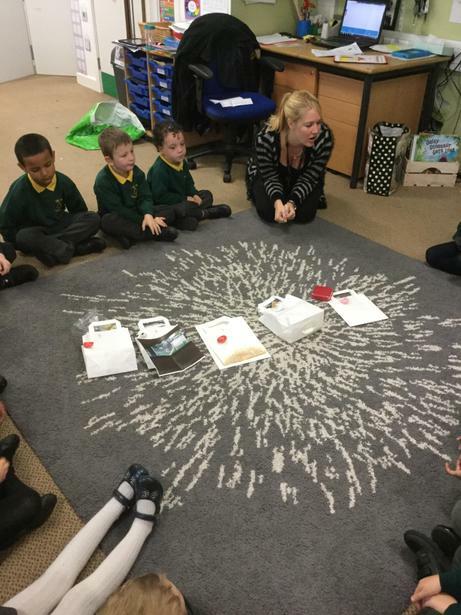 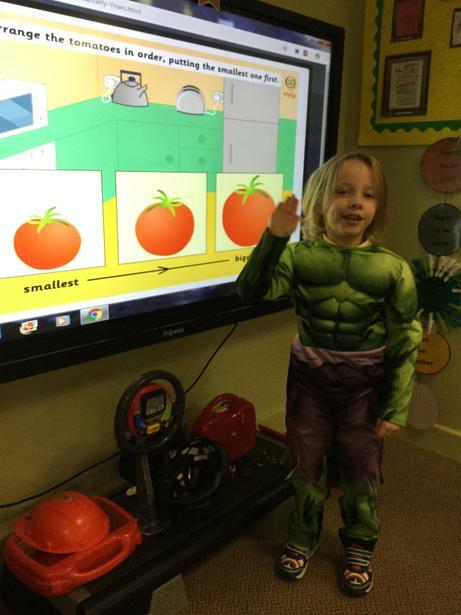 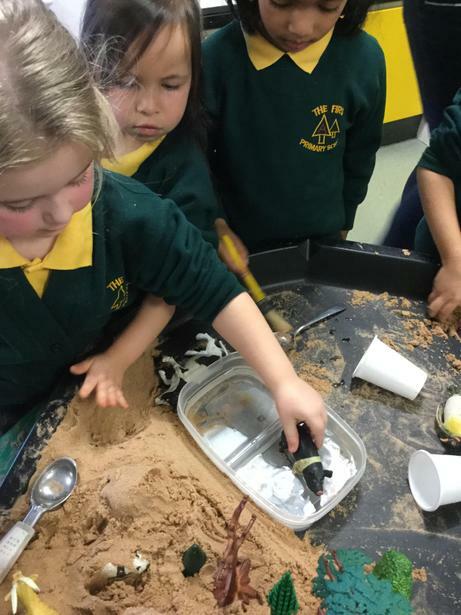 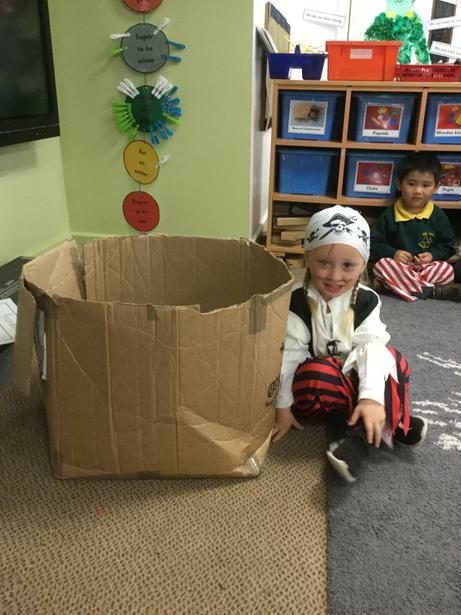 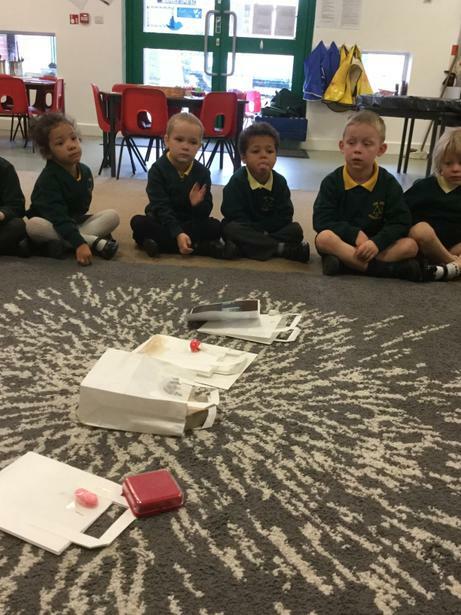 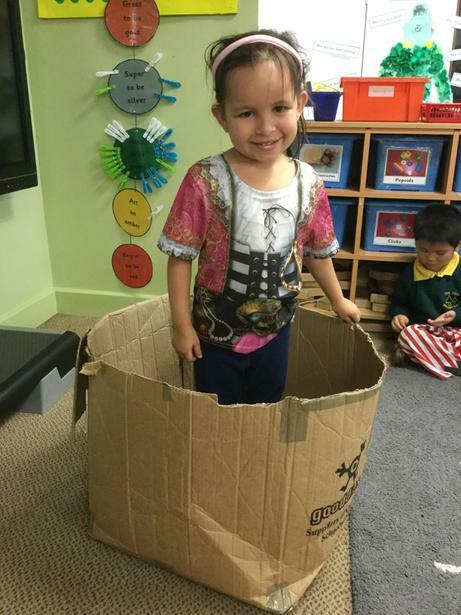 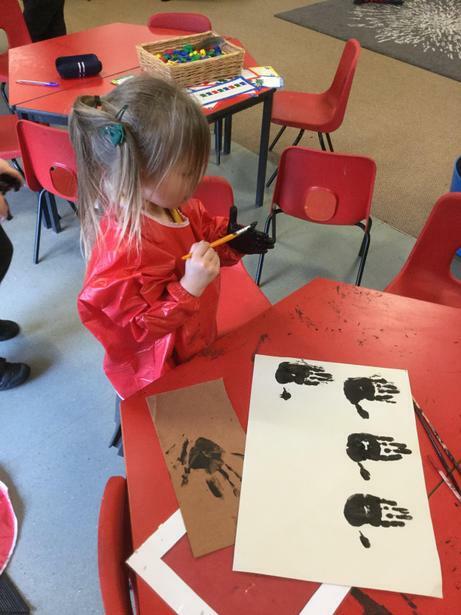 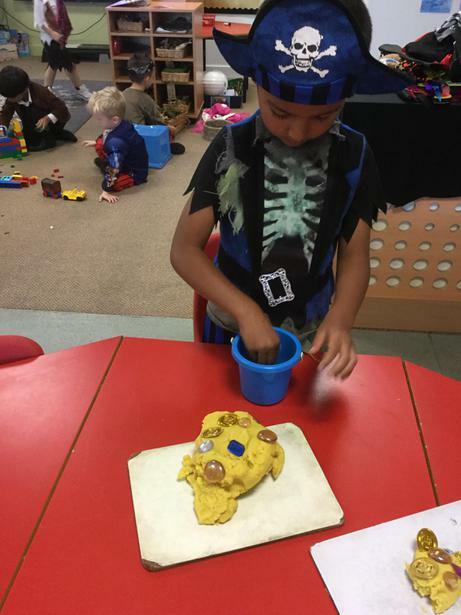 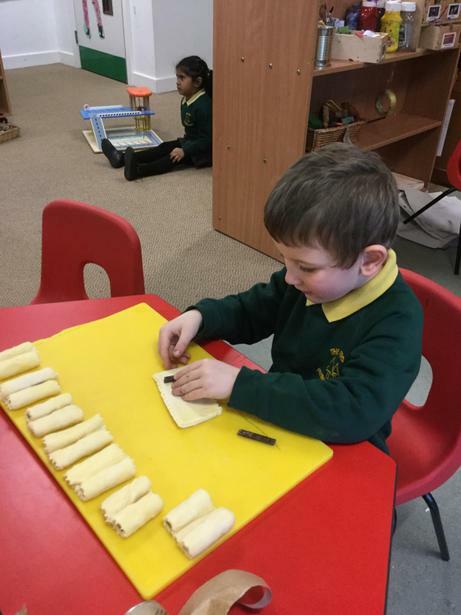 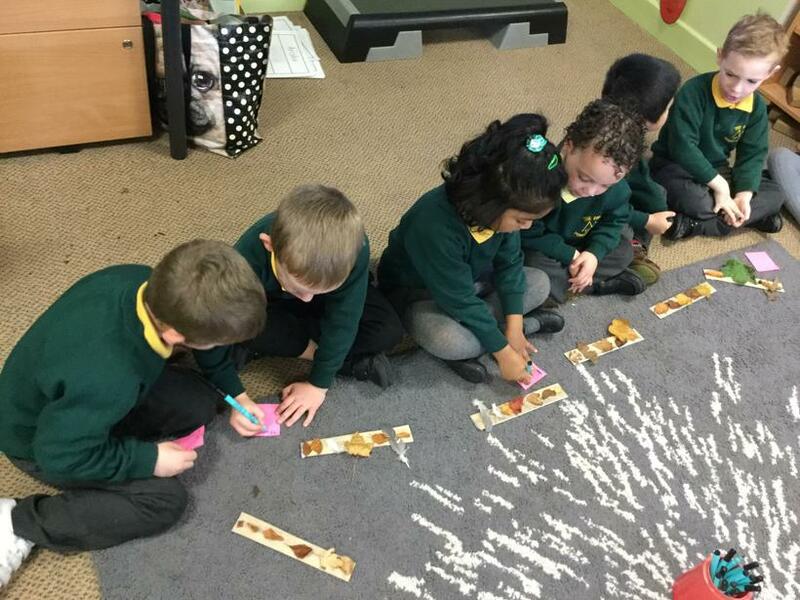 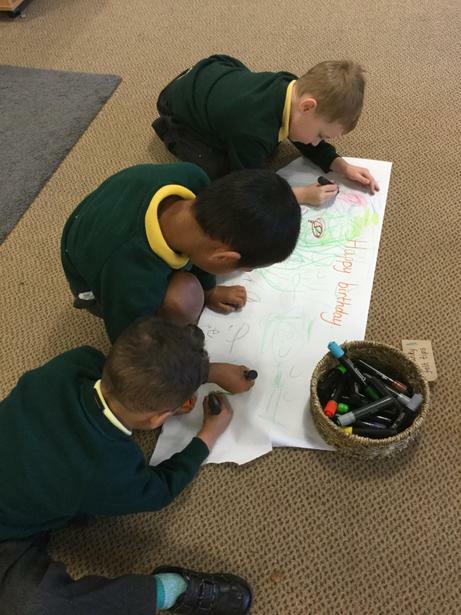 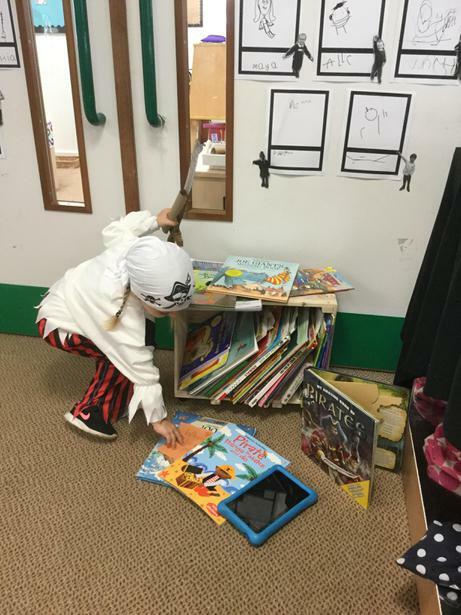 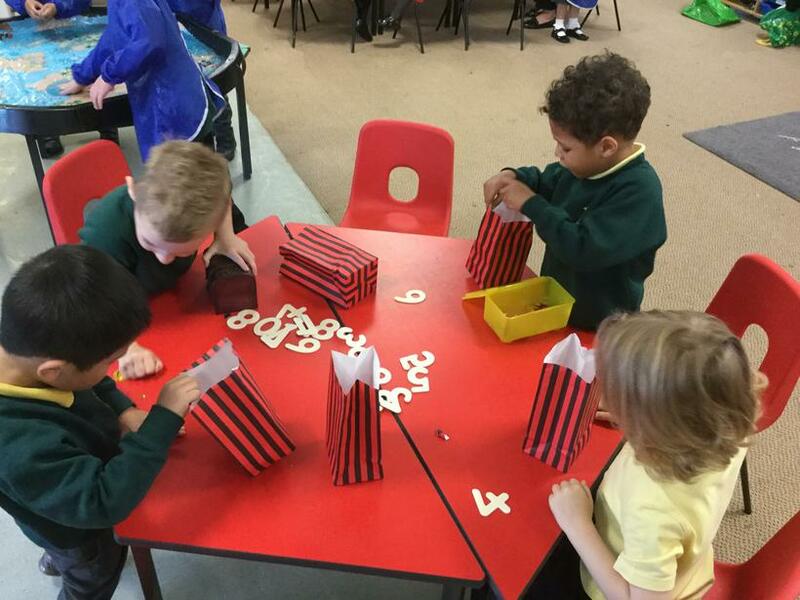 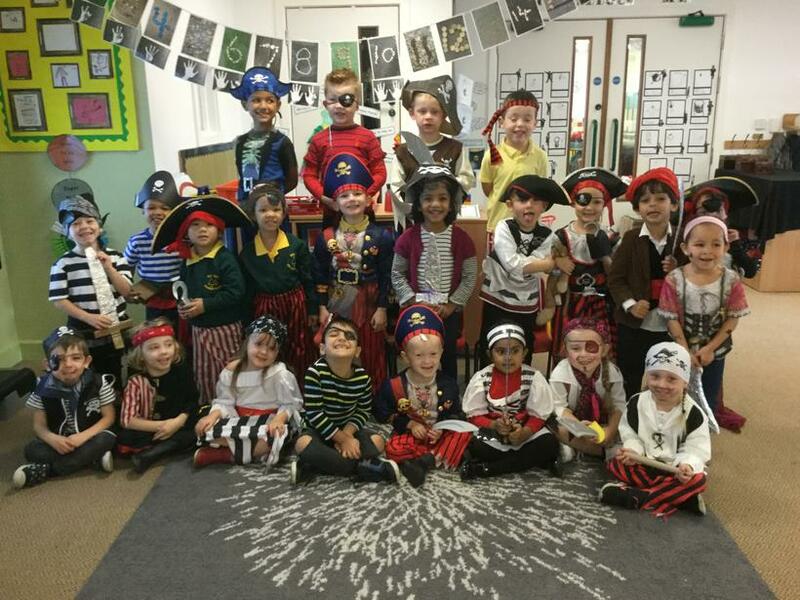 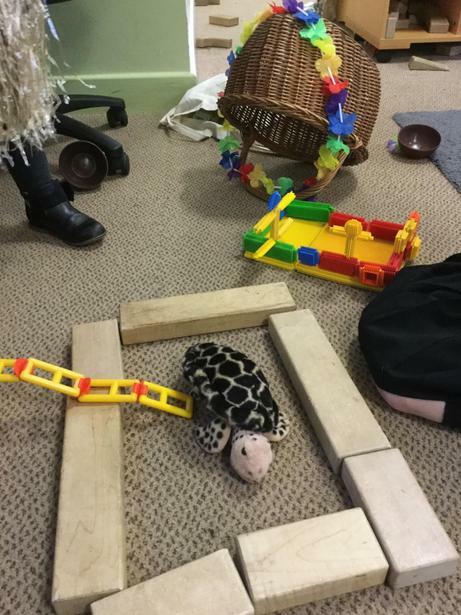 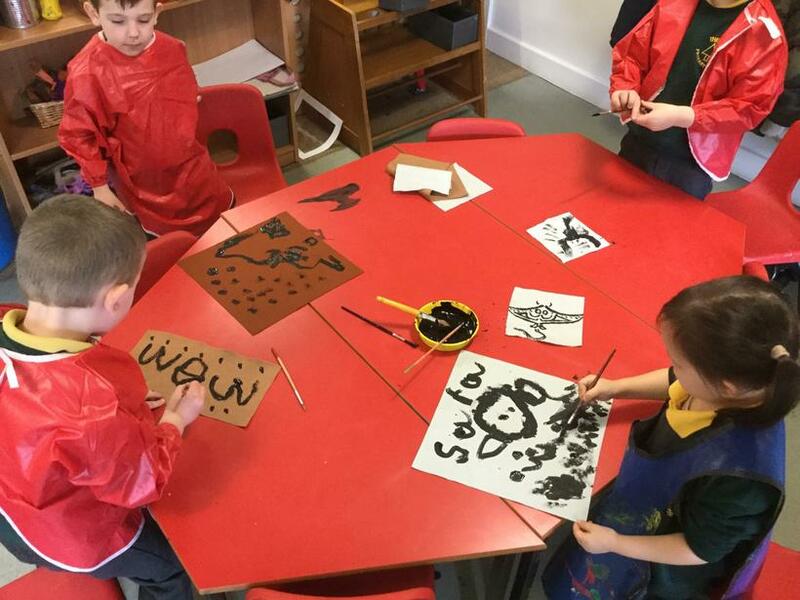 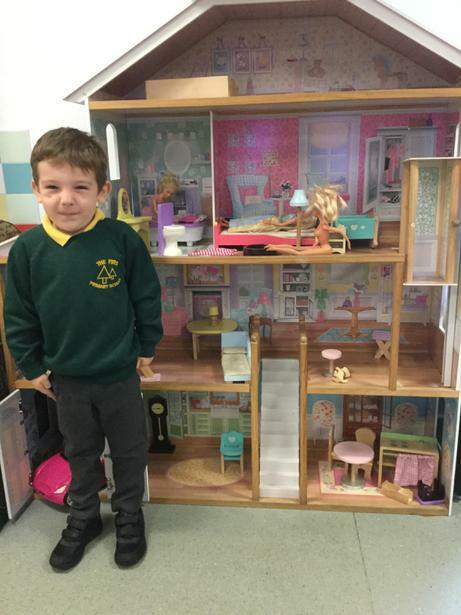 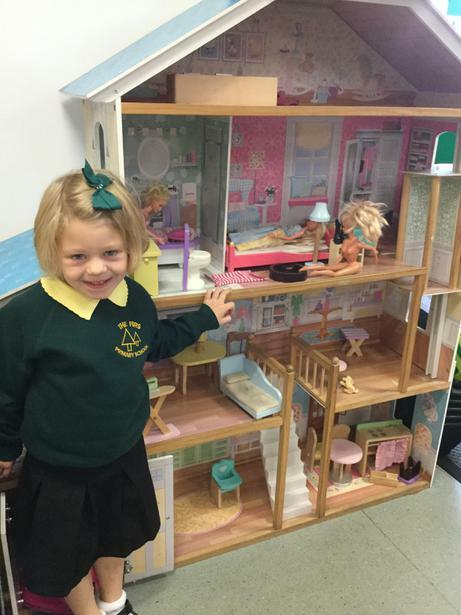 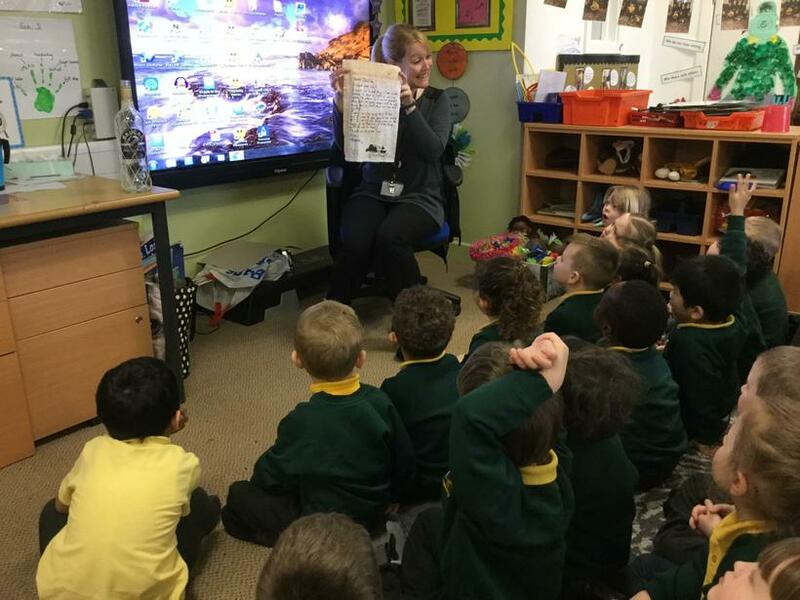 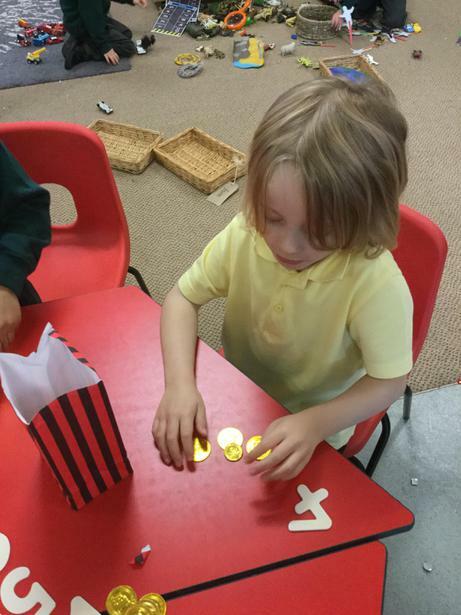 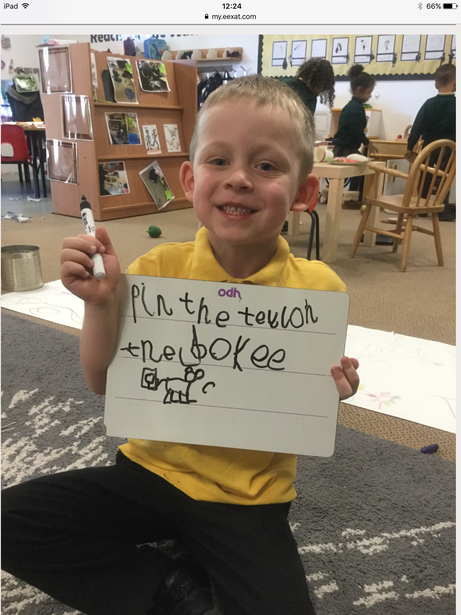 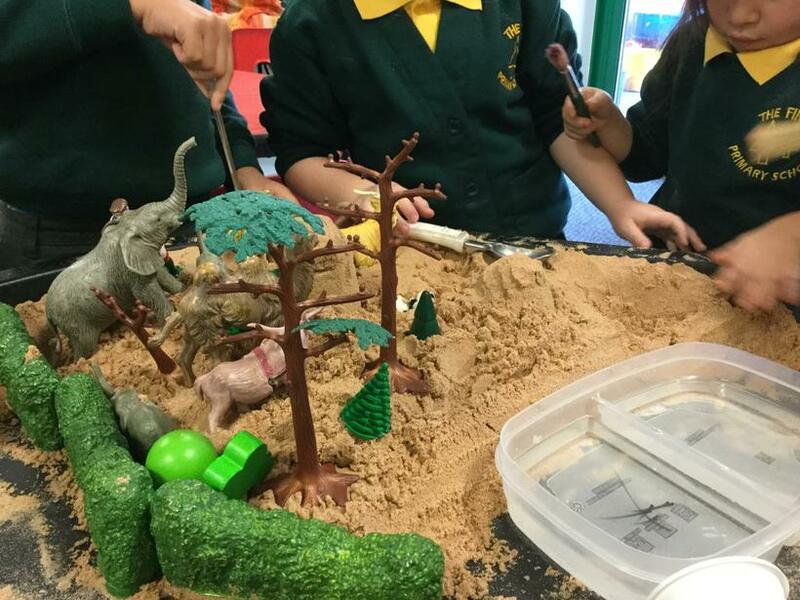 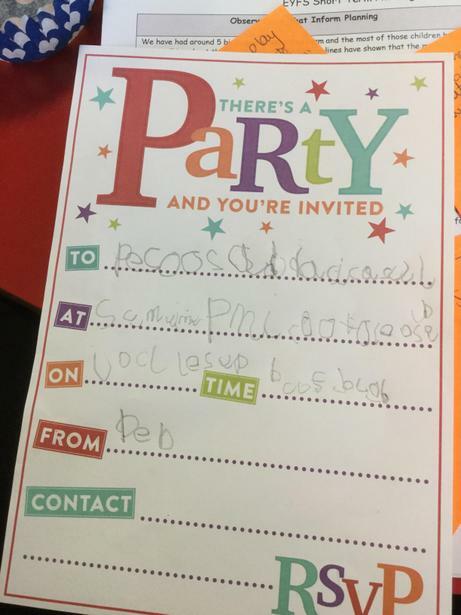 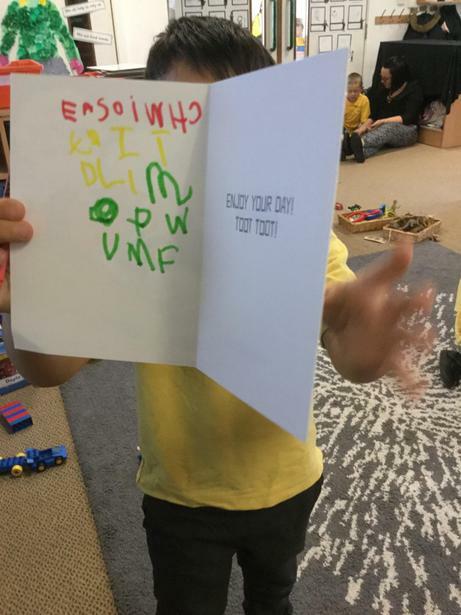 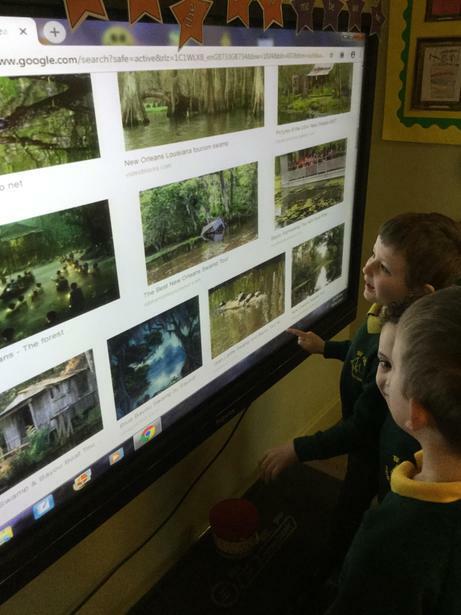 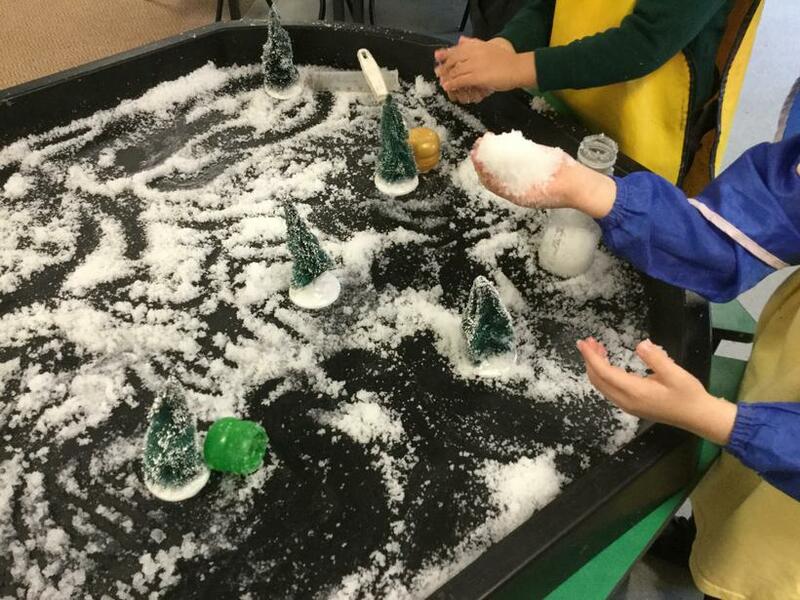 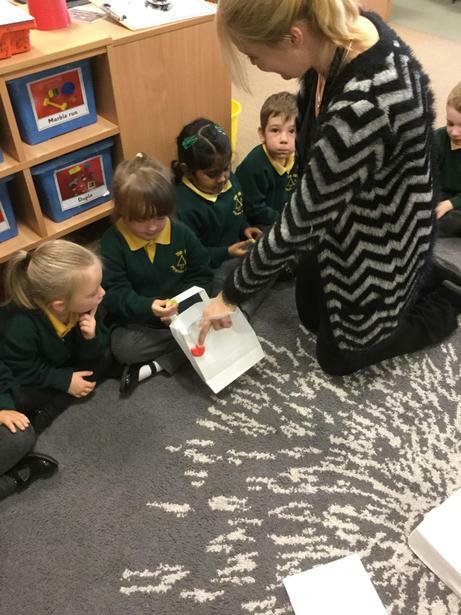 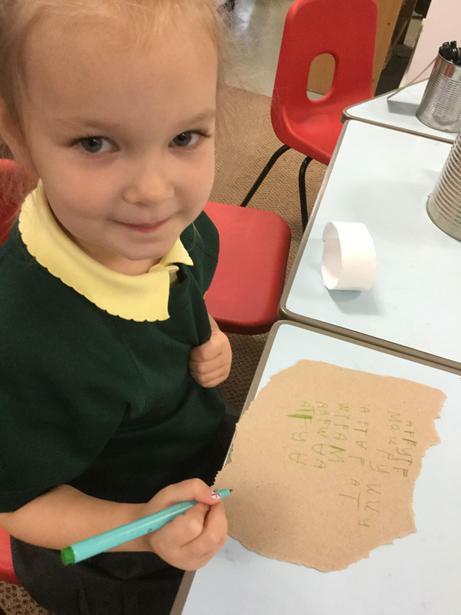 In Reception we follow the children's interests wherever possible and plan exciting topics based around the children's ideas. 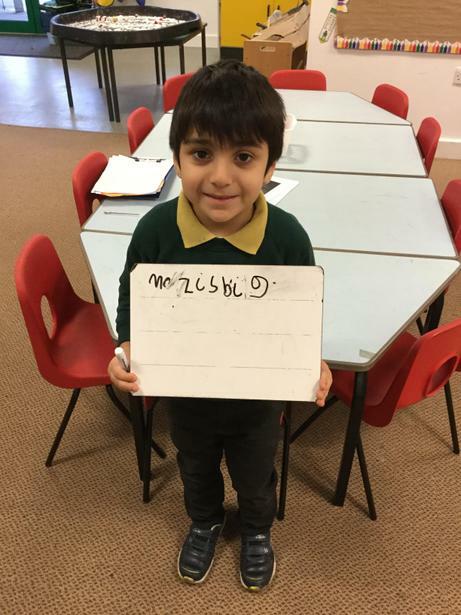 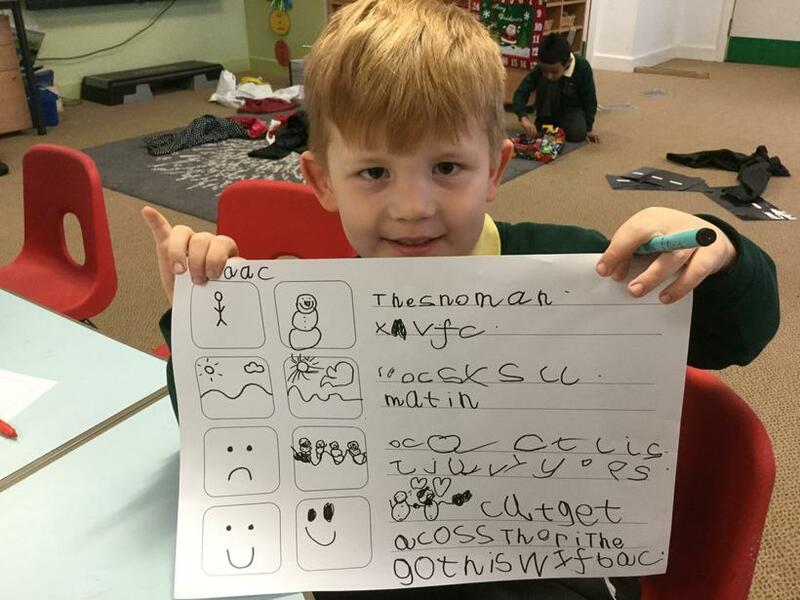 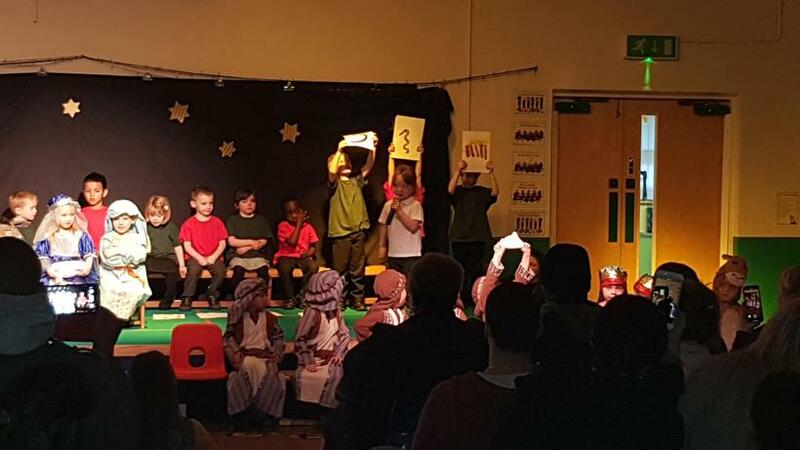 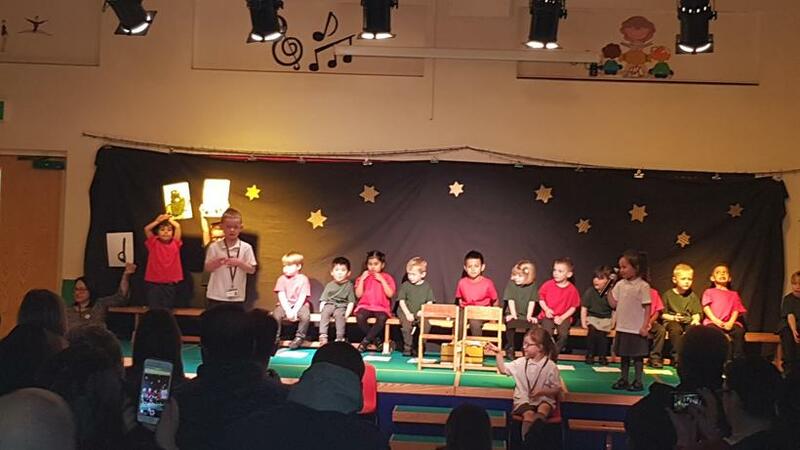 Each week we will update you on what we are learning about in school so that you can chat to your child and practice at home. 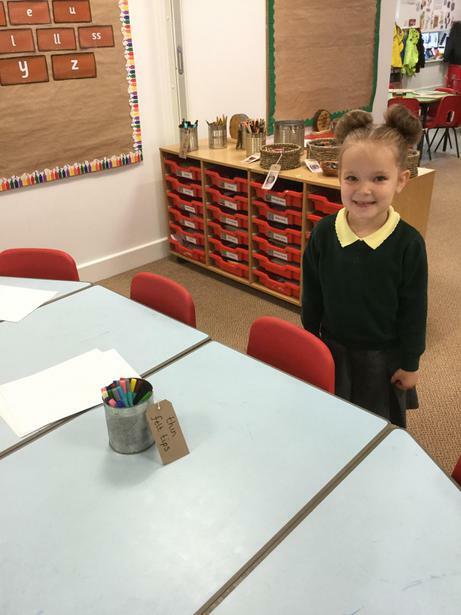 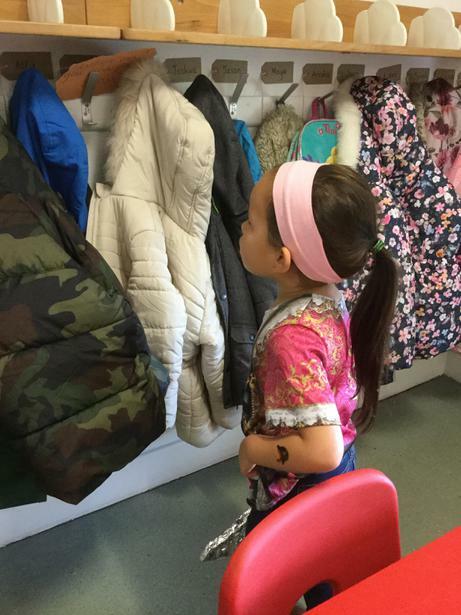 Don't forget to check the parent notices on the door as well as our Twitter page and website. 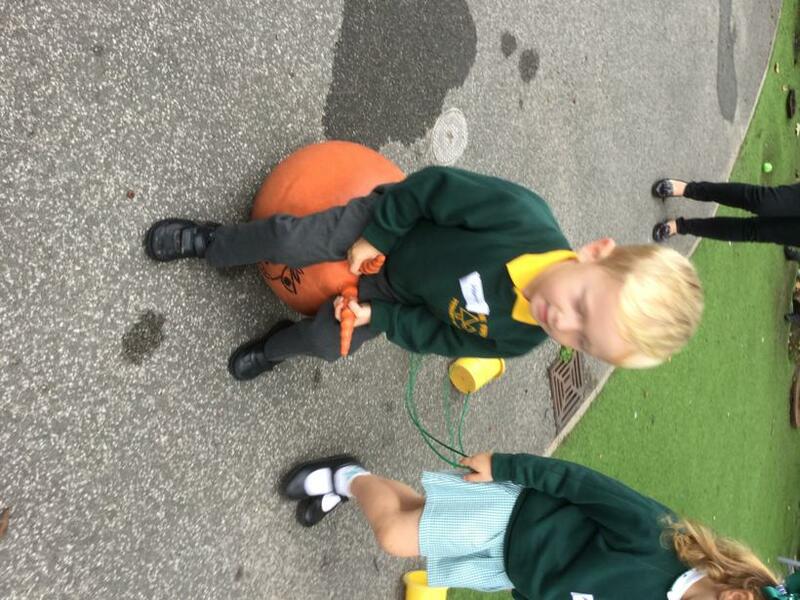 The children have now begun PE lessons on Thursdays and so will need to bring a PE kit which can be left in school. 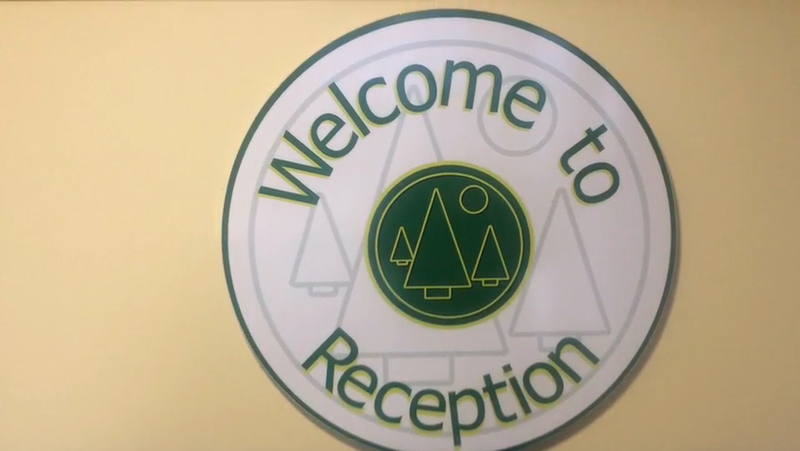 We are always available before or after school so if you have any questions, please don't hesitate to ask.